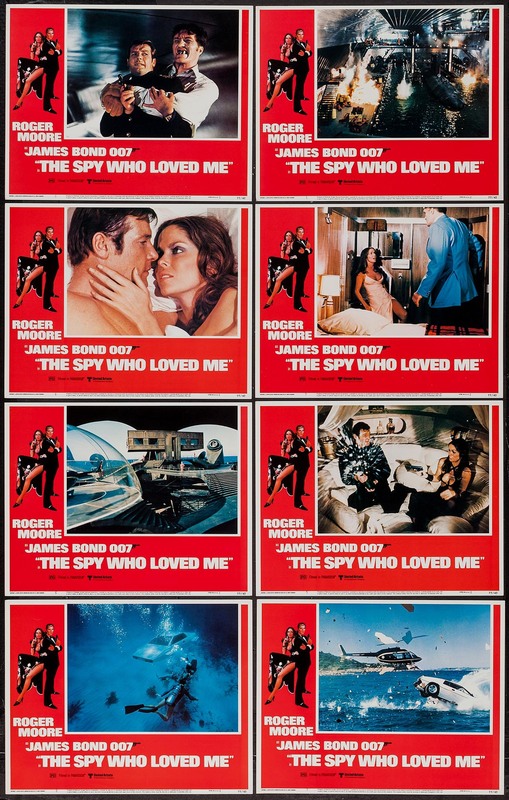 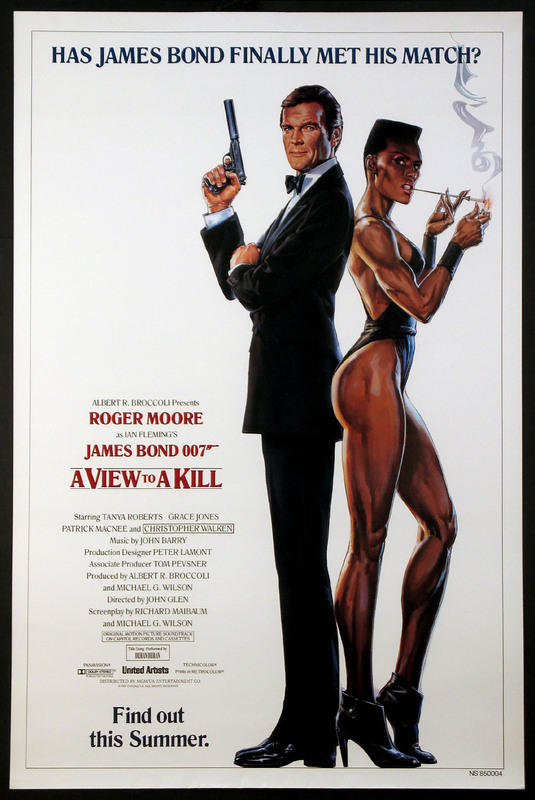 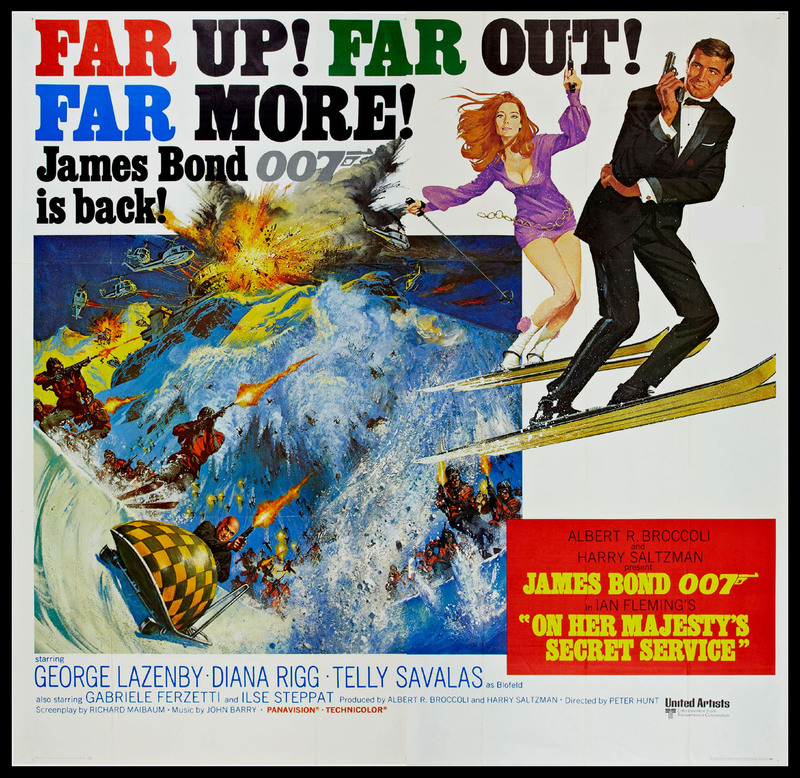 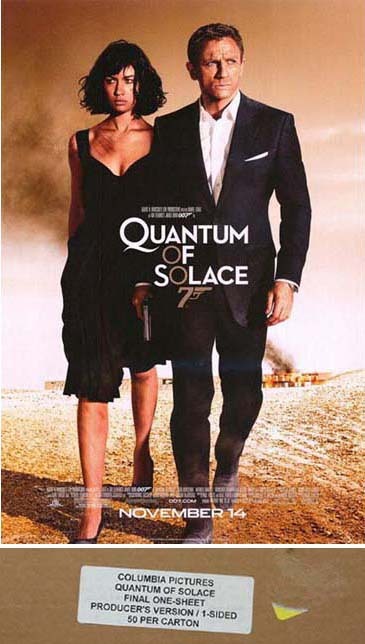 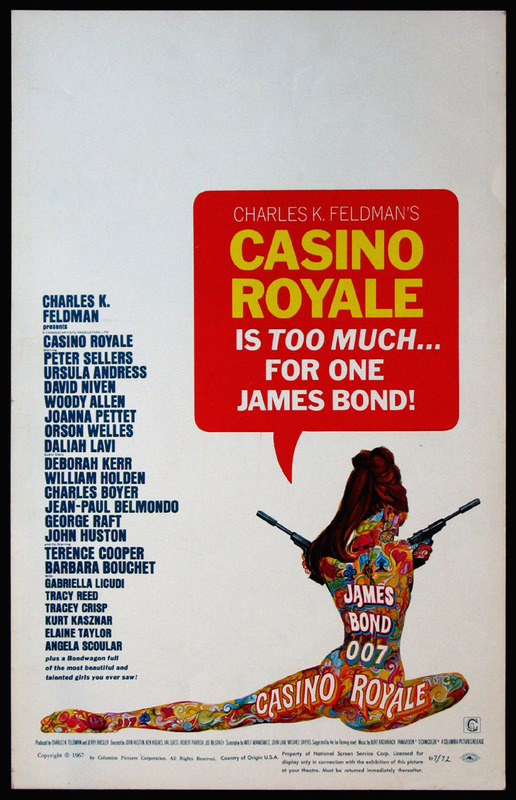 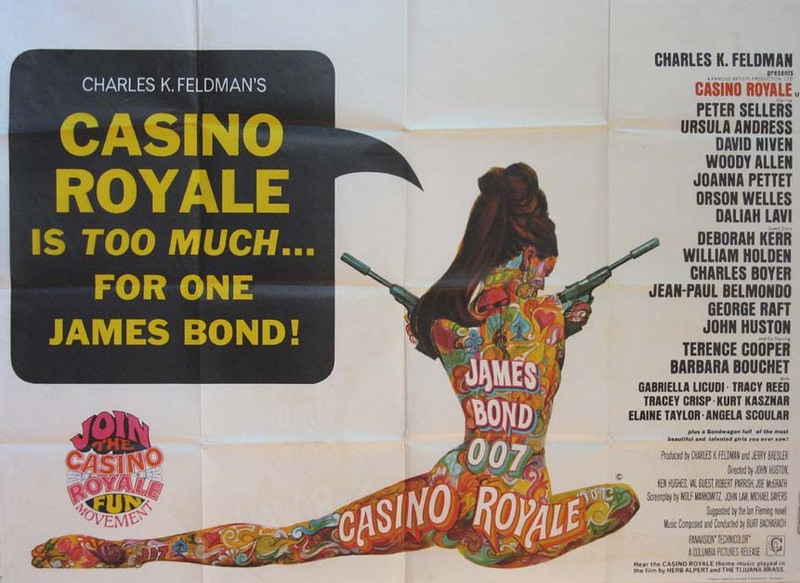 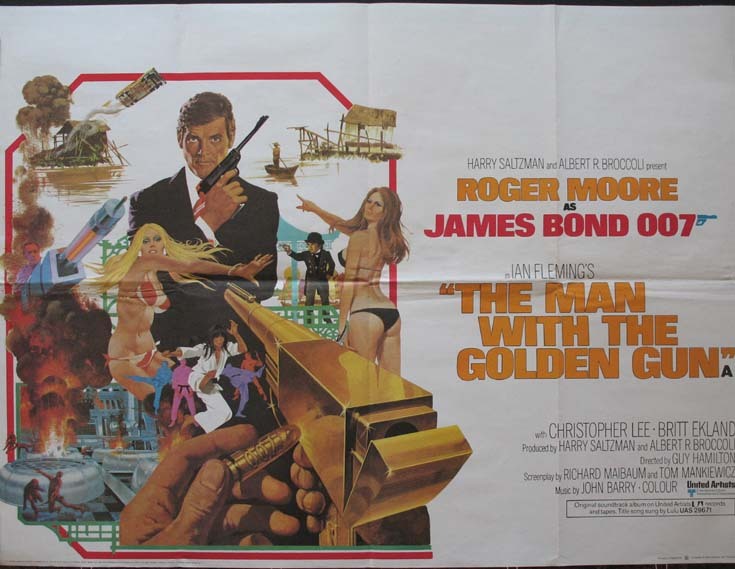 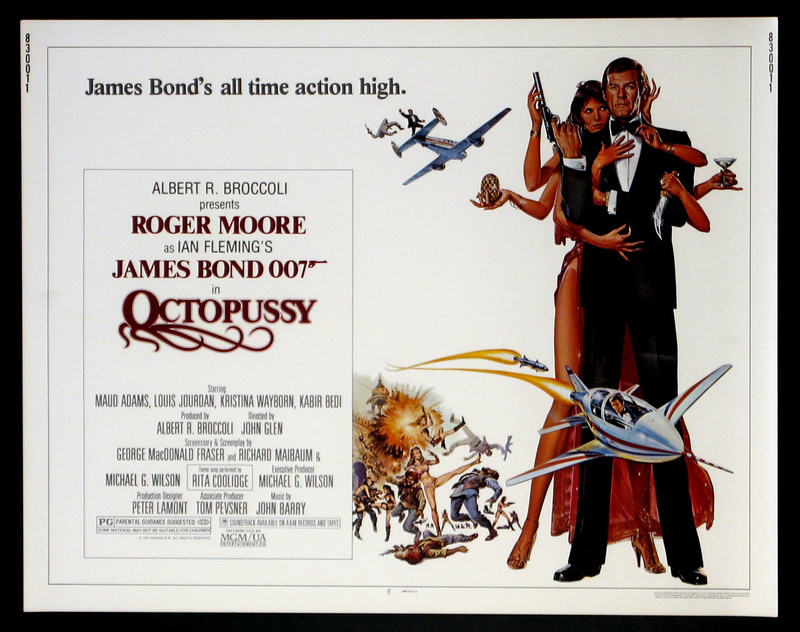 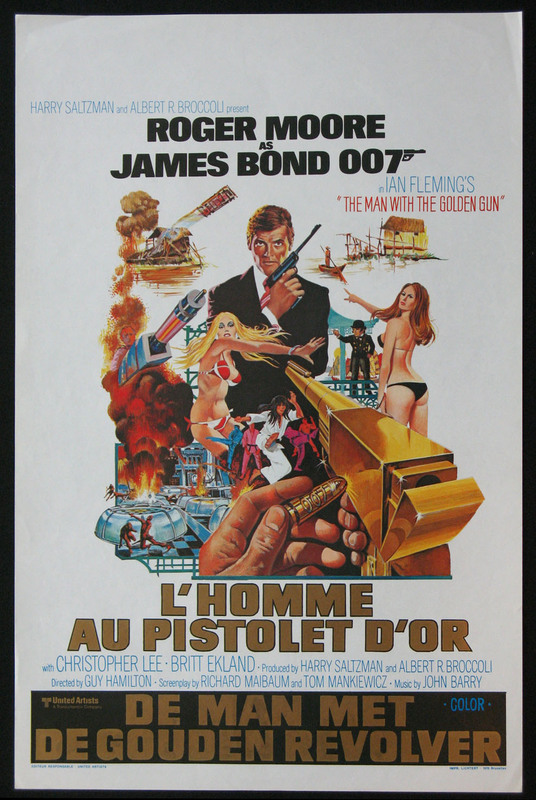 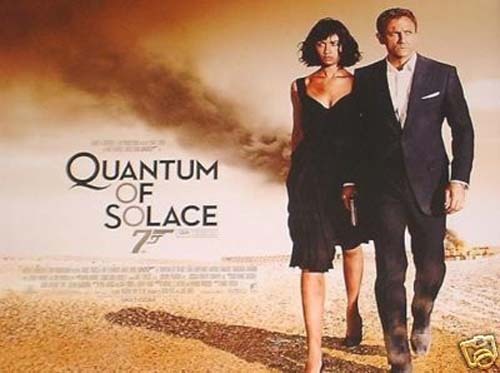 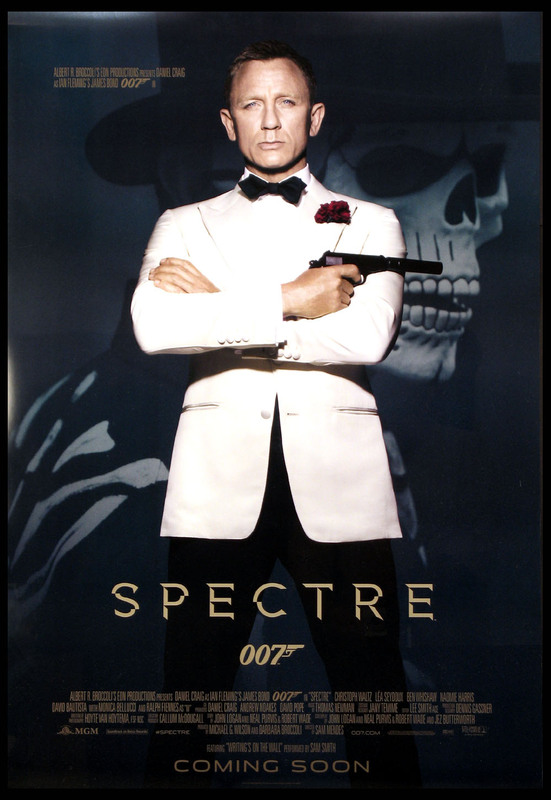 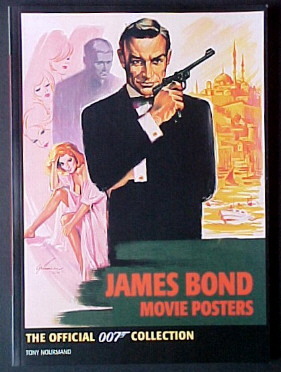 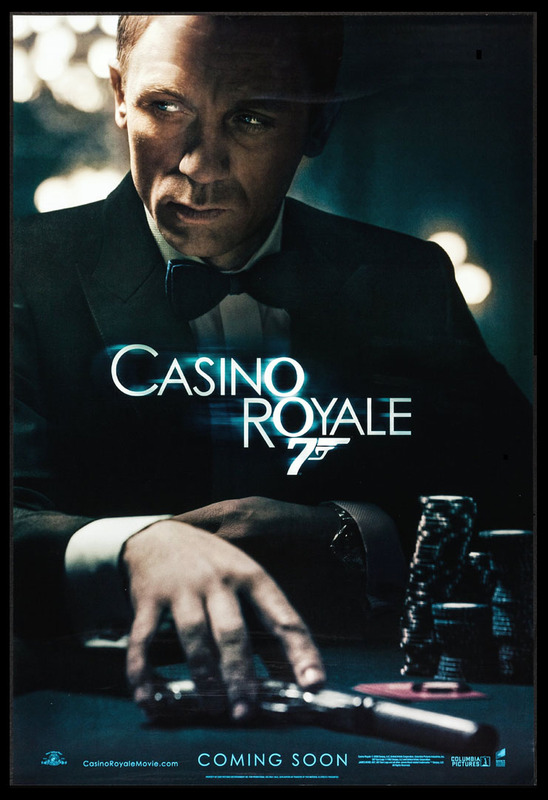 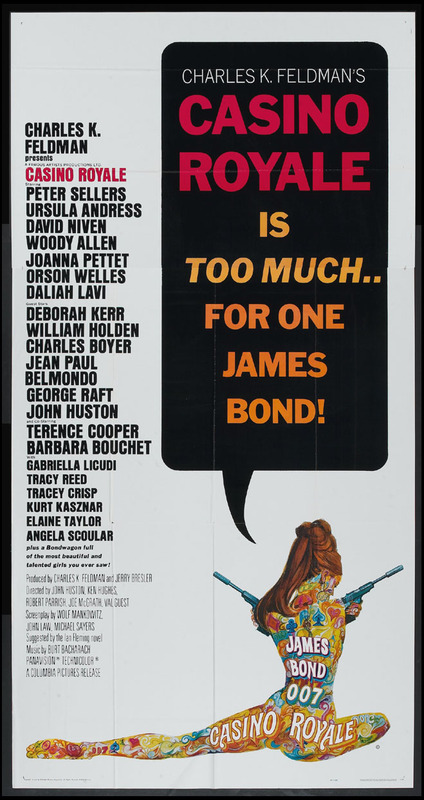 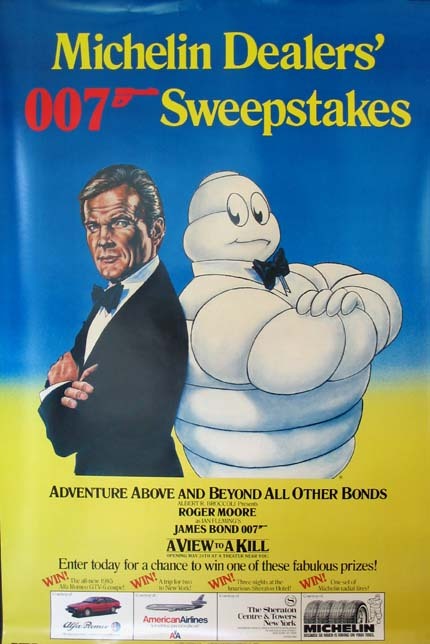 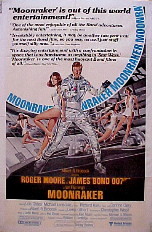 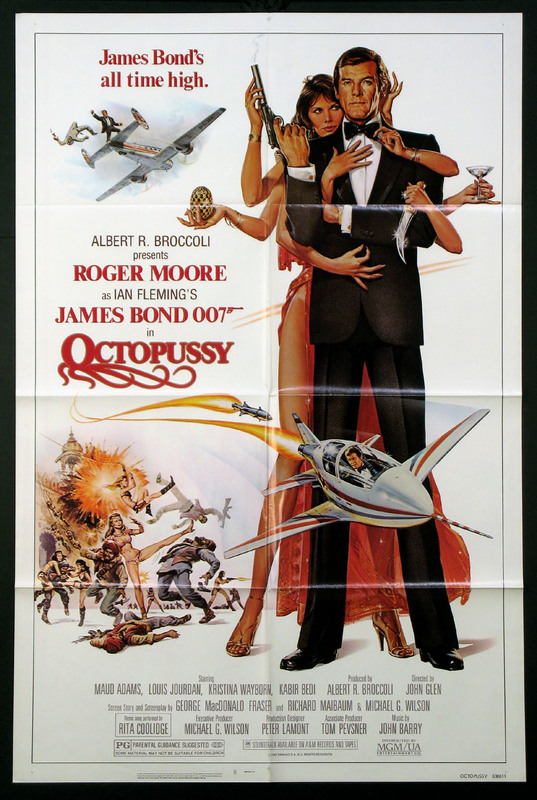 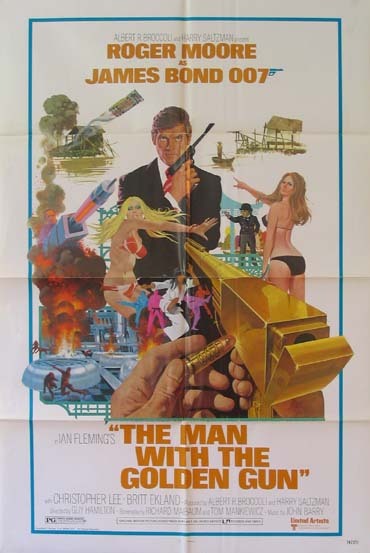 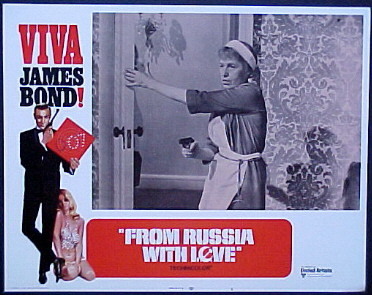 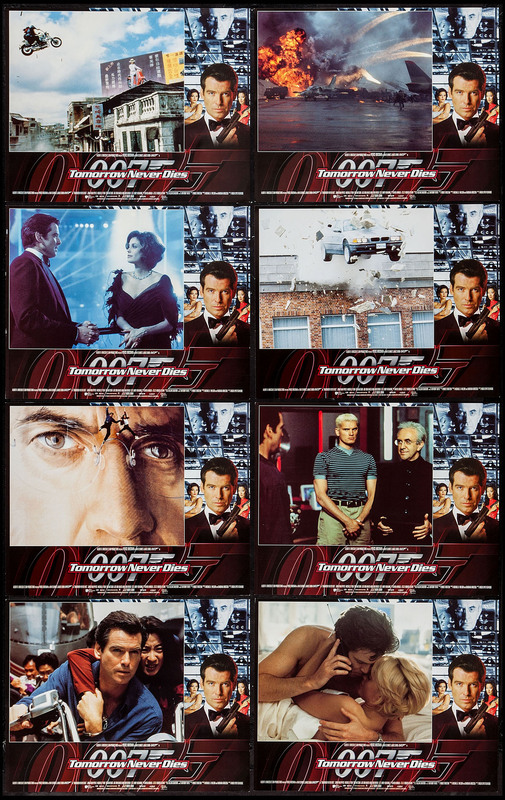 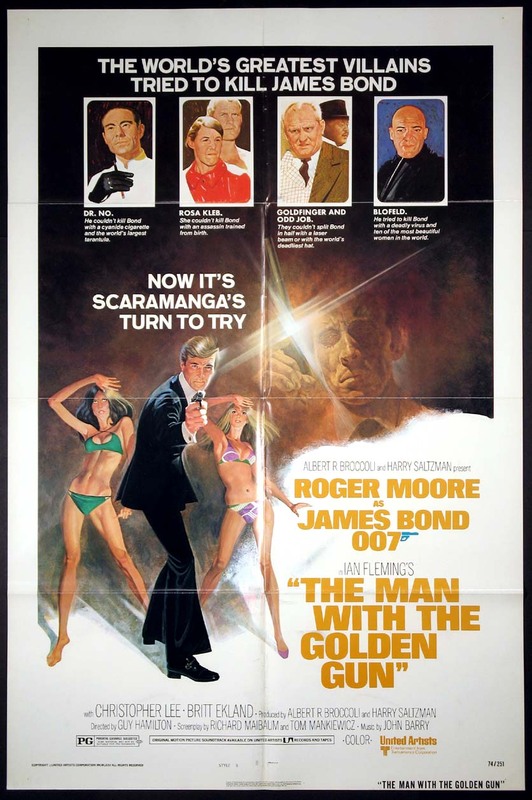 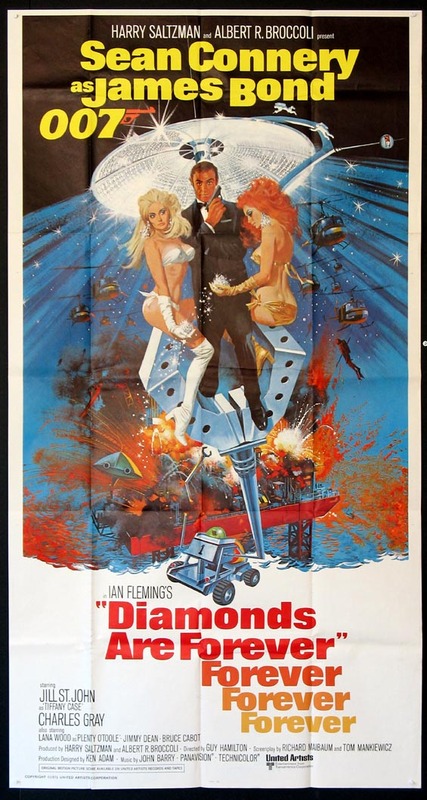 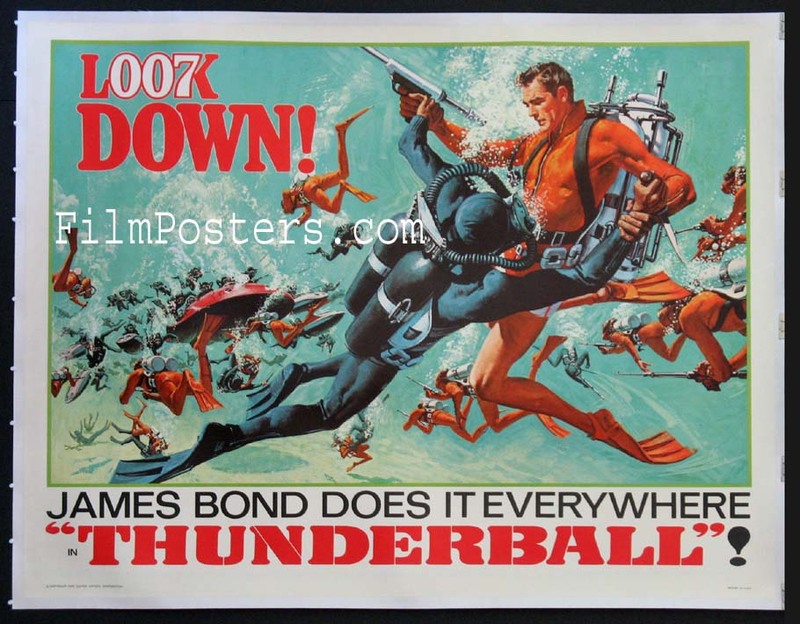 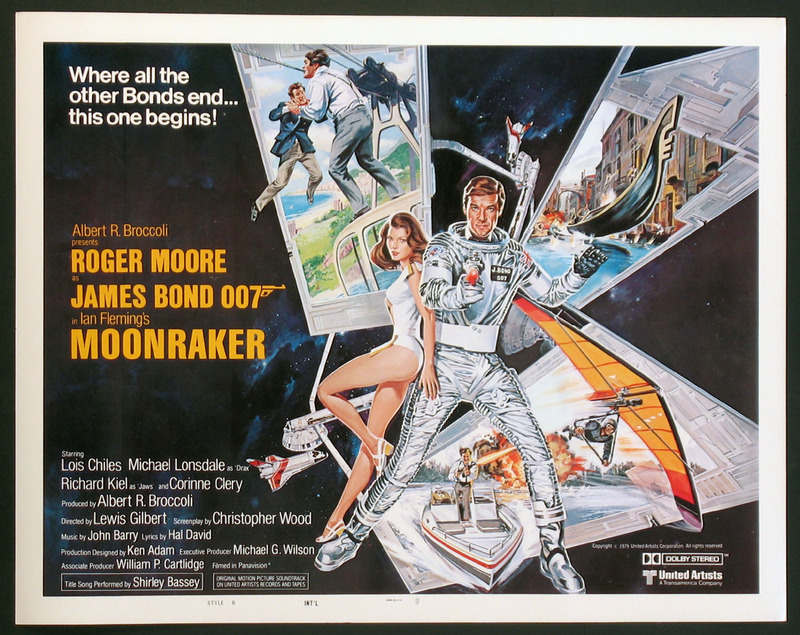 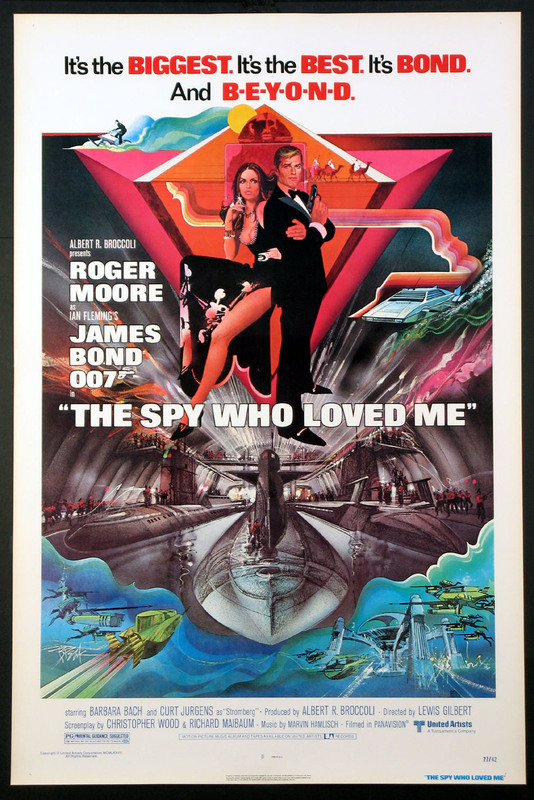 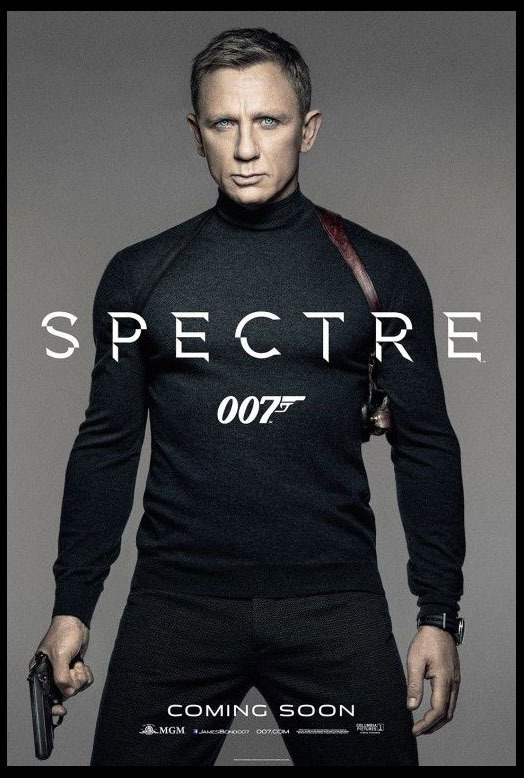 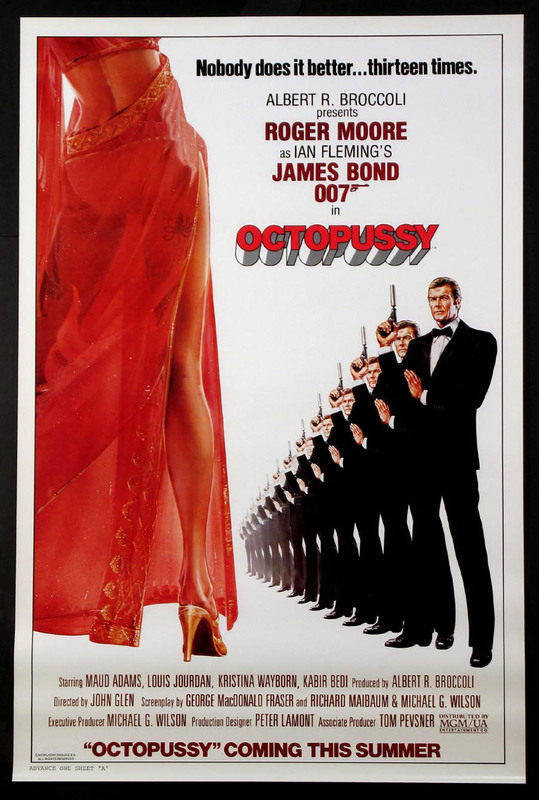 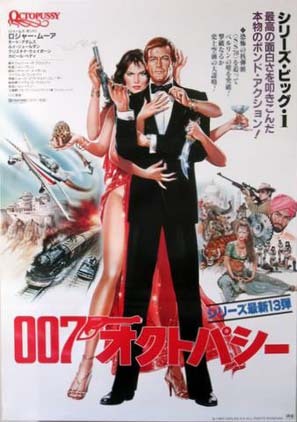 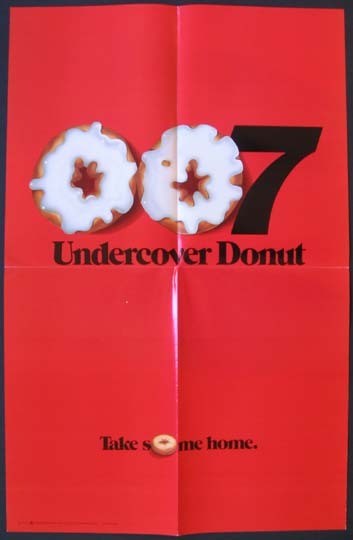 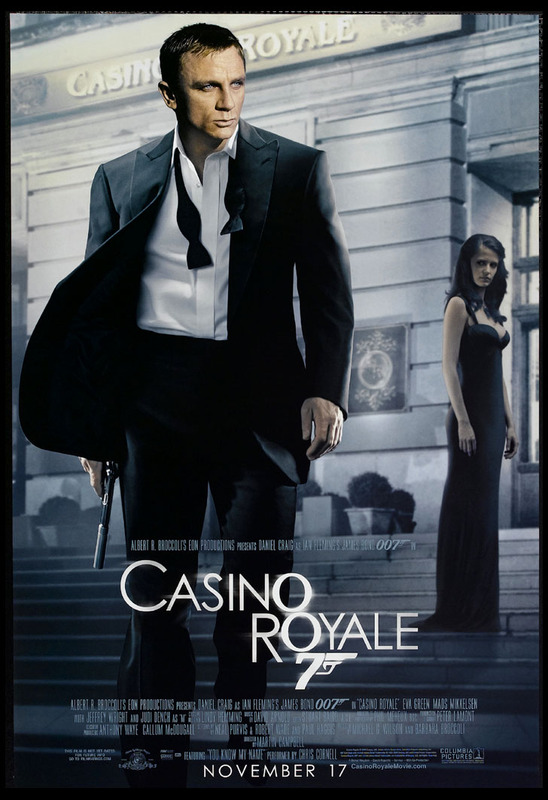 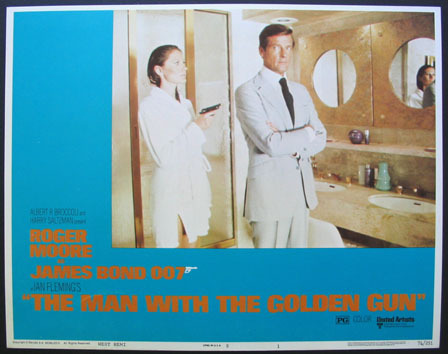 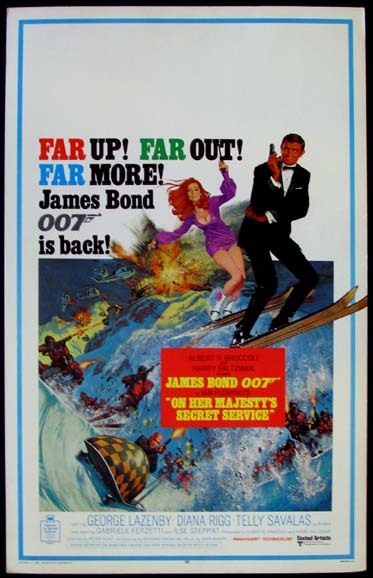 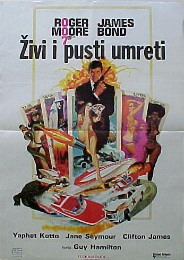 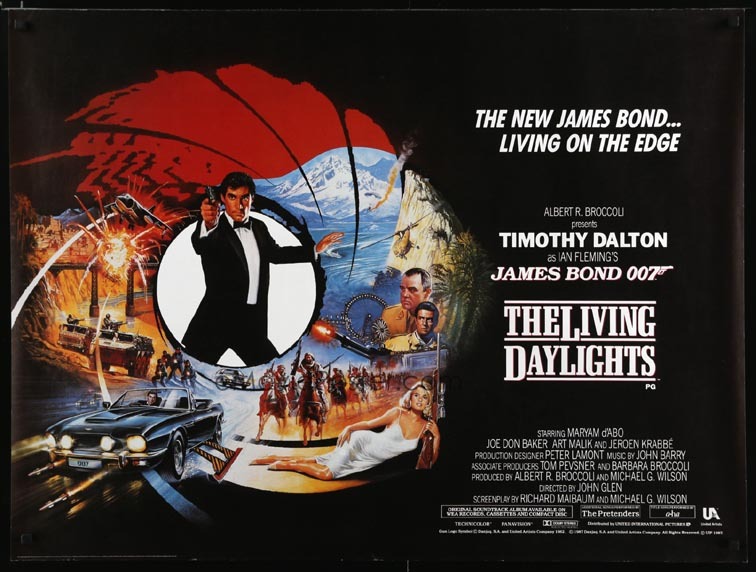 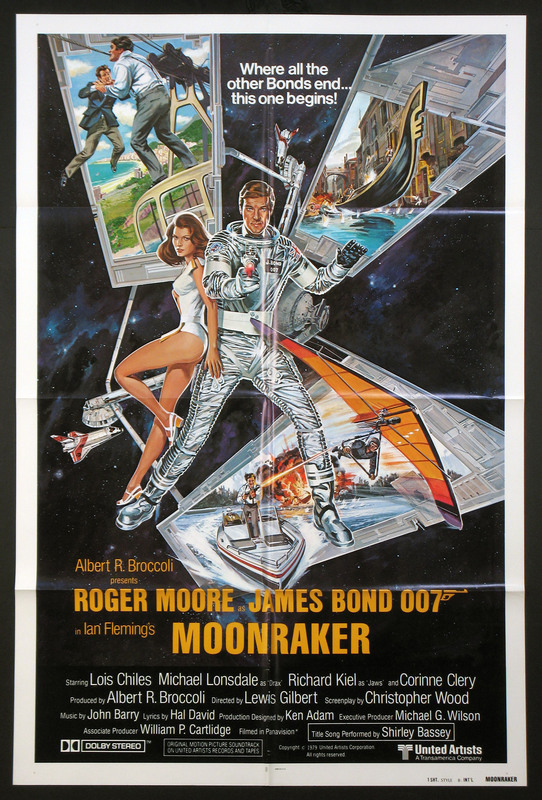 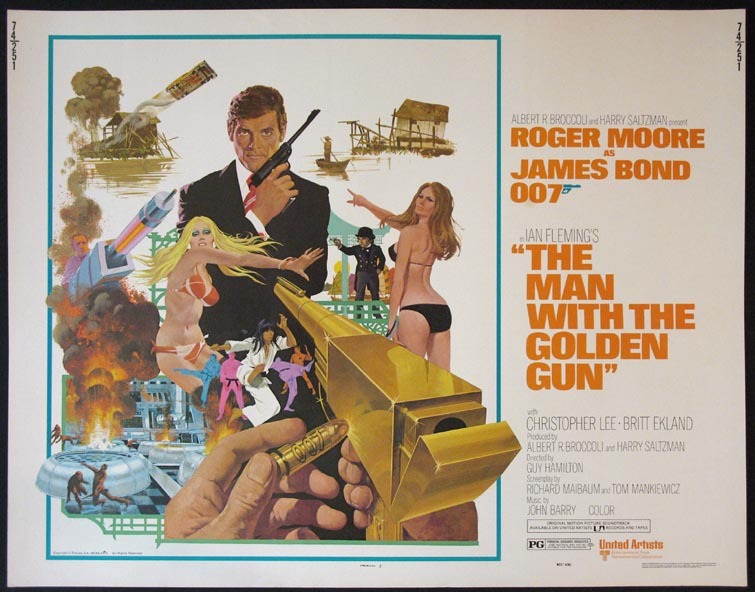 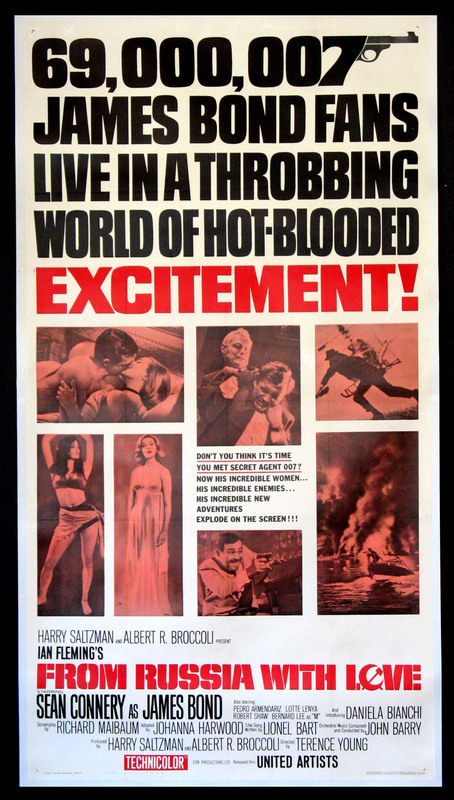 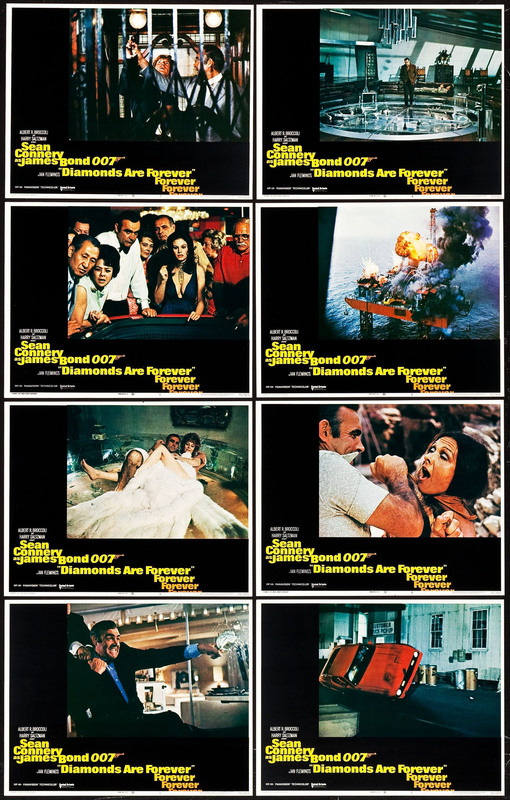 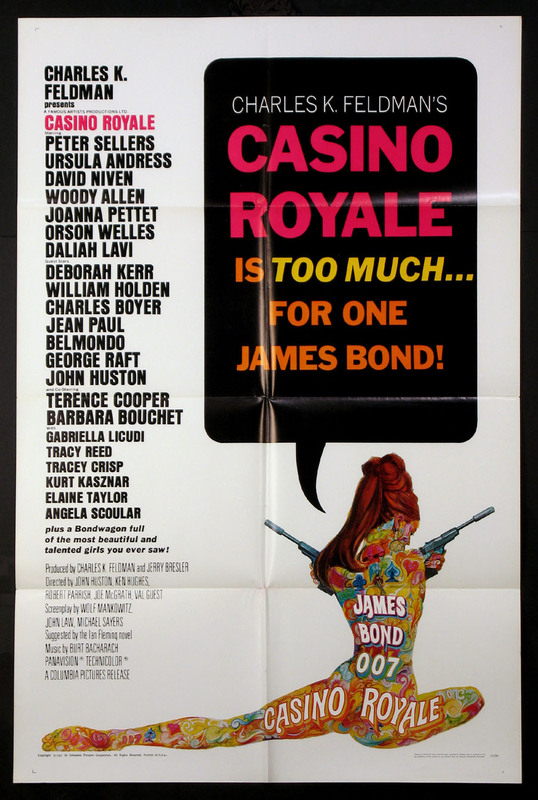 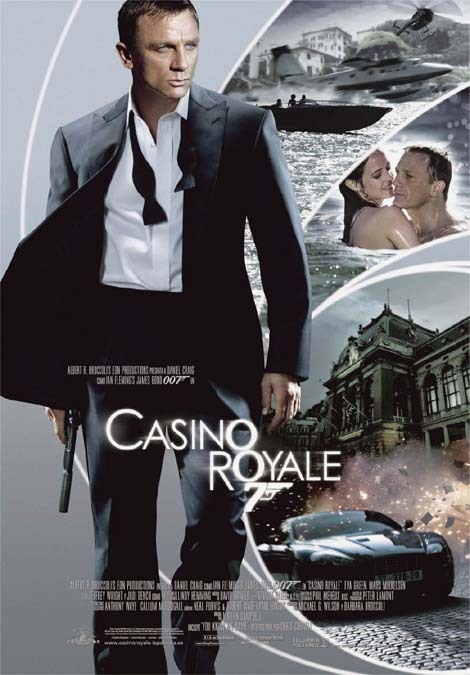 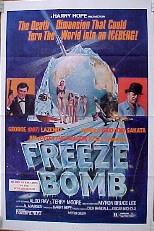 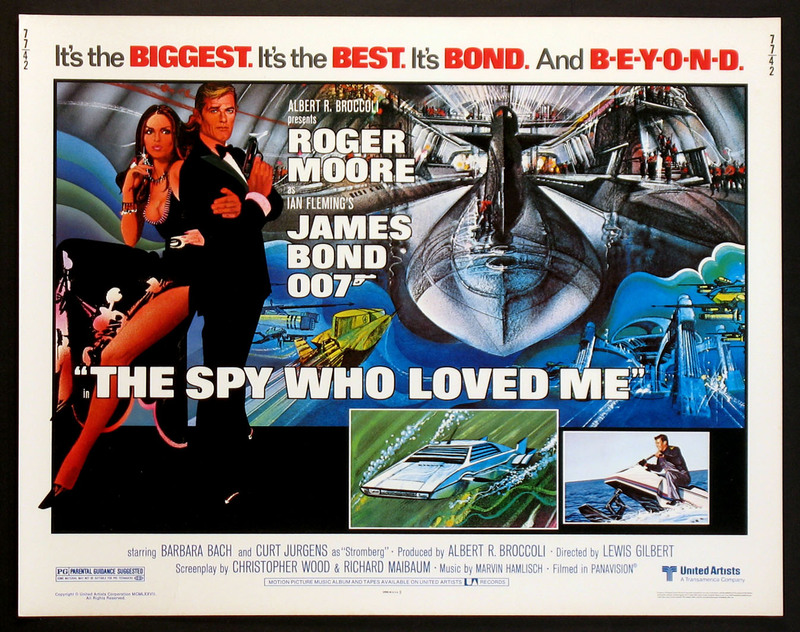 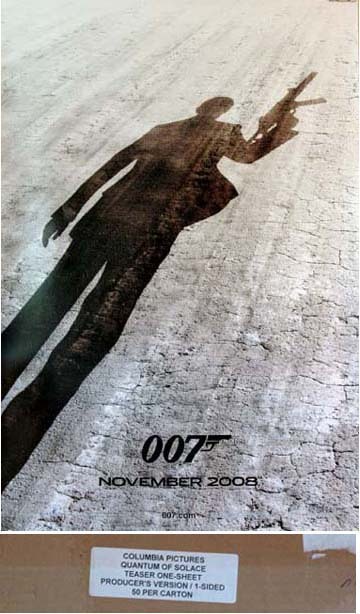 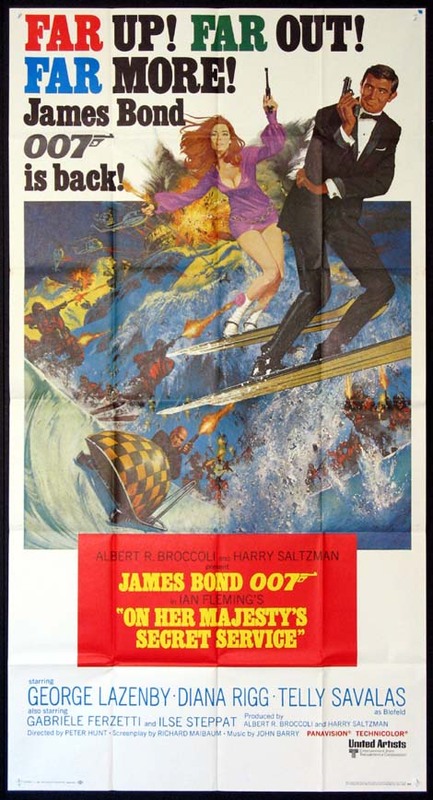 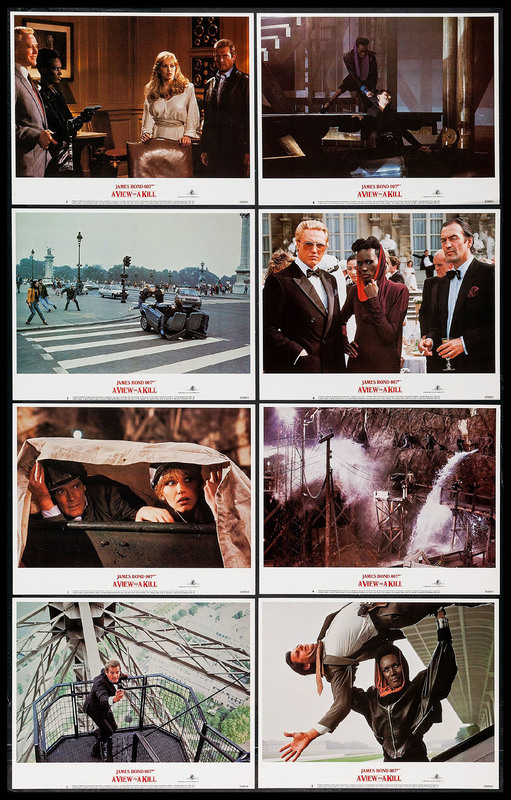 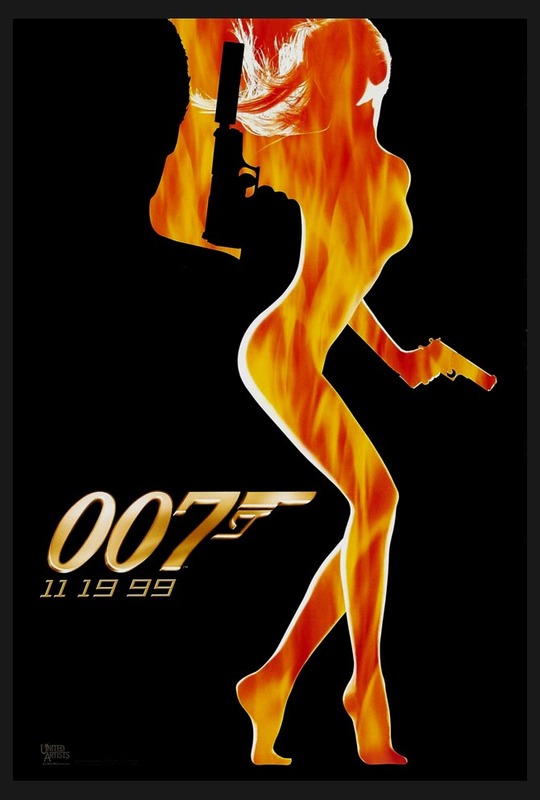 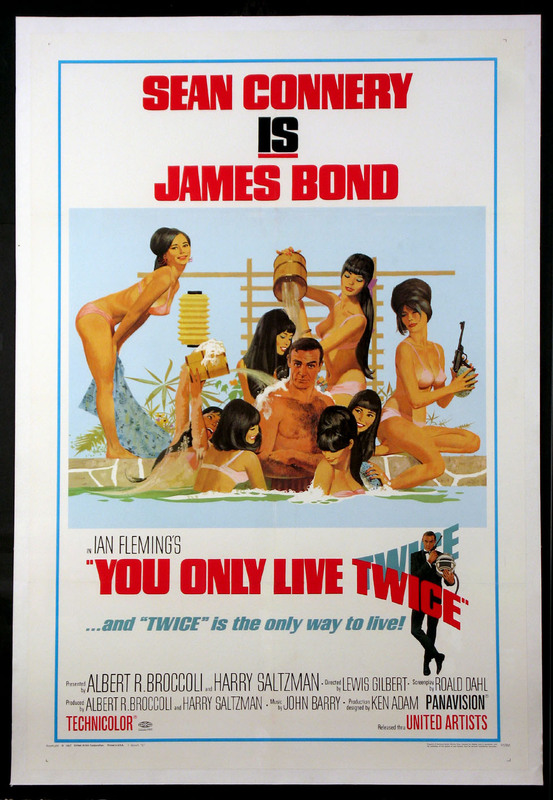 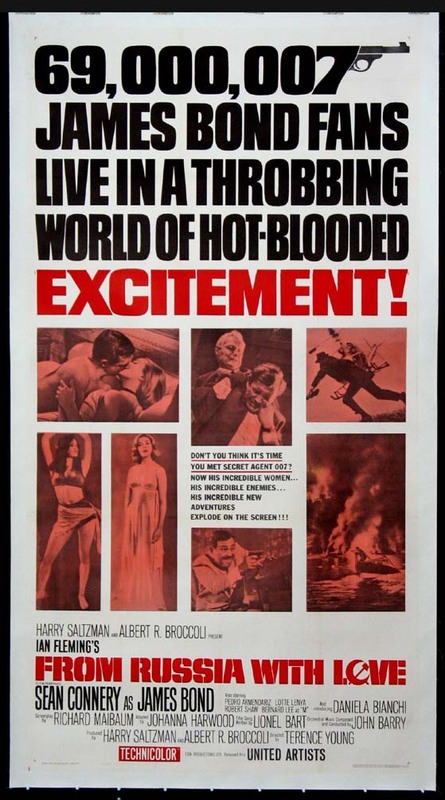 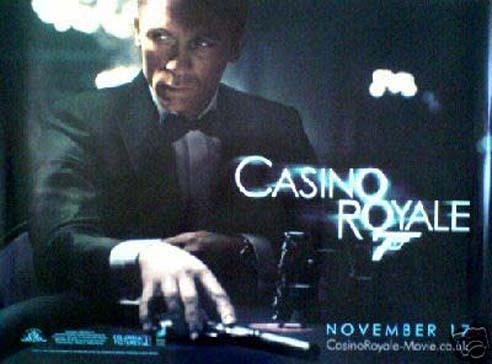 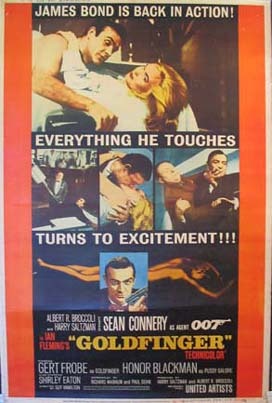 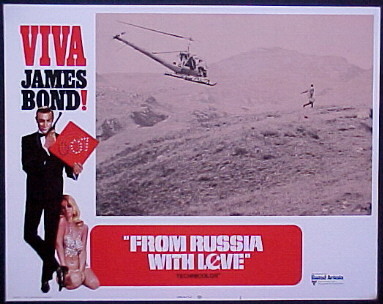 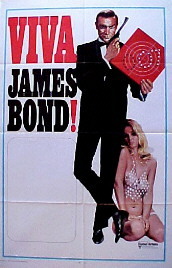 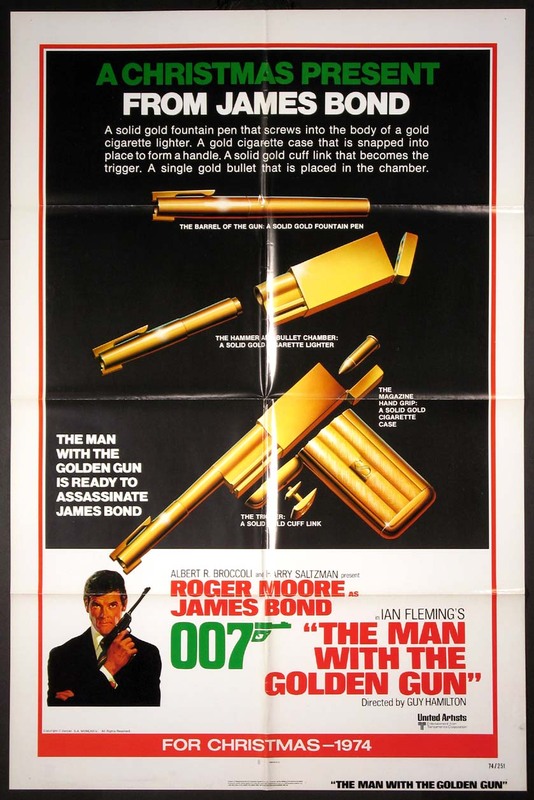 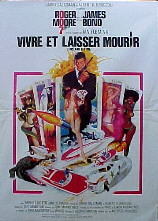 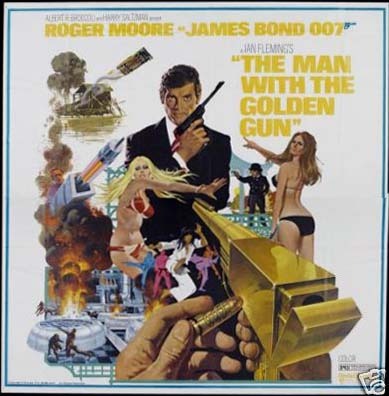 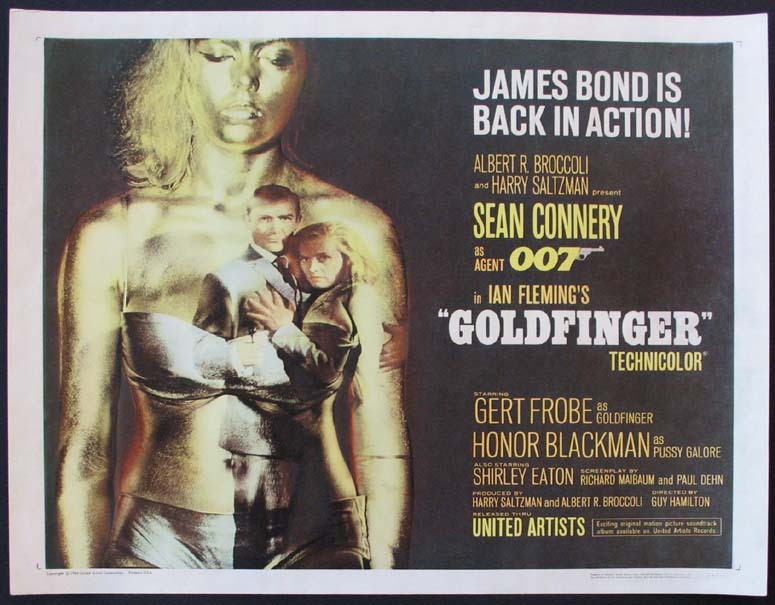 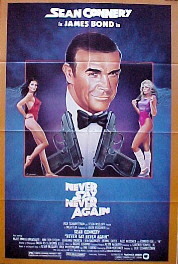 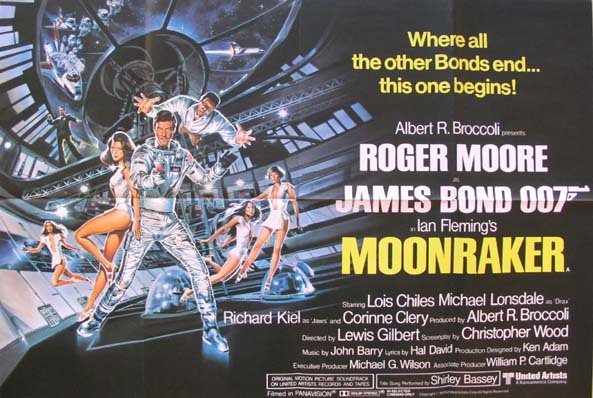 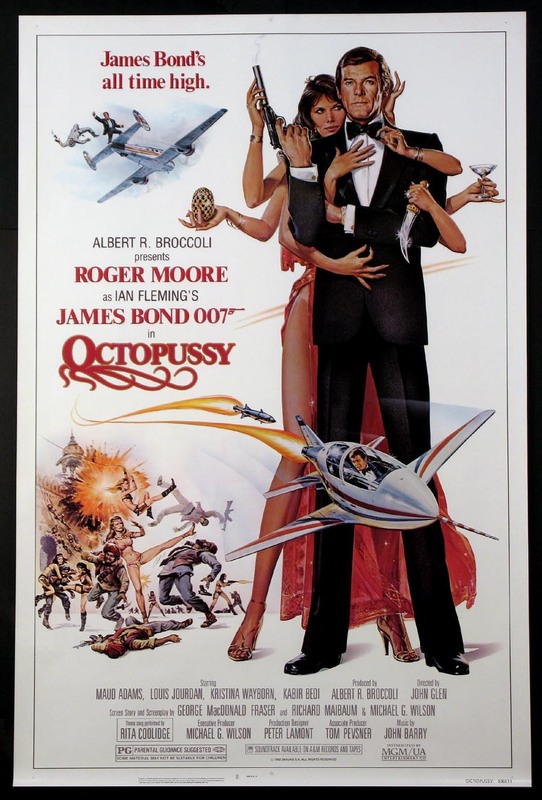 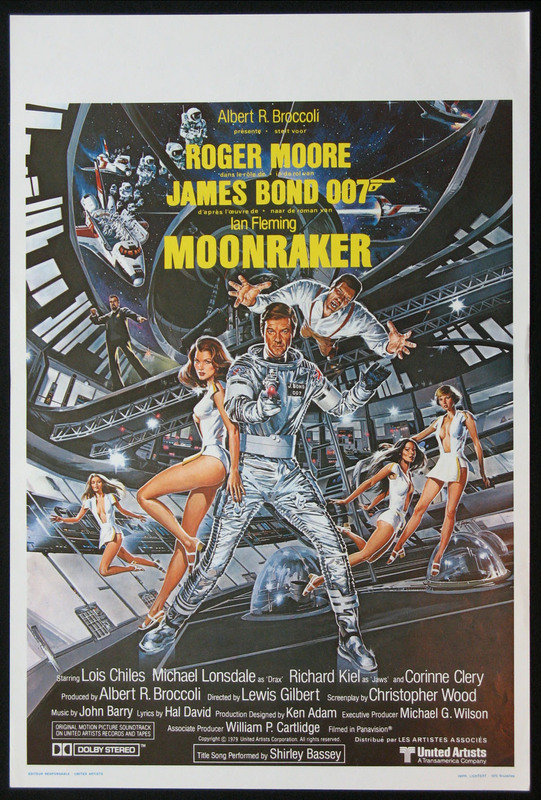 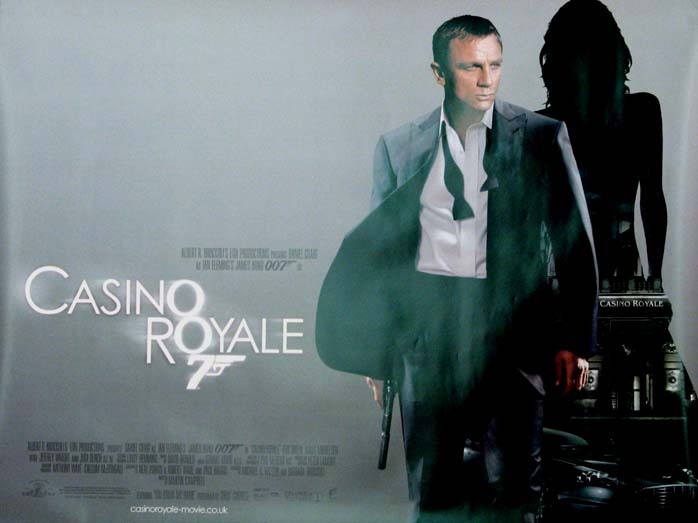 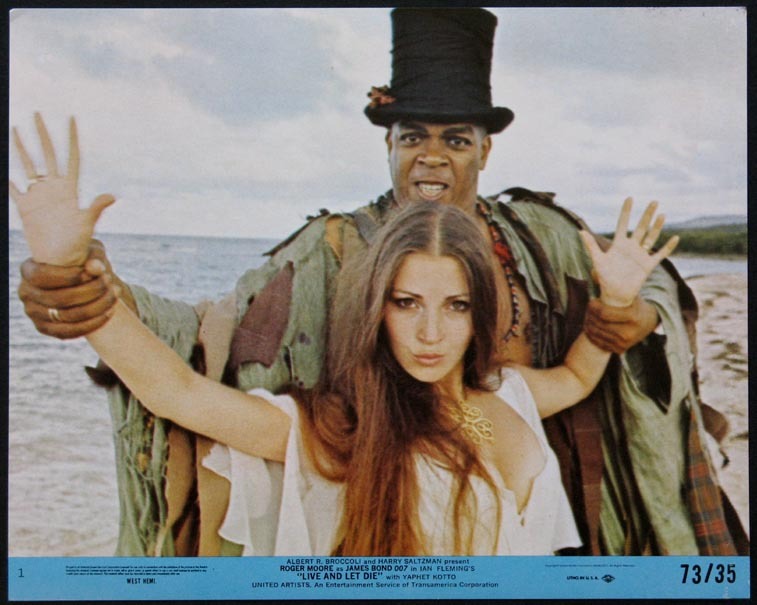 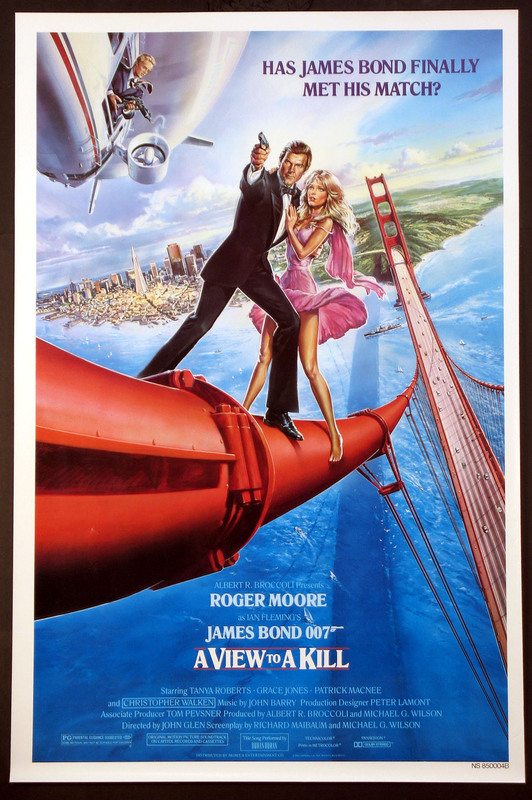 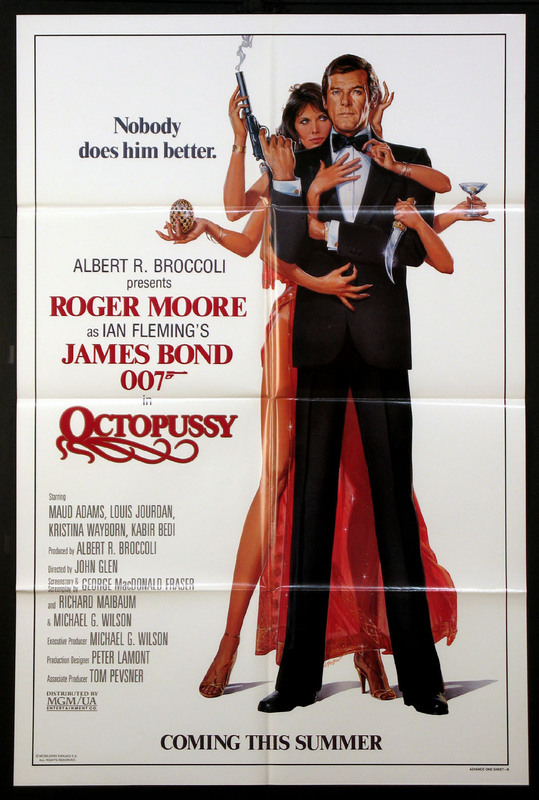 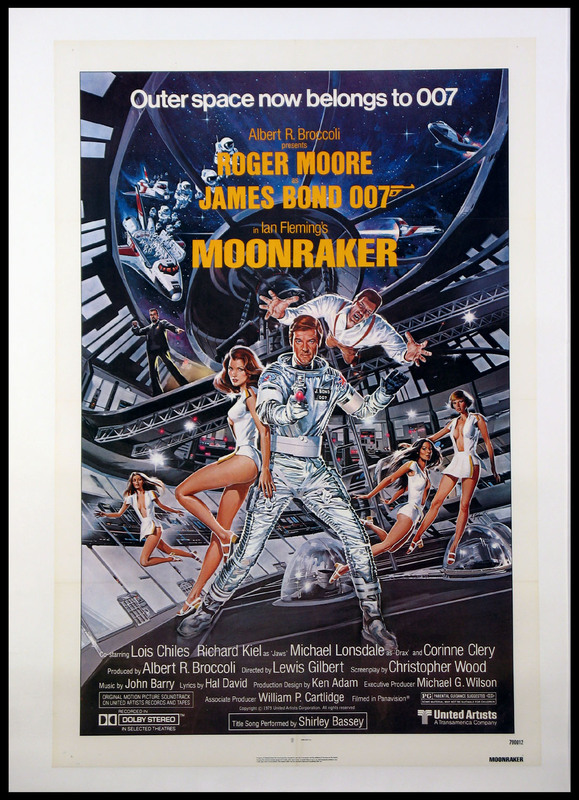 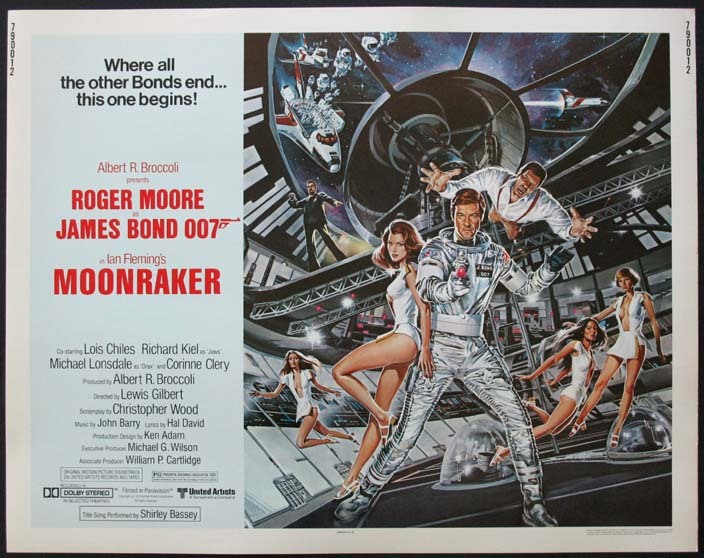 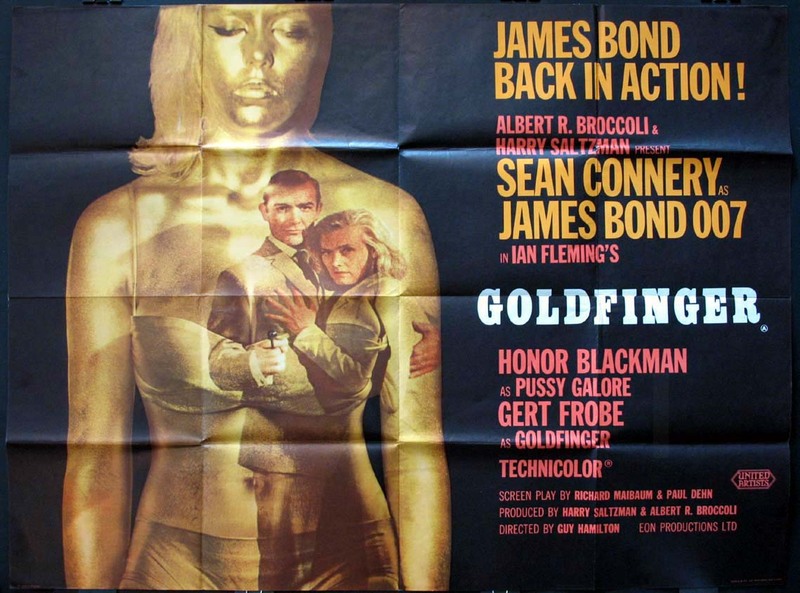 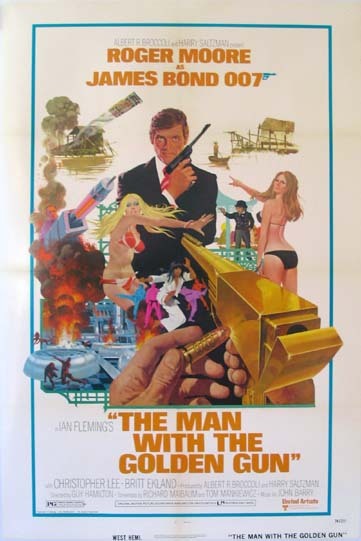 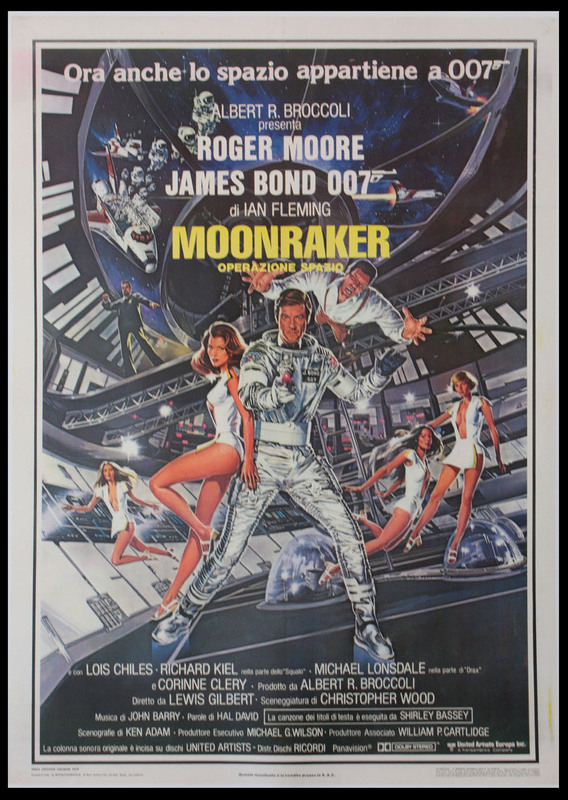 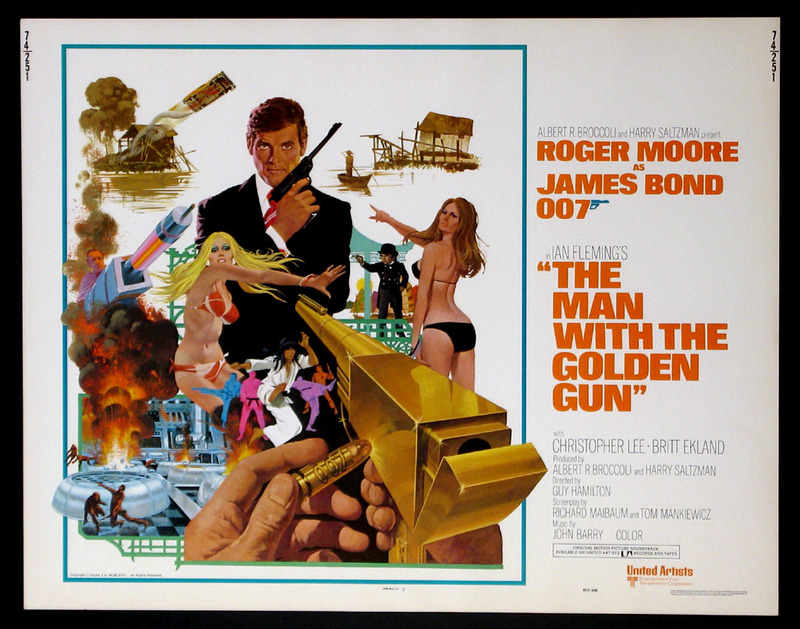 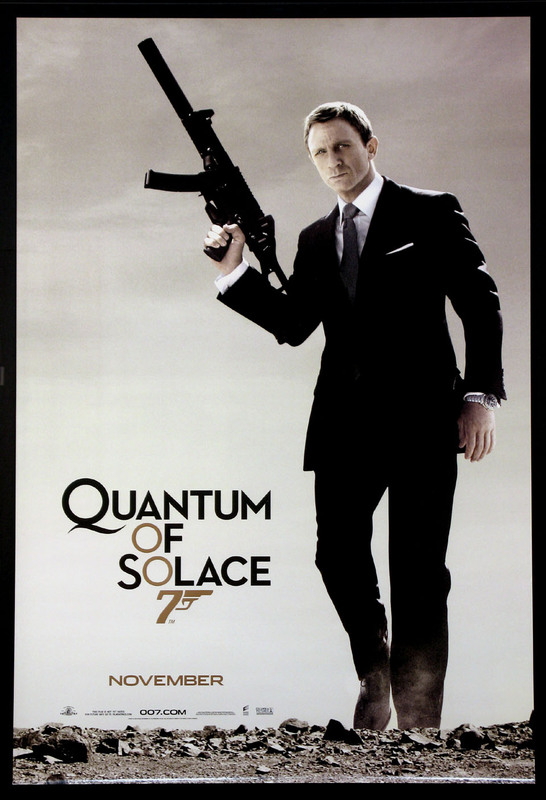 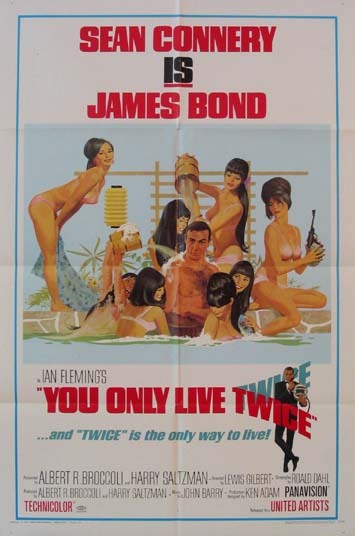 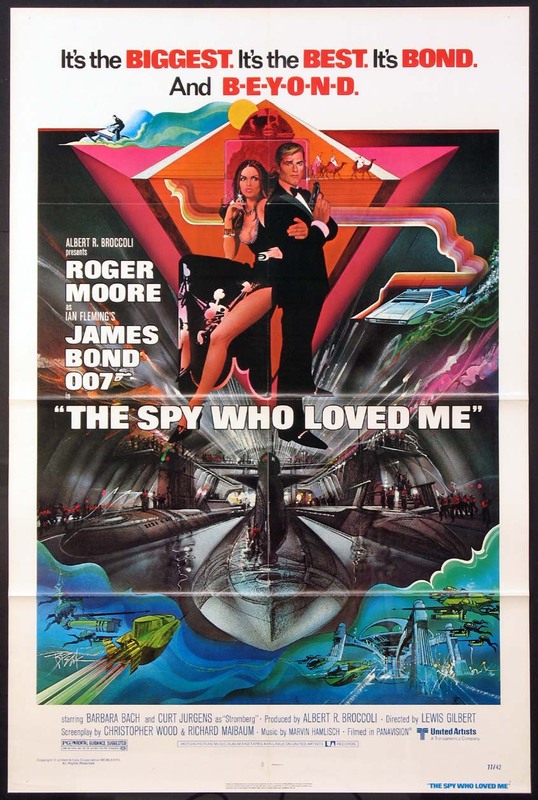 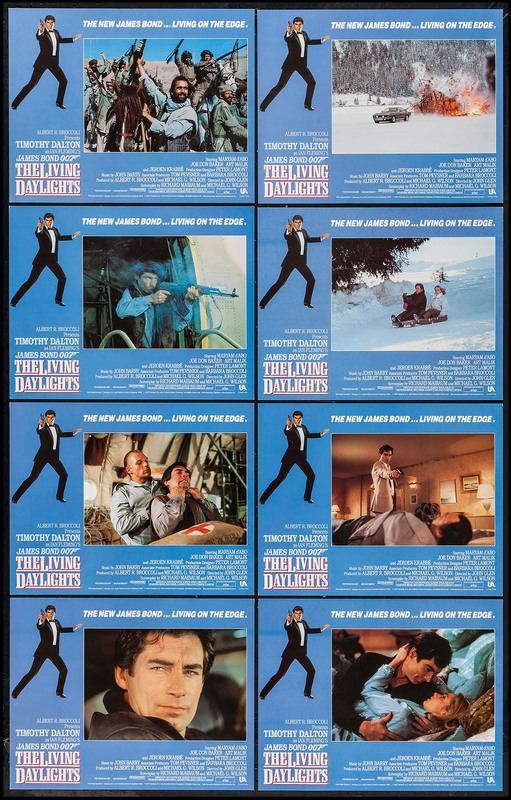 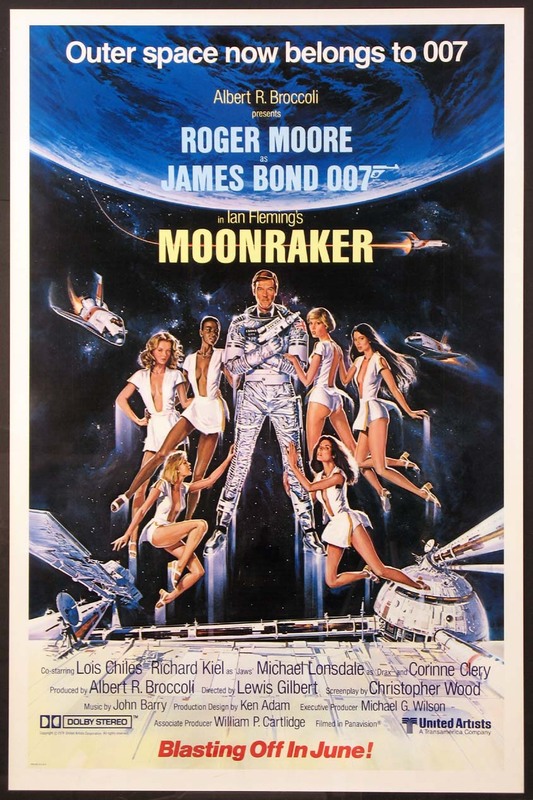 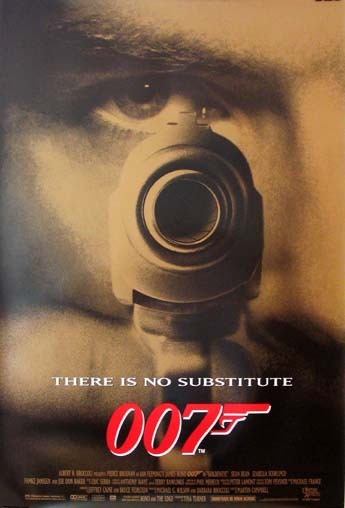 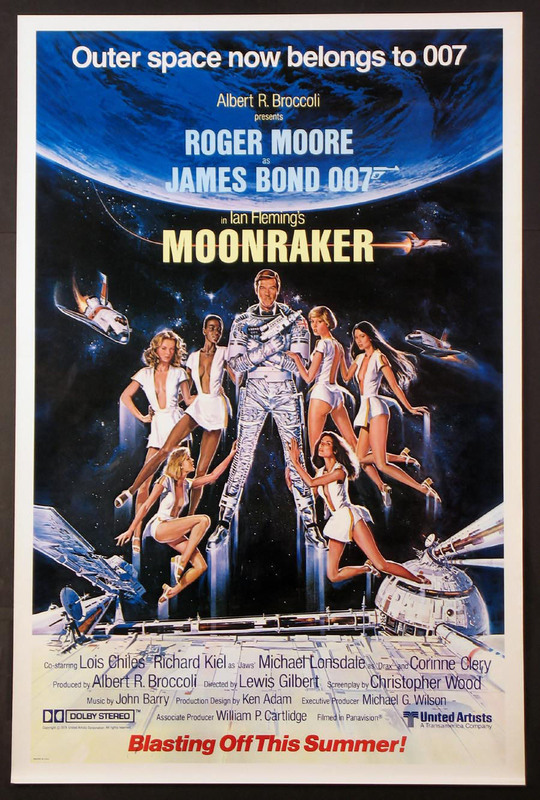 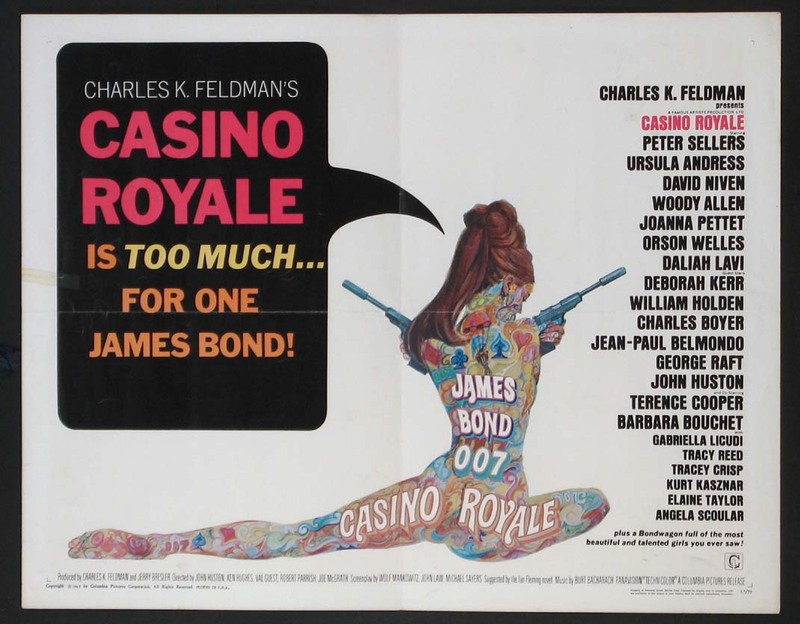 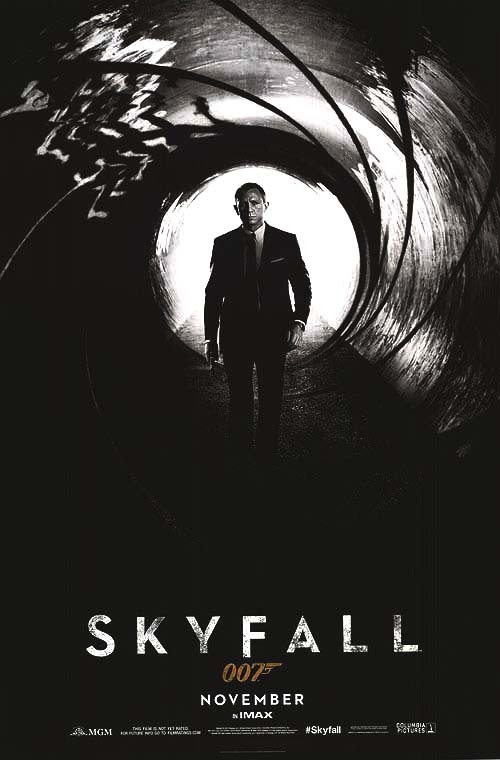 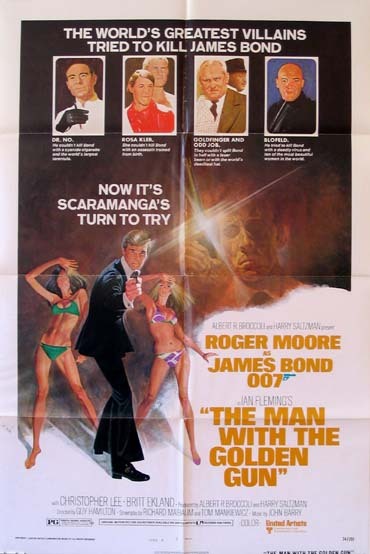 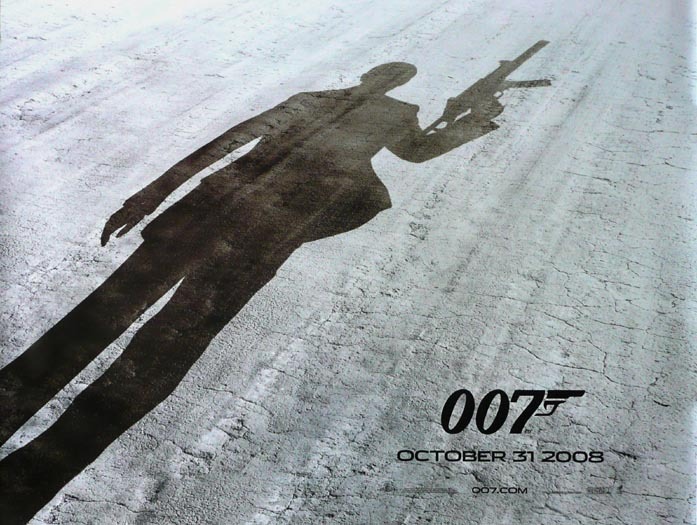 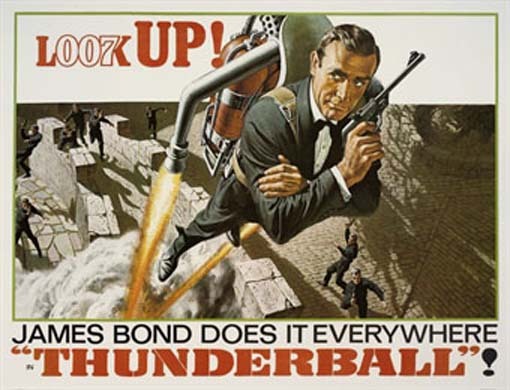 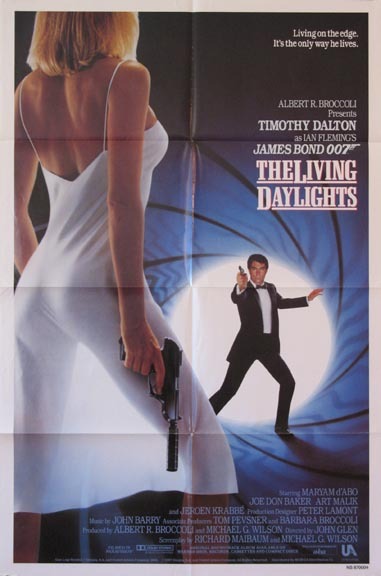 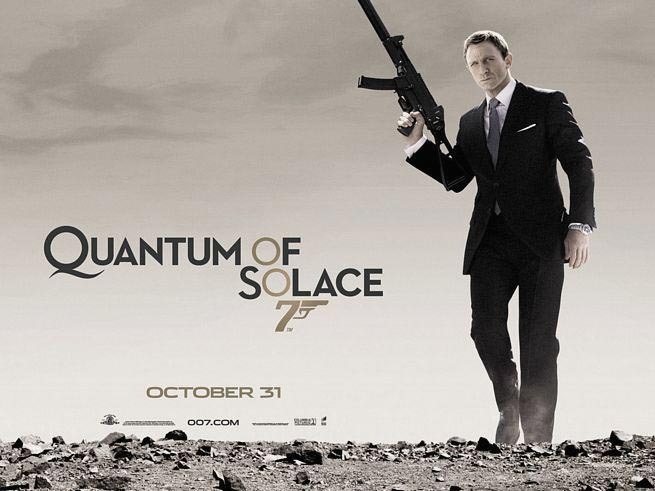 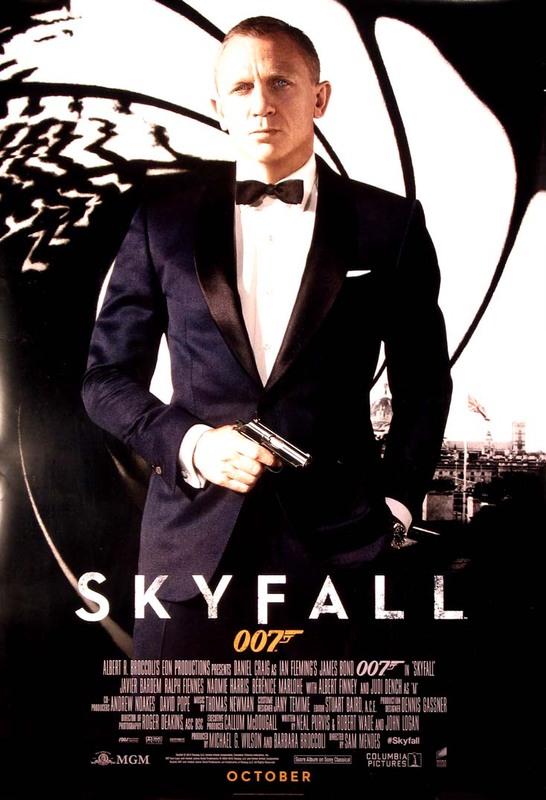 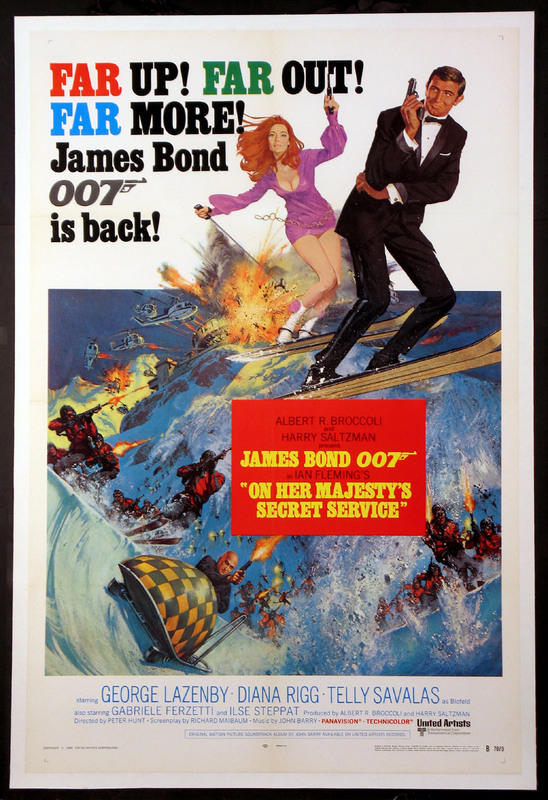 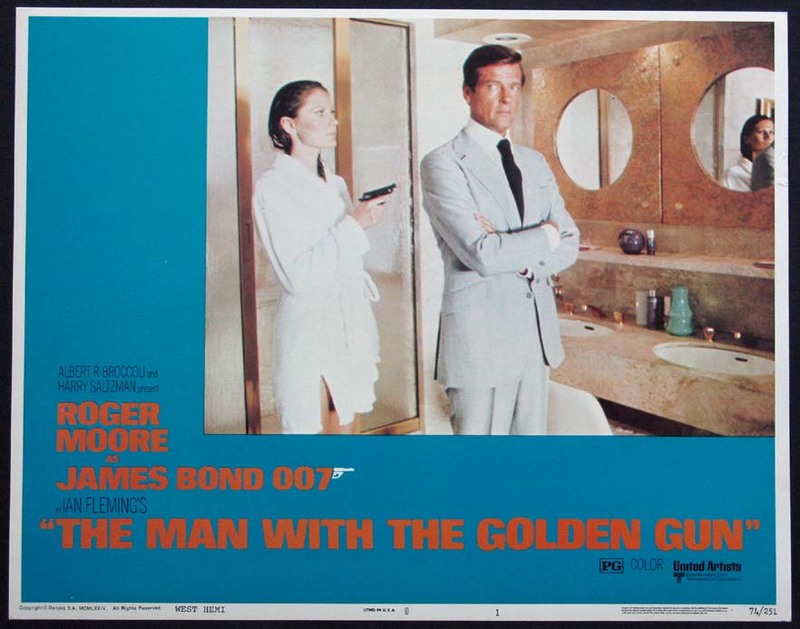 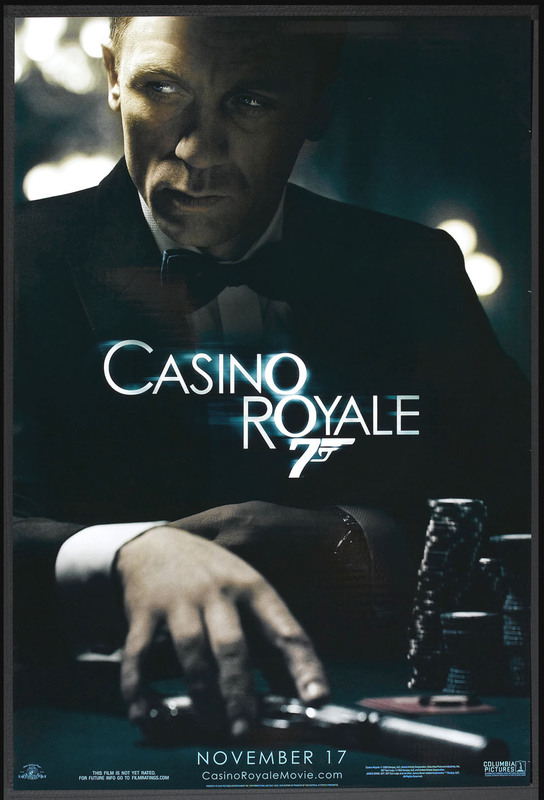 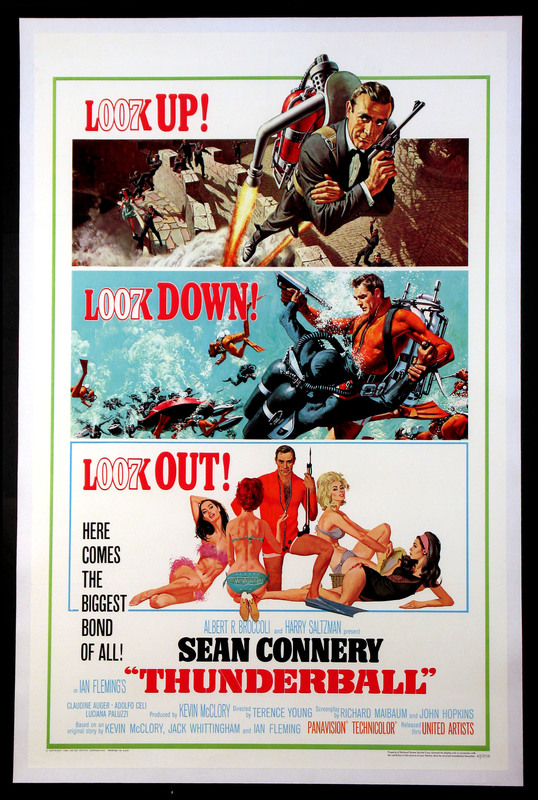 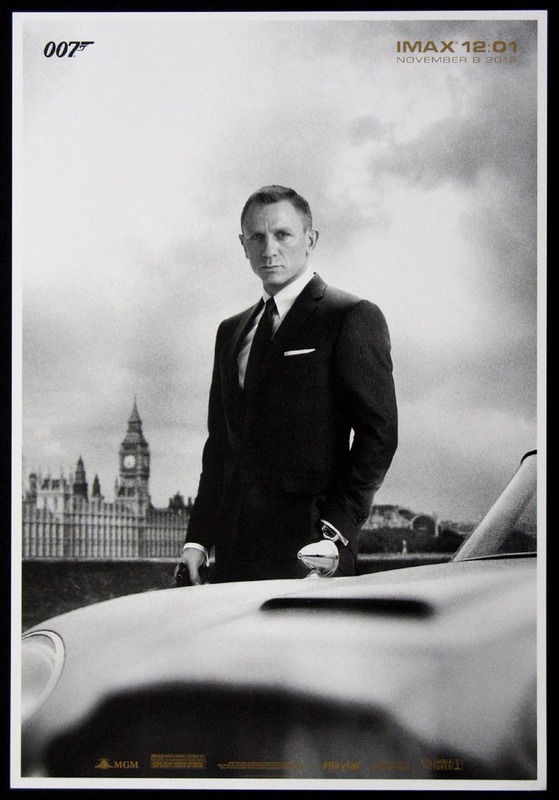 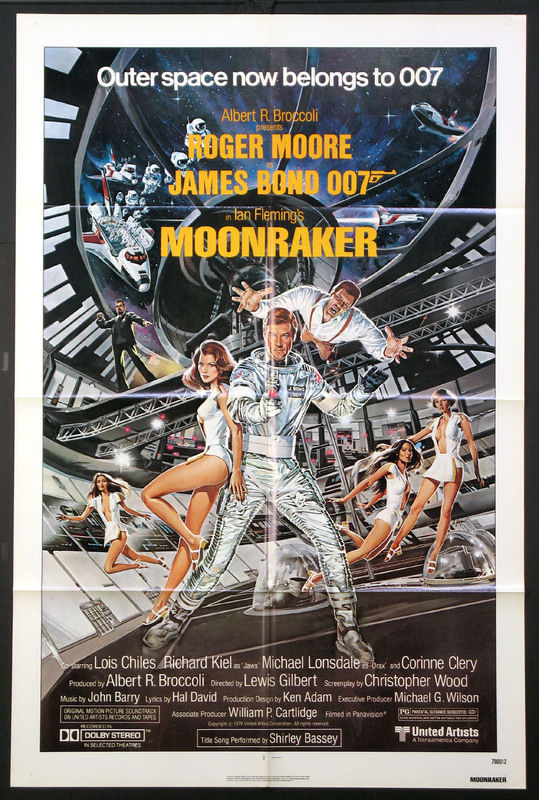 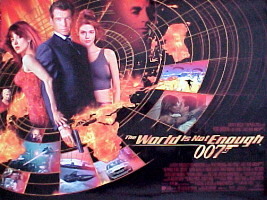 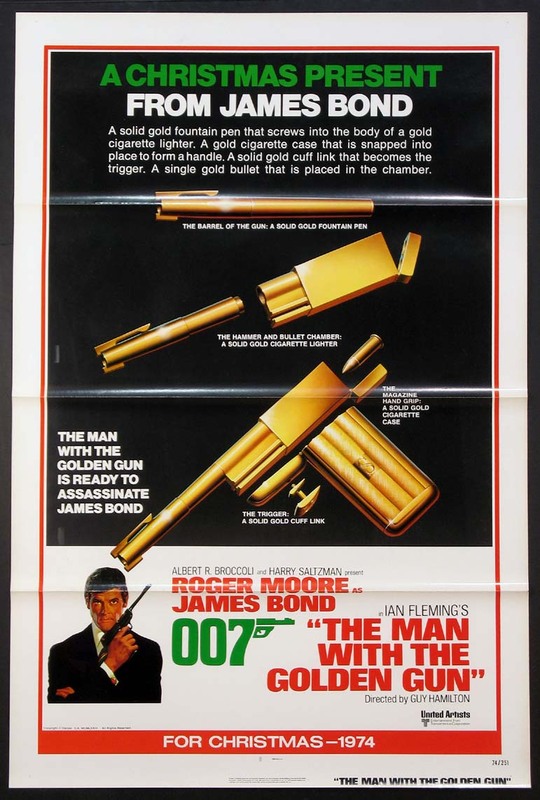 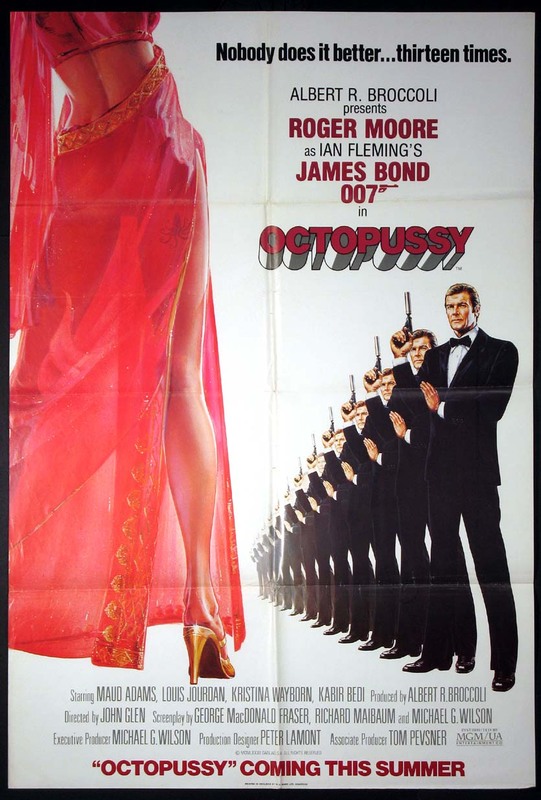 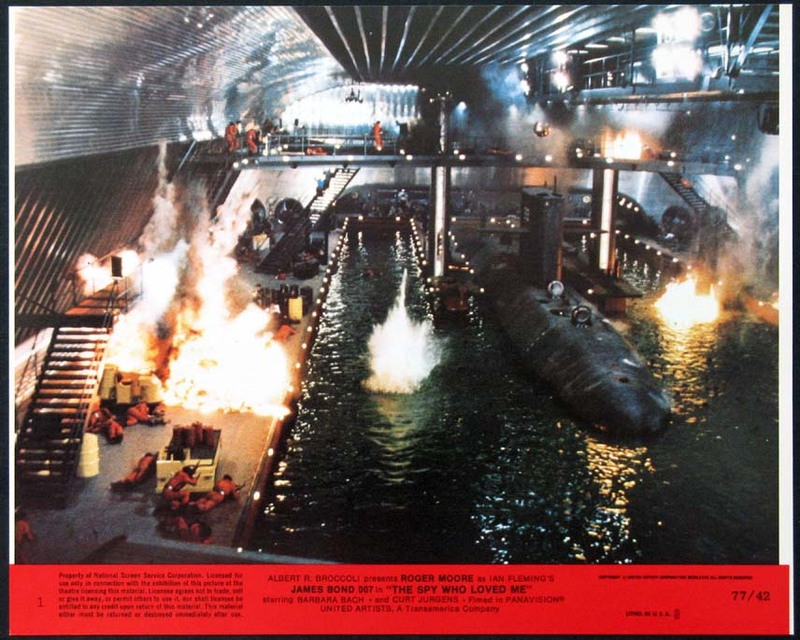 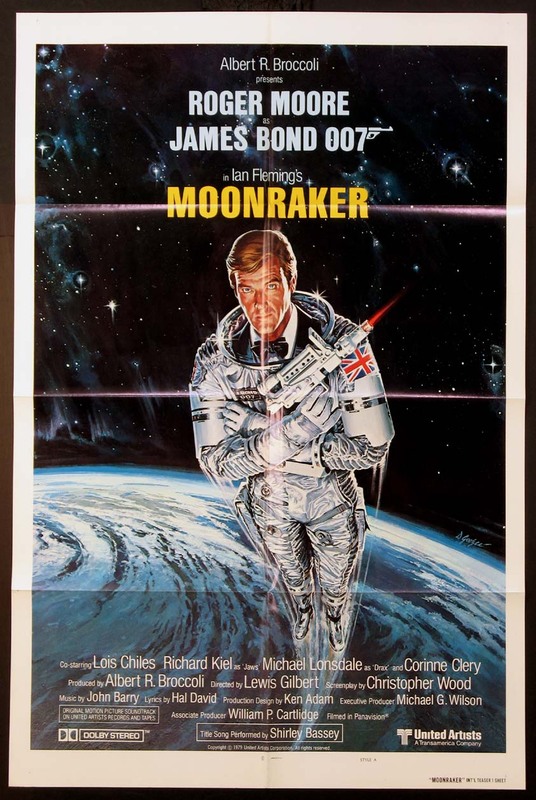 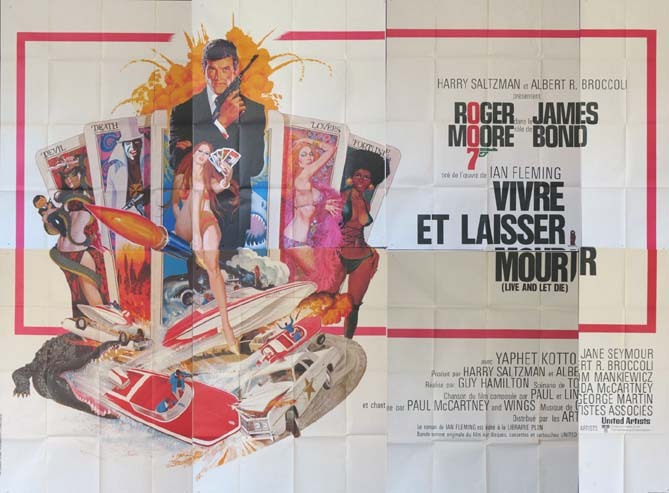 FilmPosters.com offers the world's largest selection of vintage James Bond movie posters. 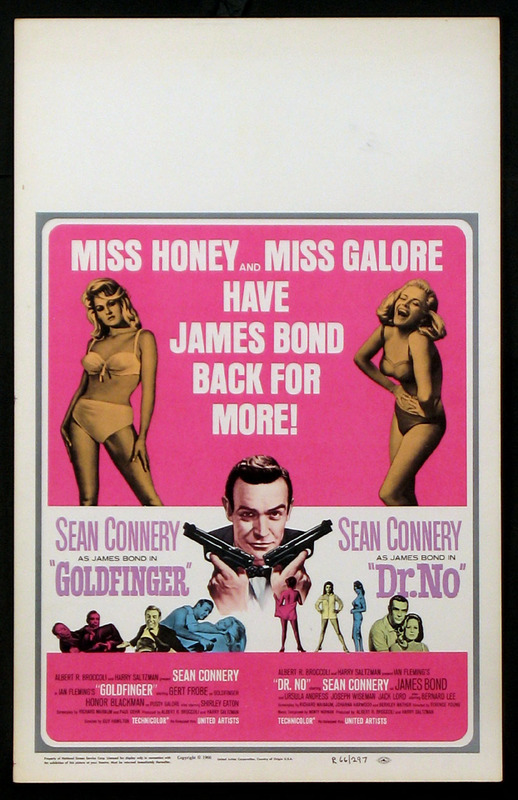 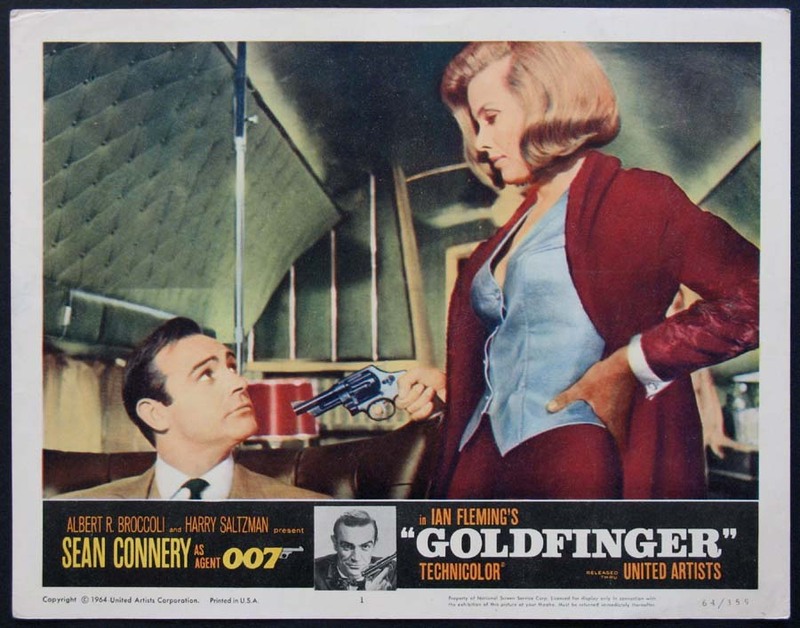 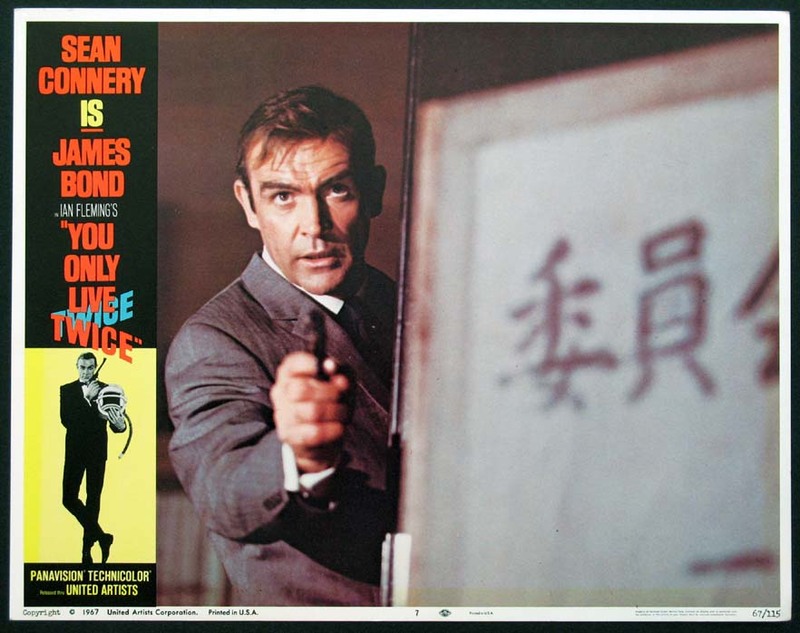 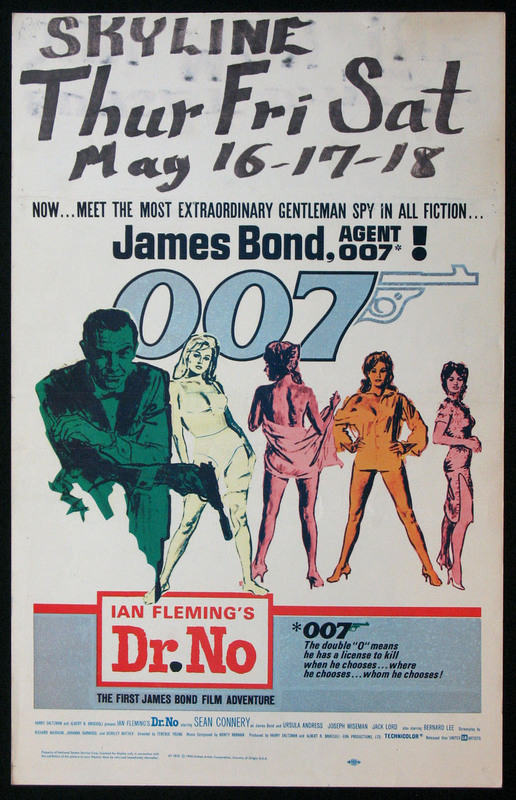 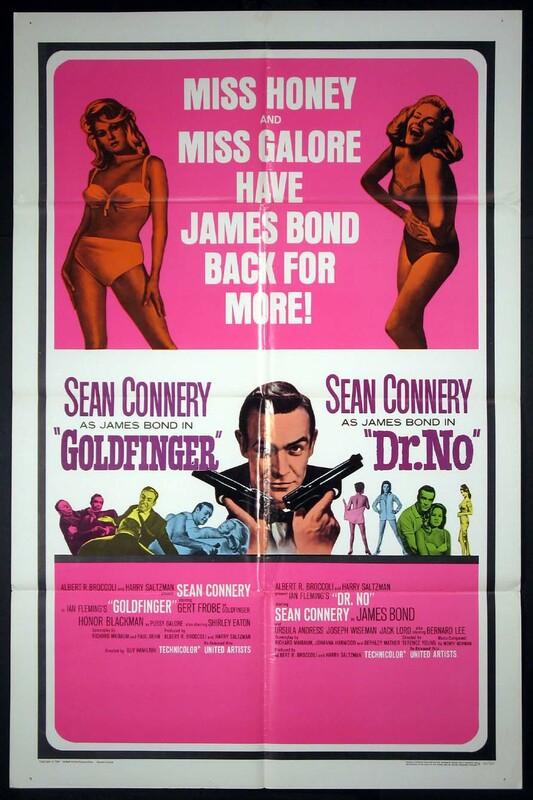 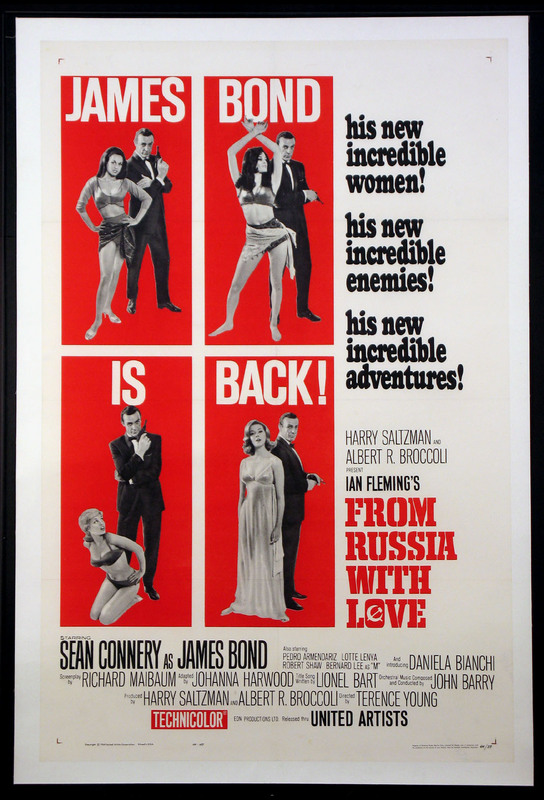 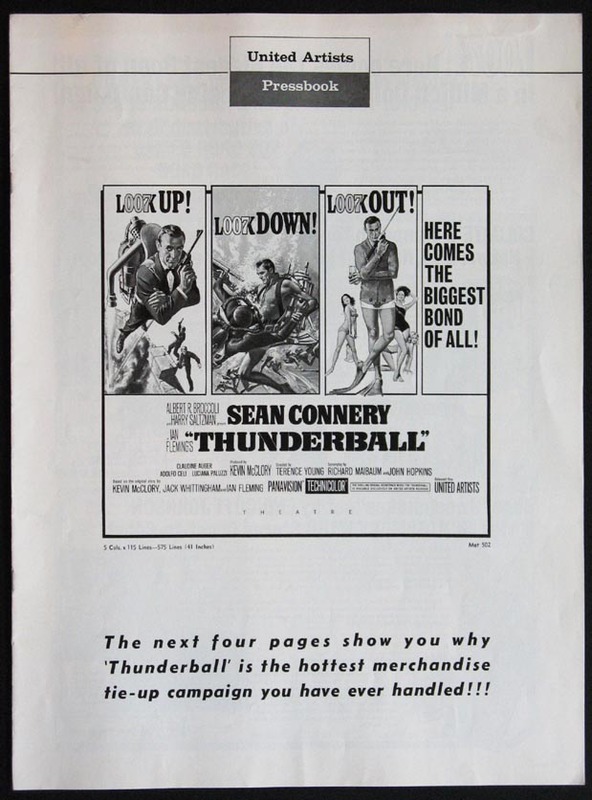 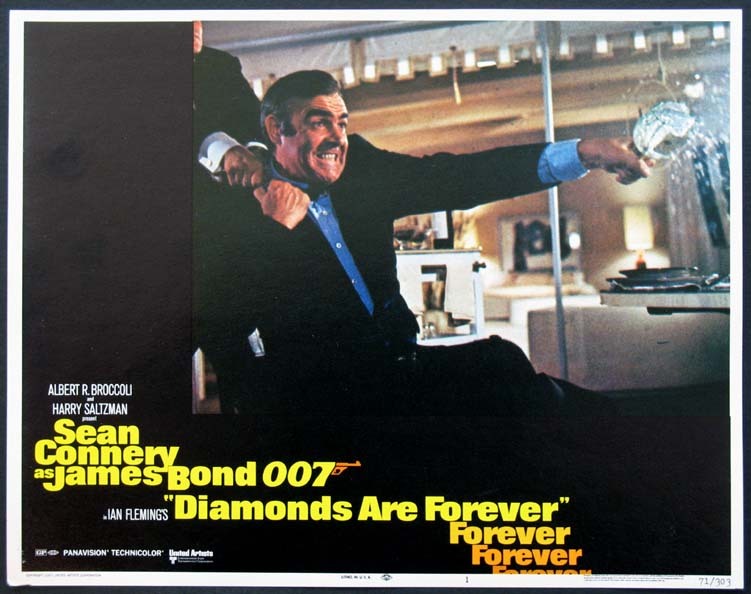 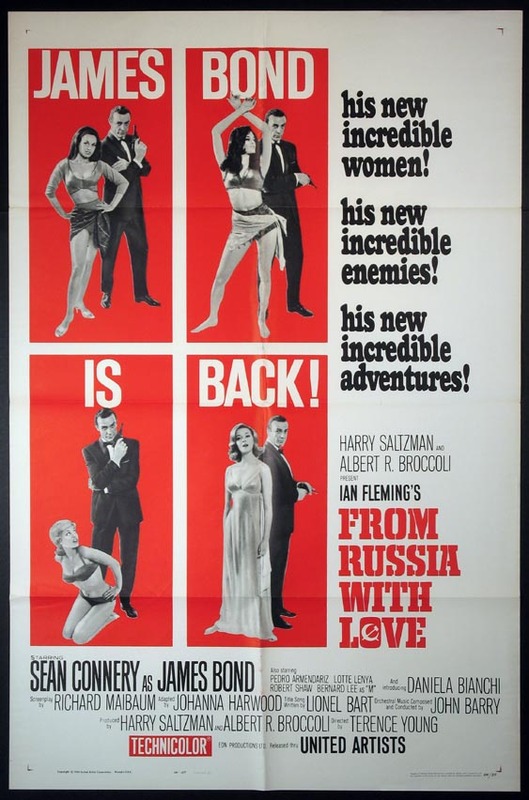 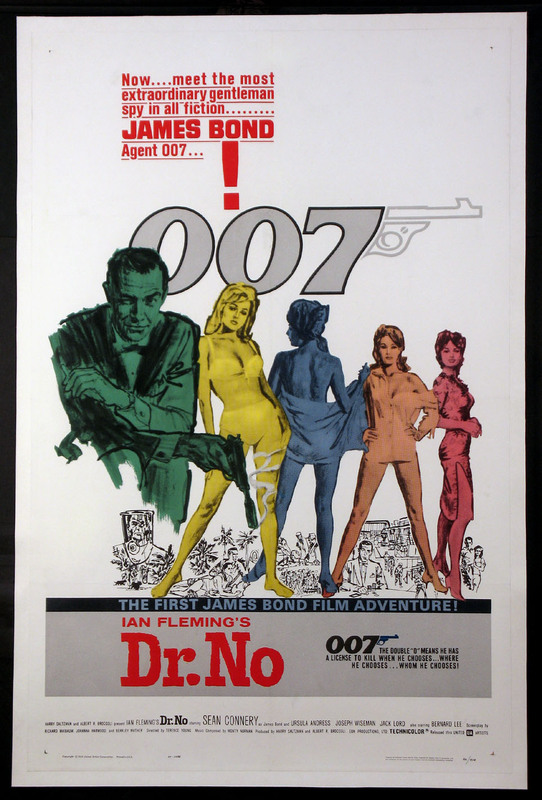 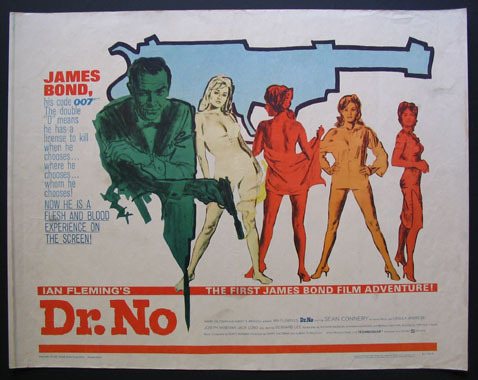 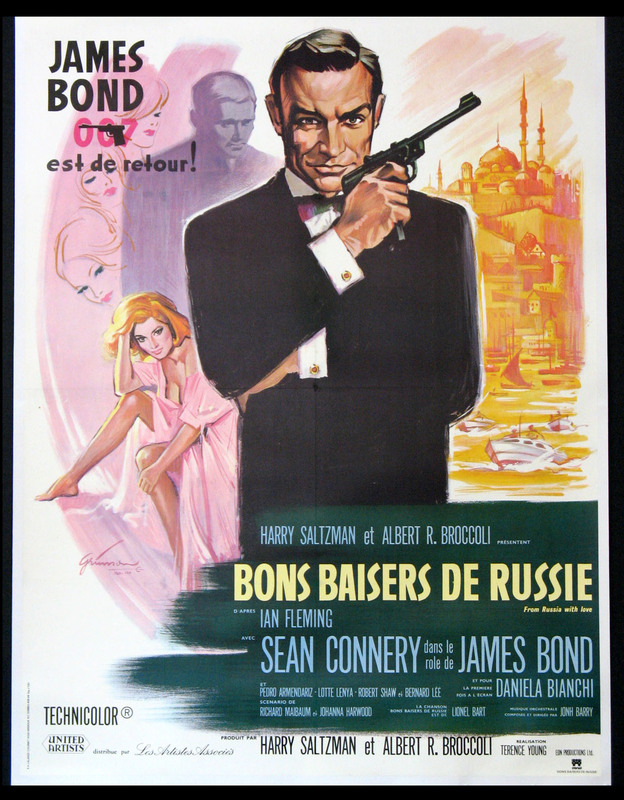 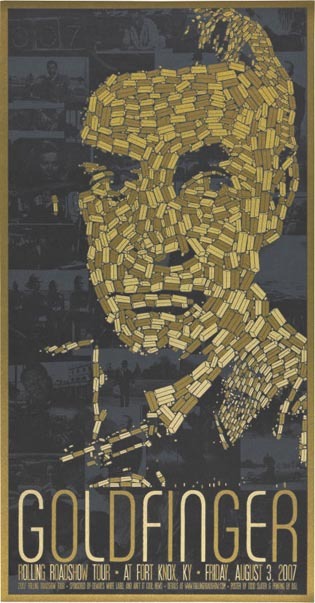 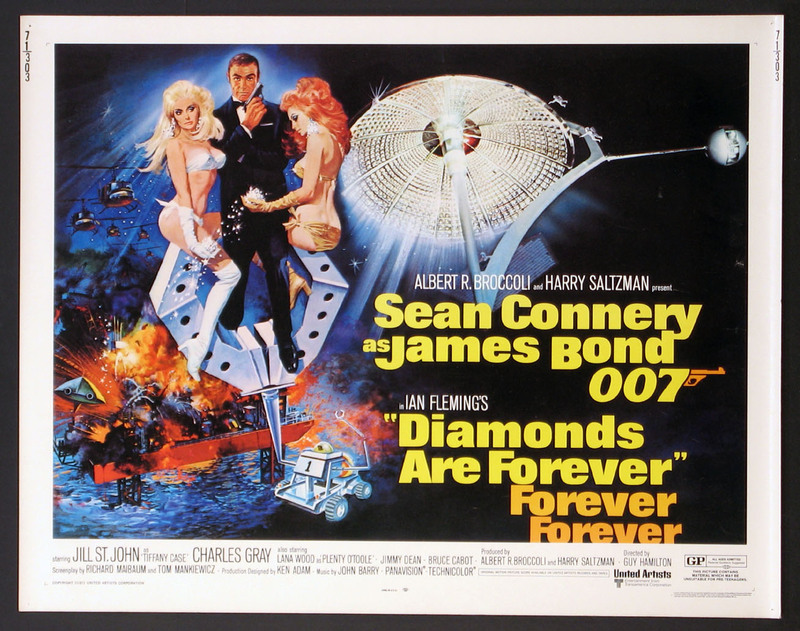 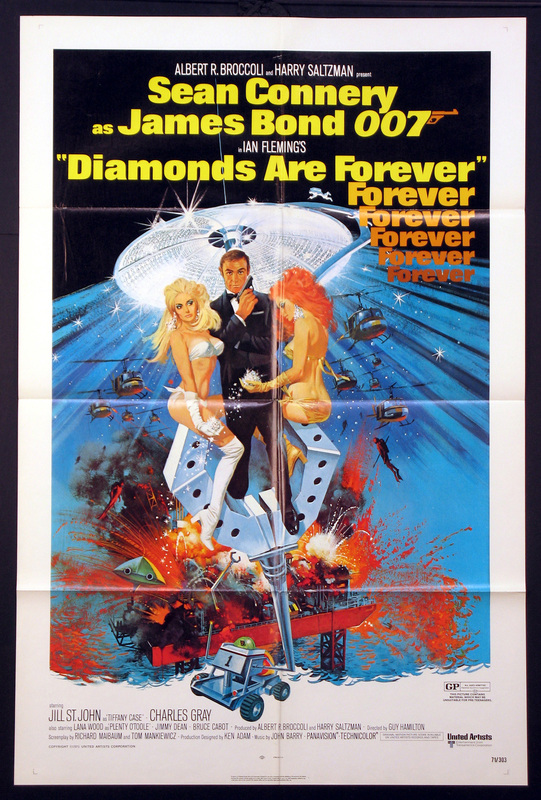 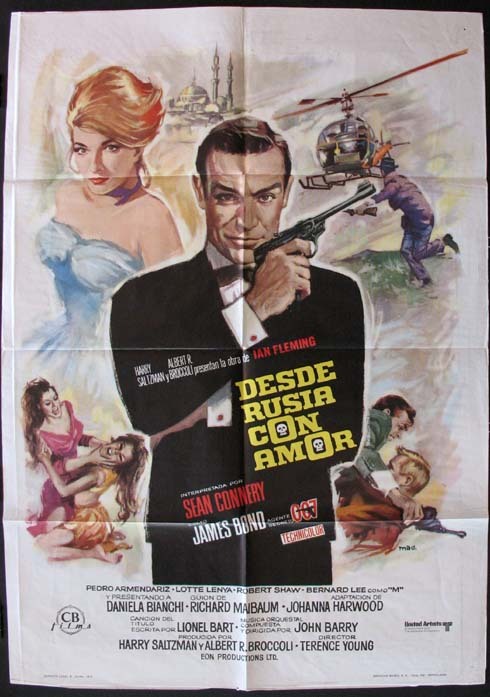 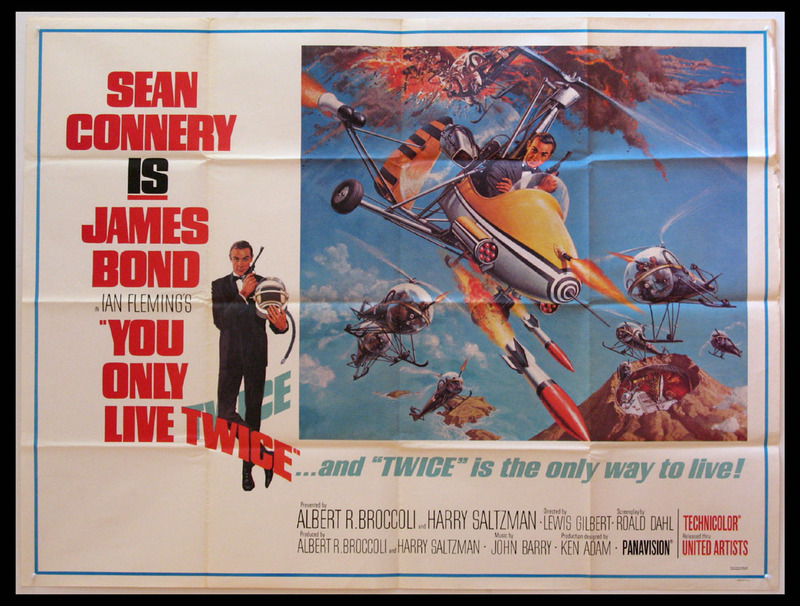 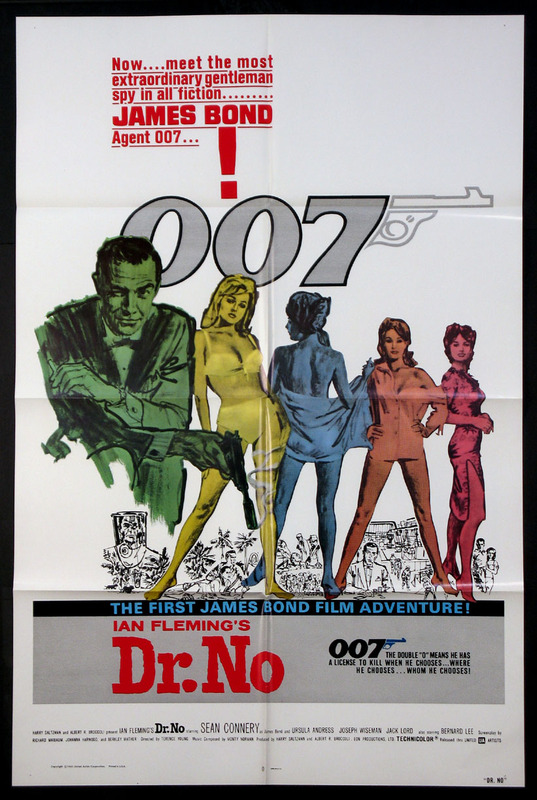 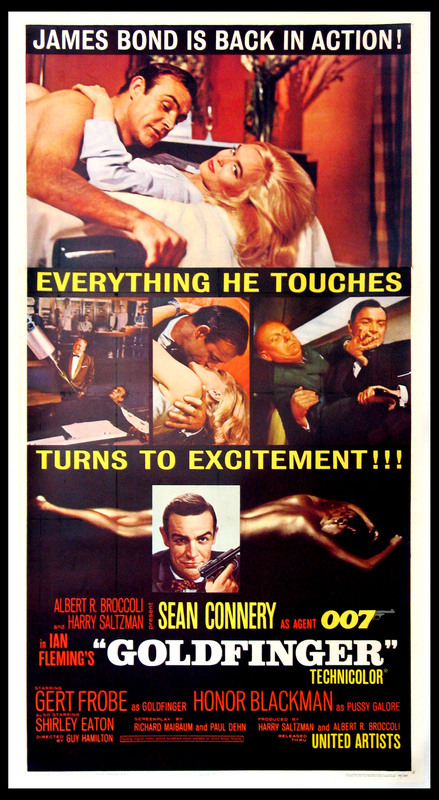 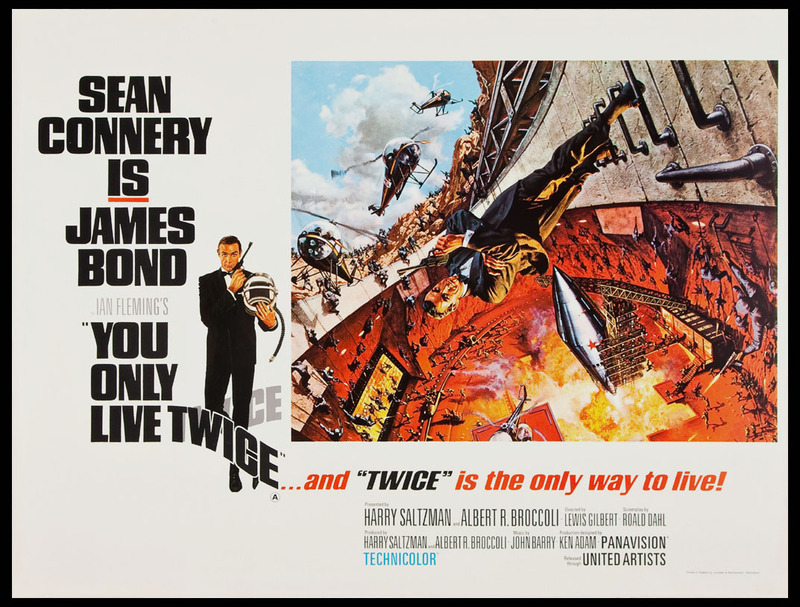 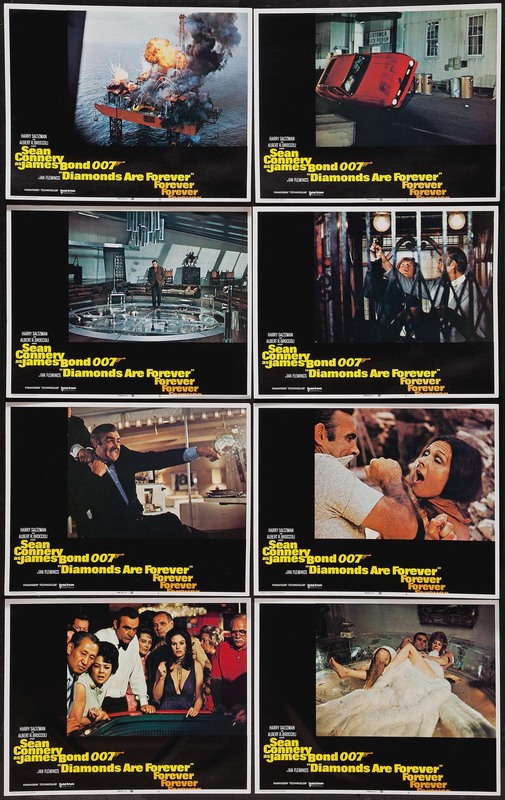 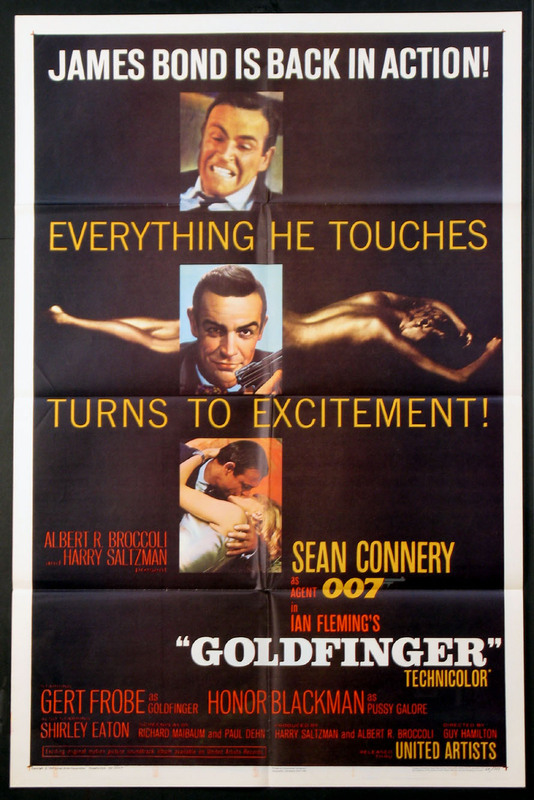 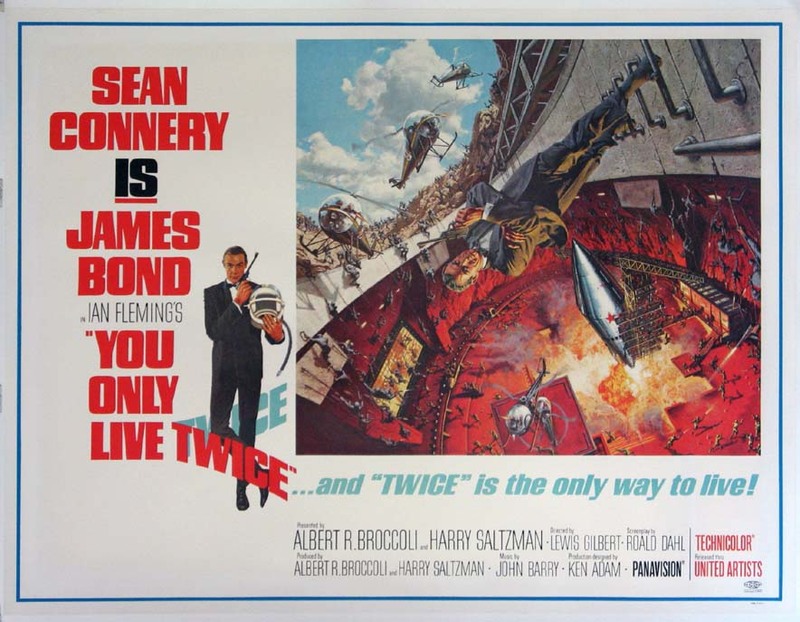 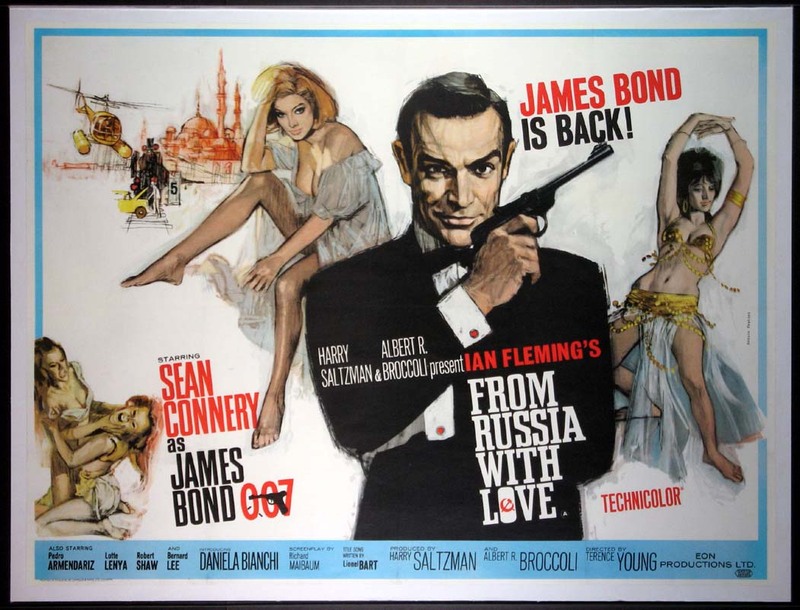 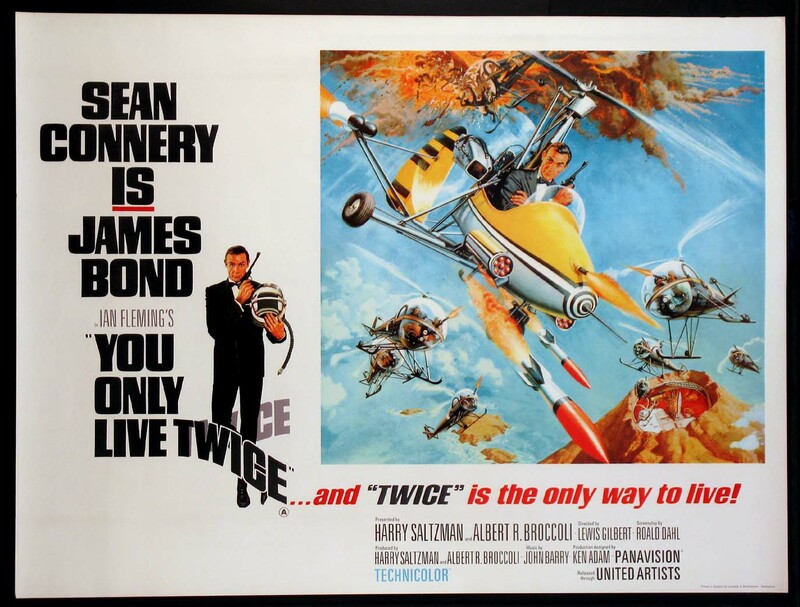 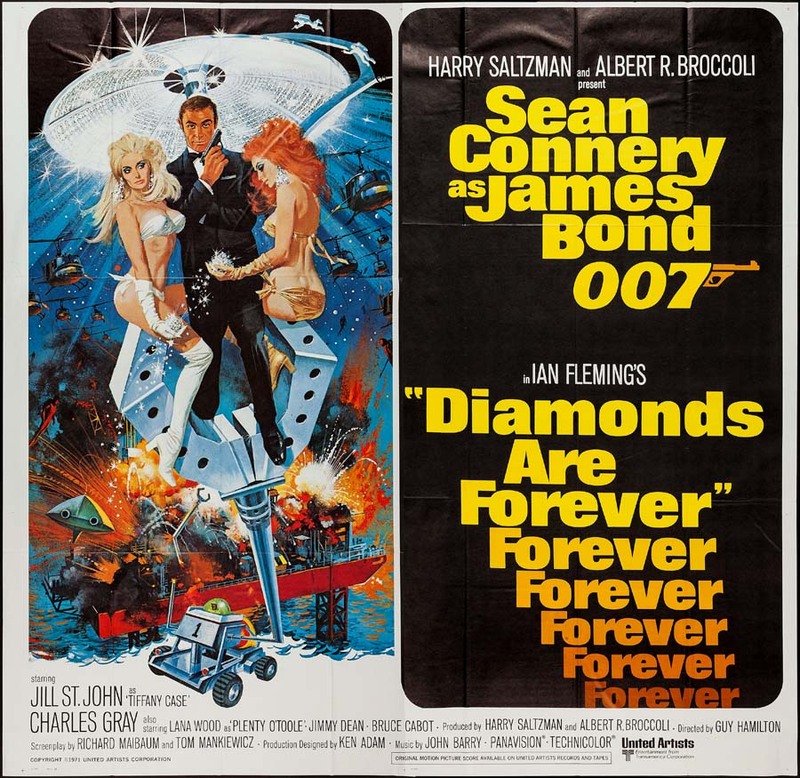 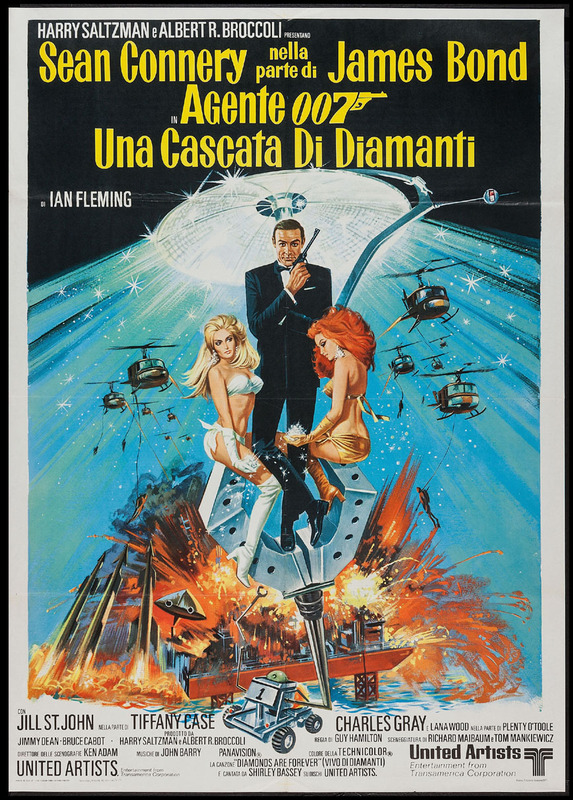 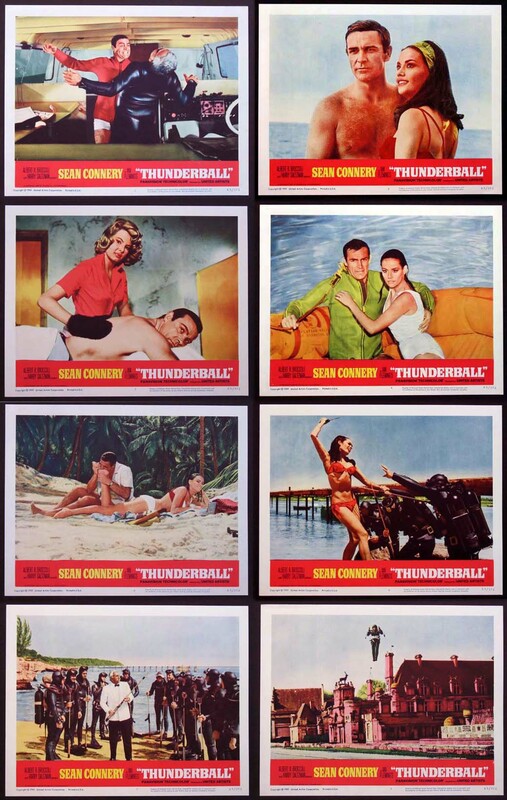 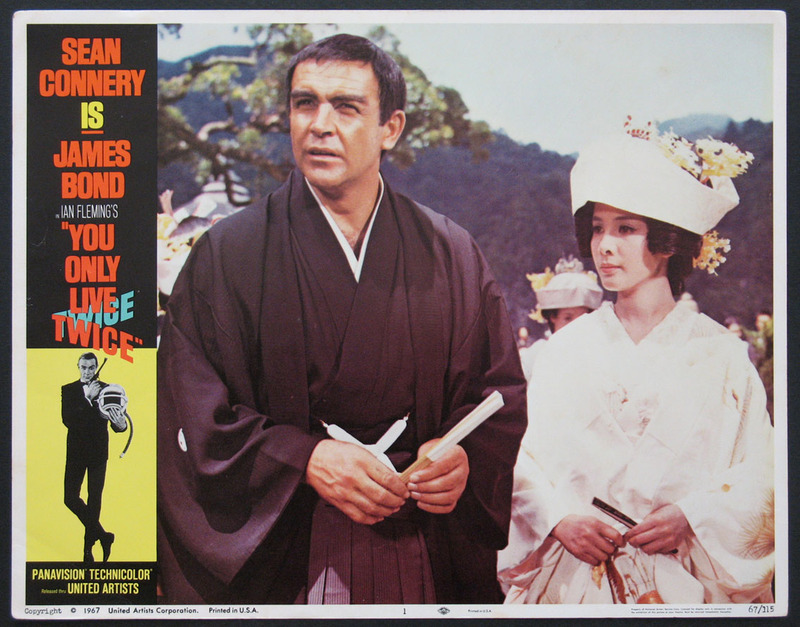 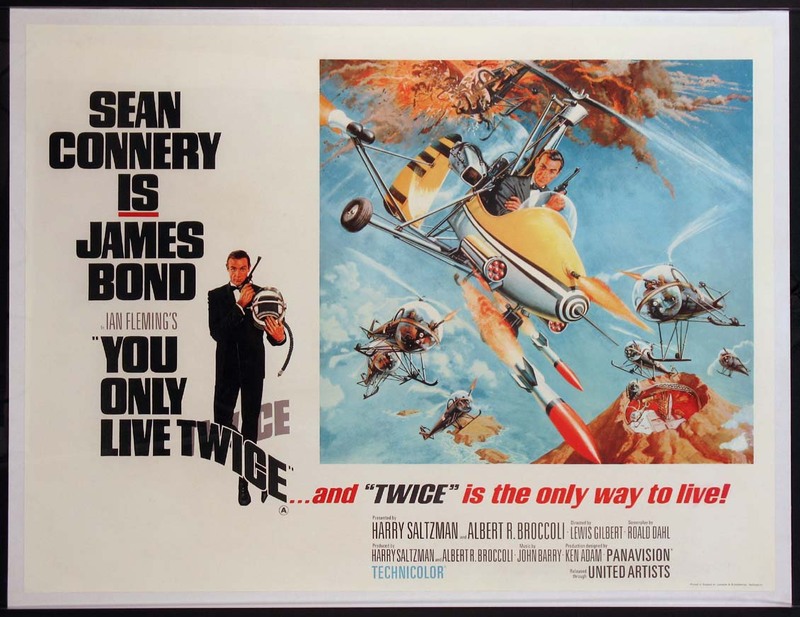 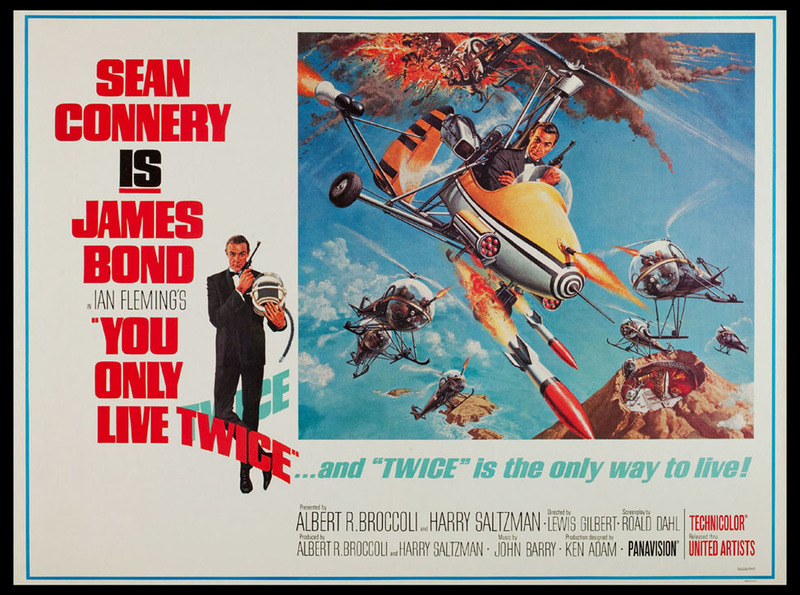 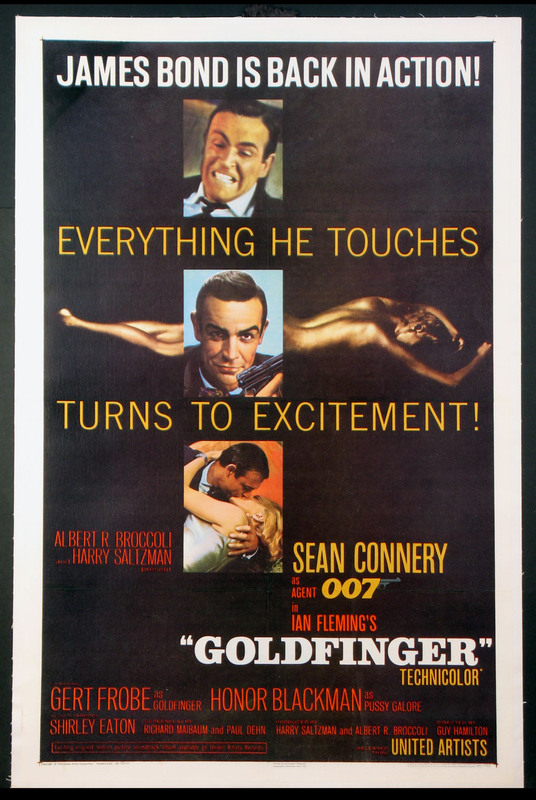 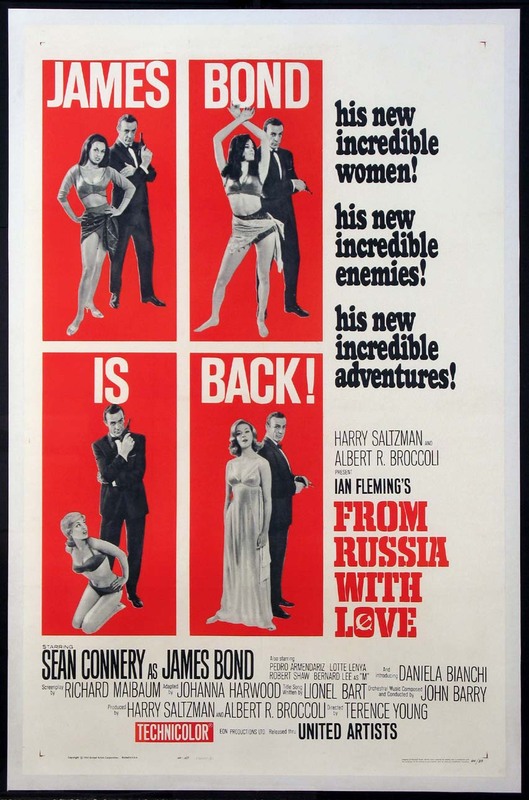 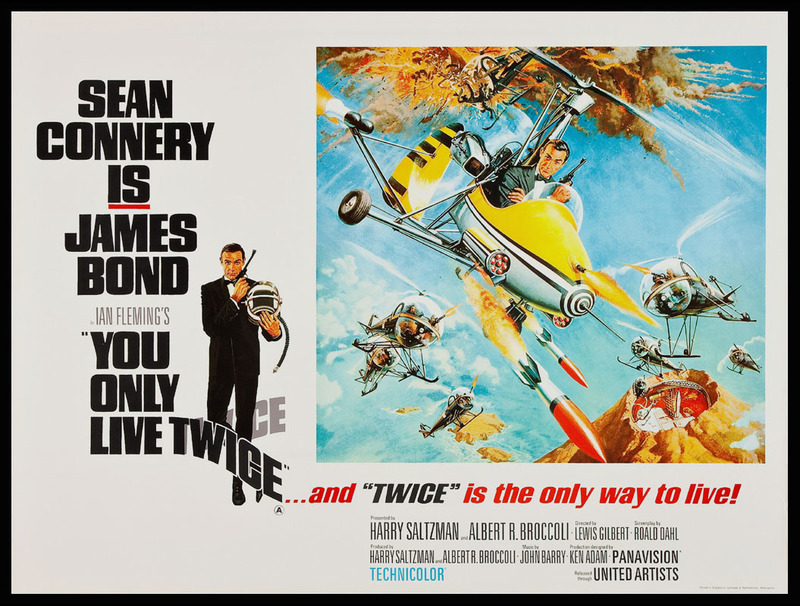 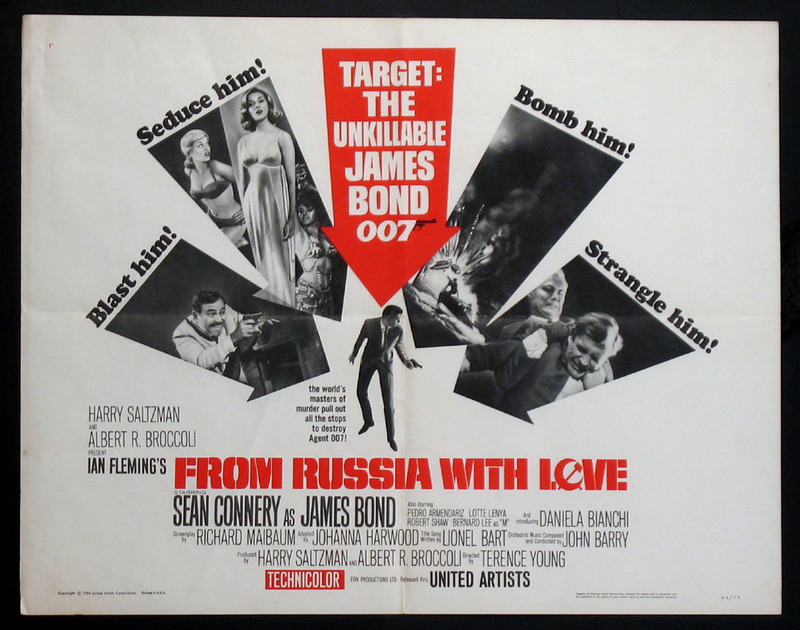 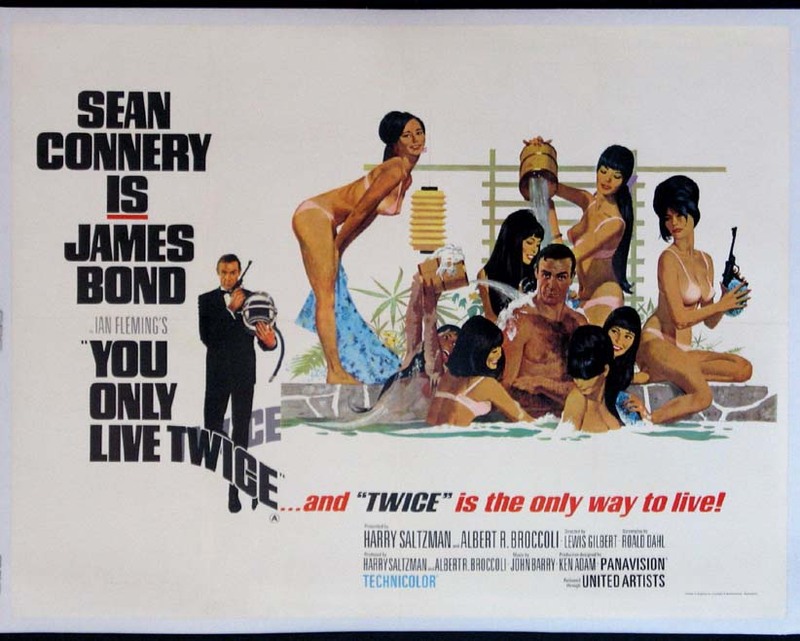 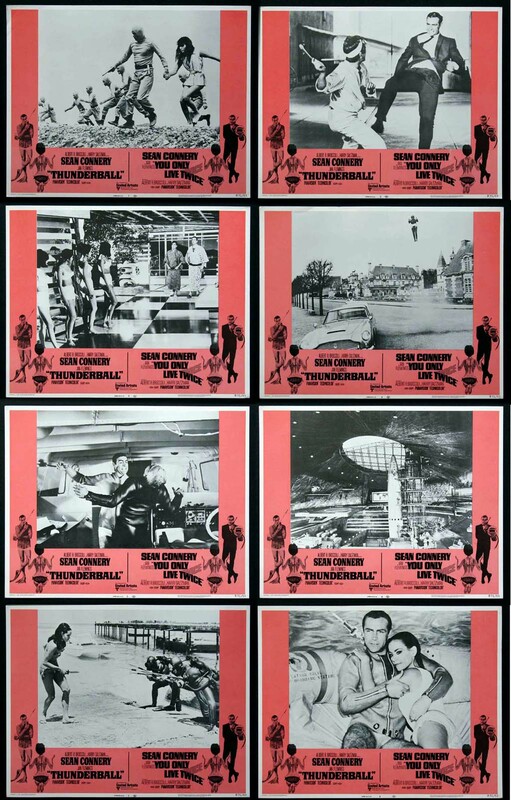 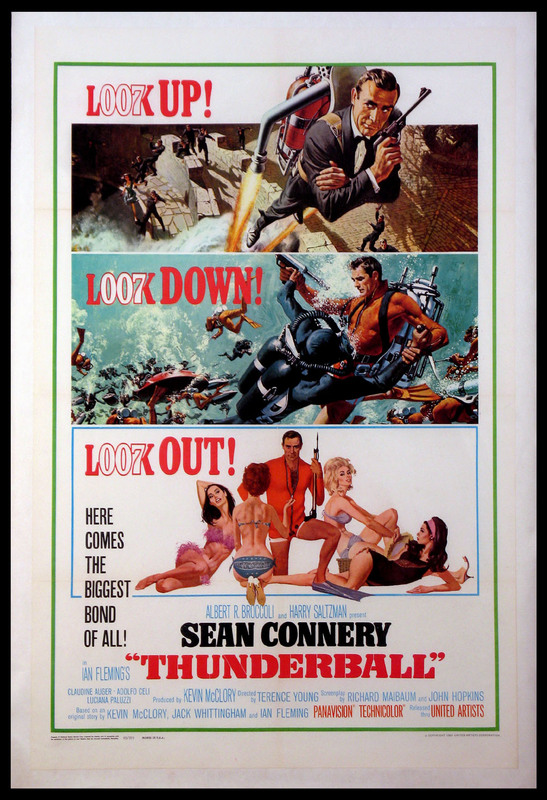 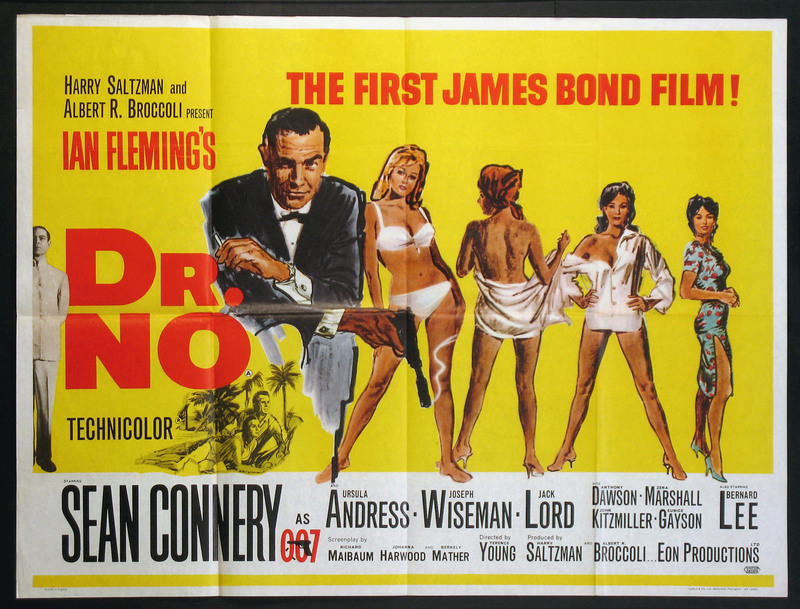 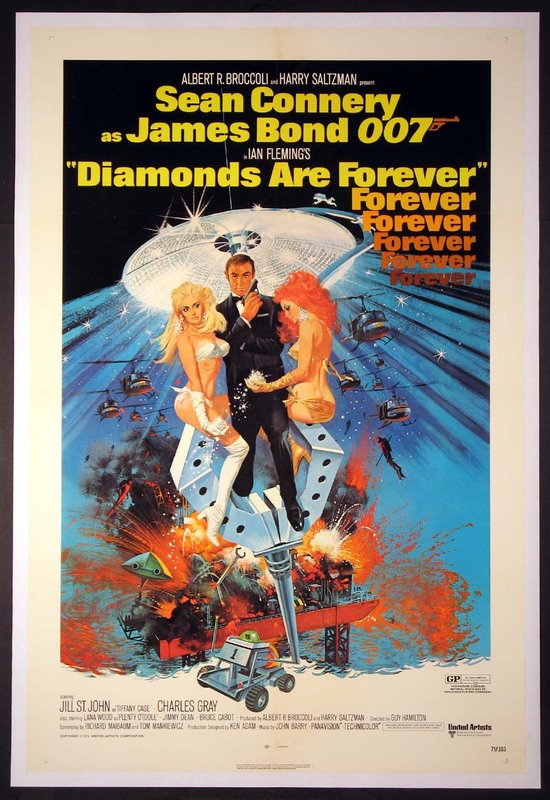 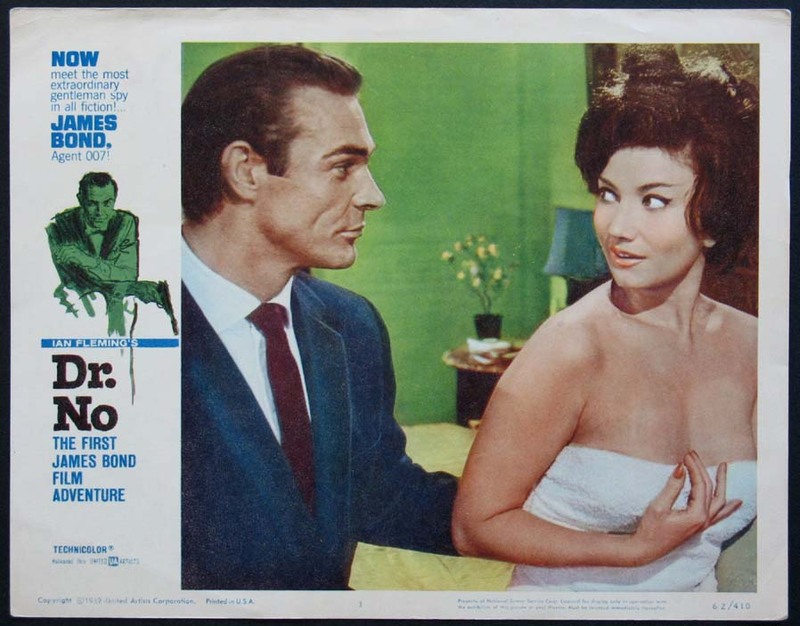 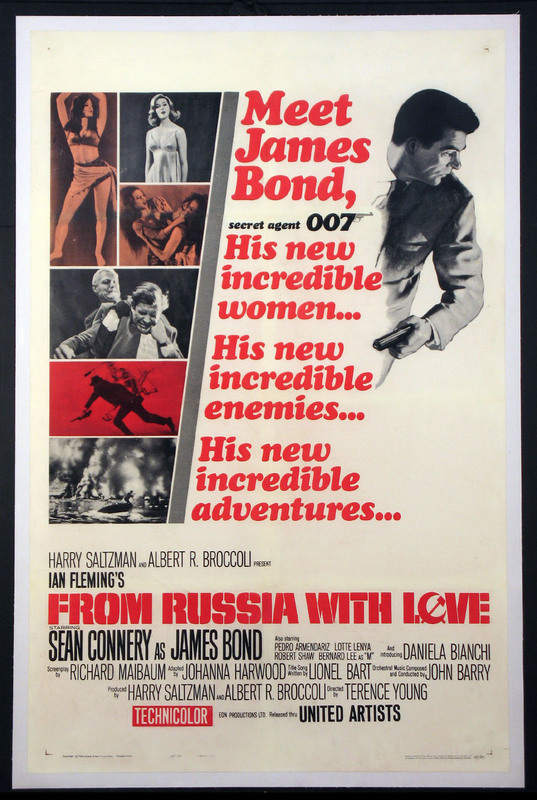 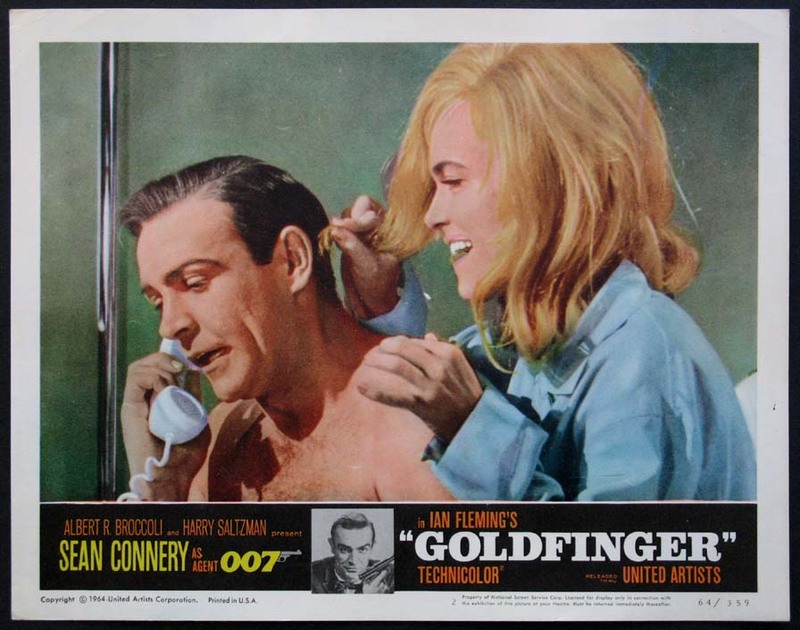 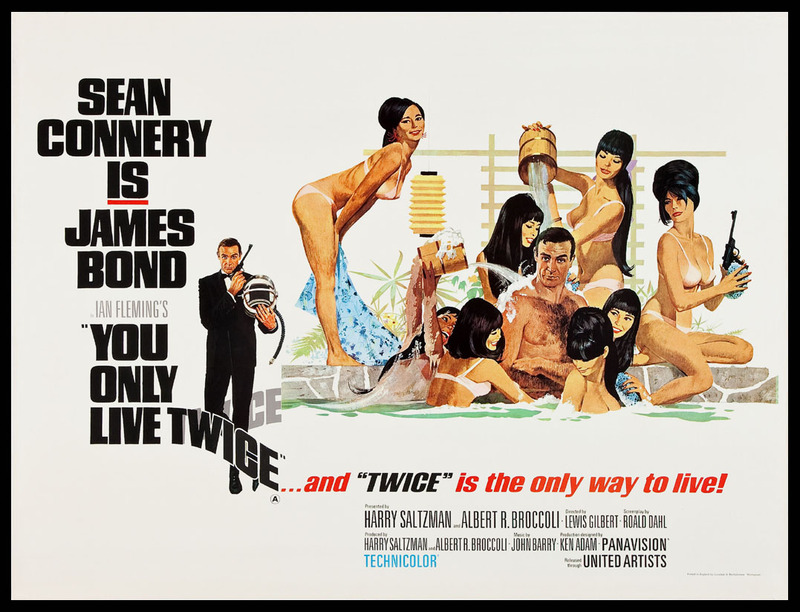 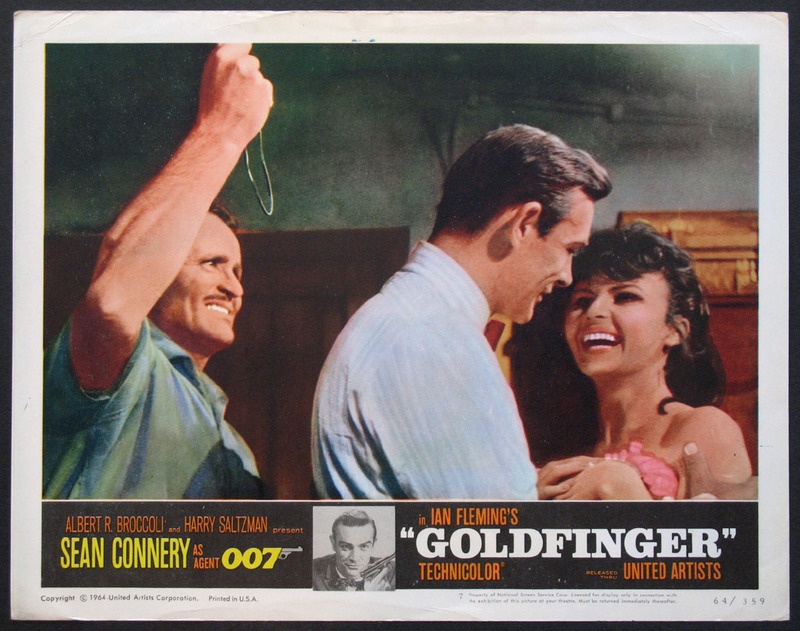 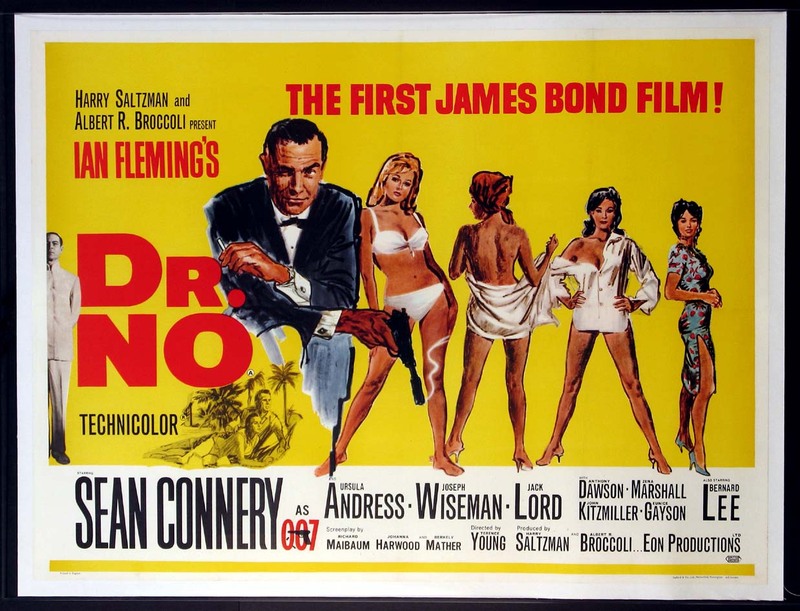 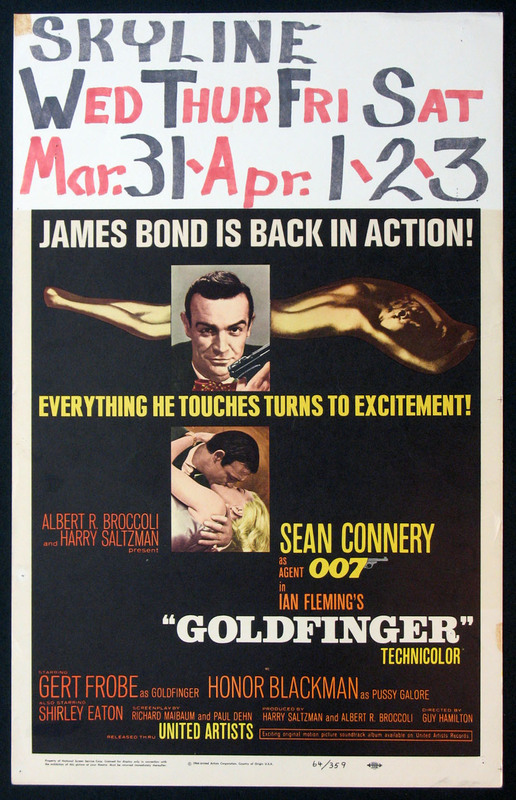 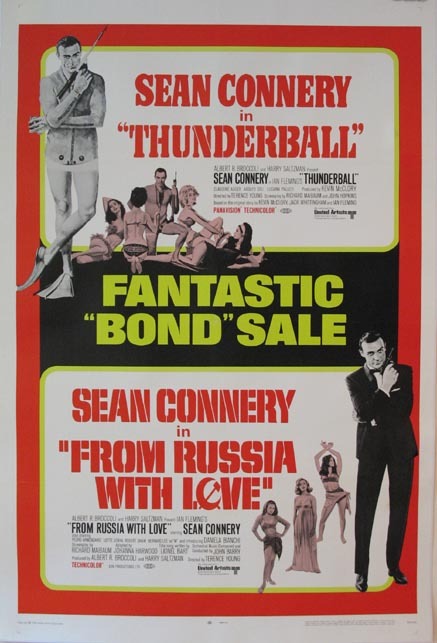 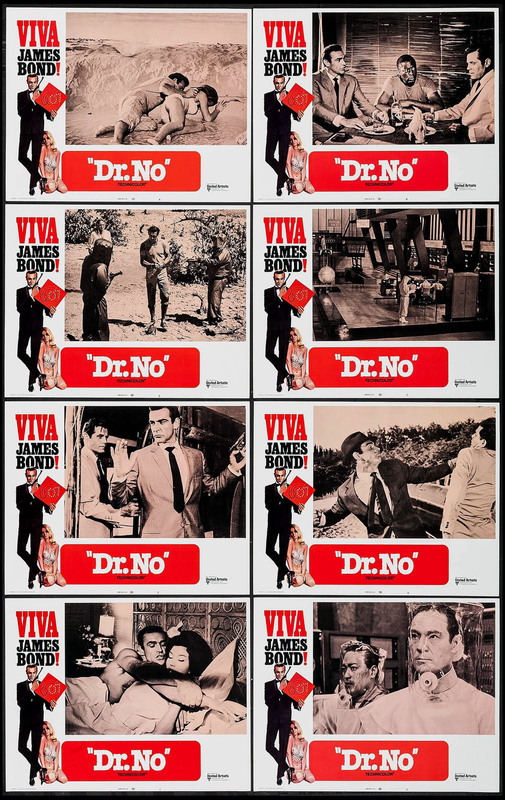 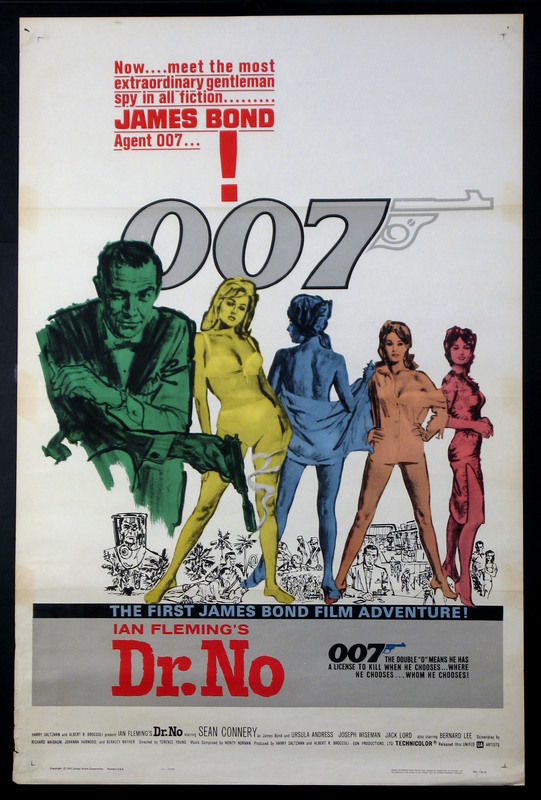 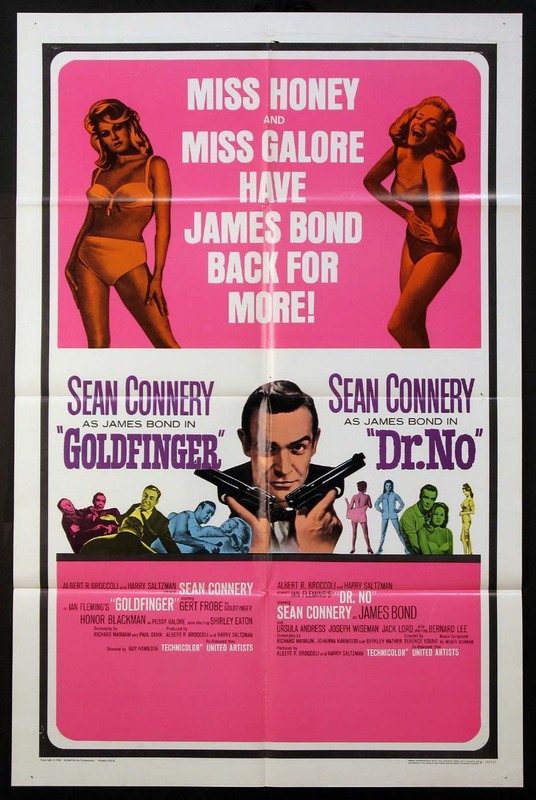 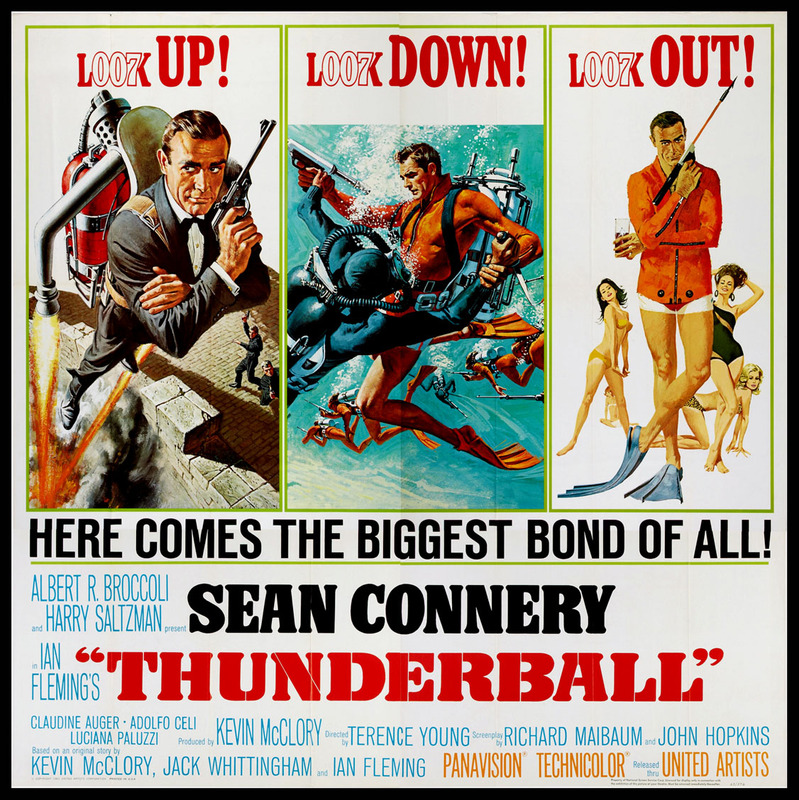 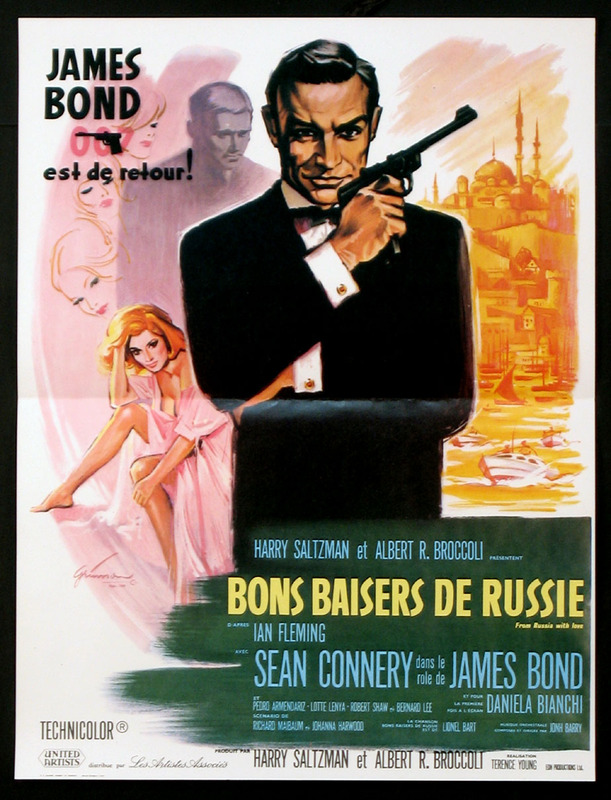 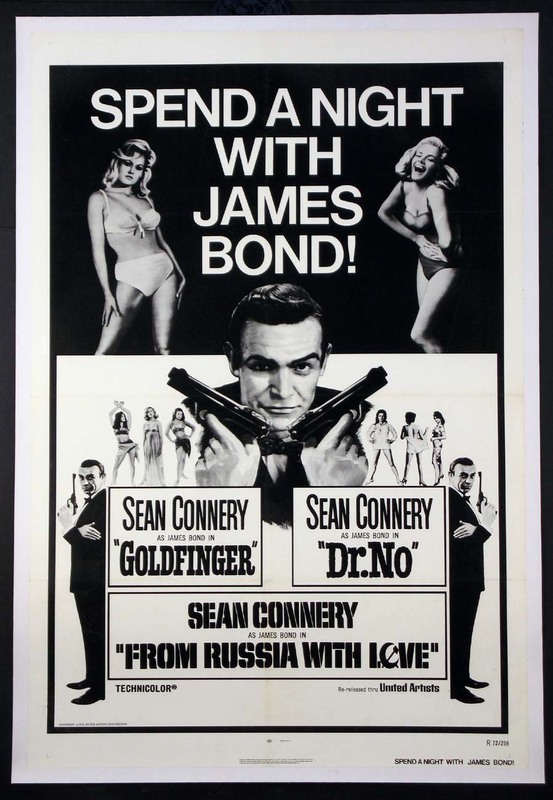 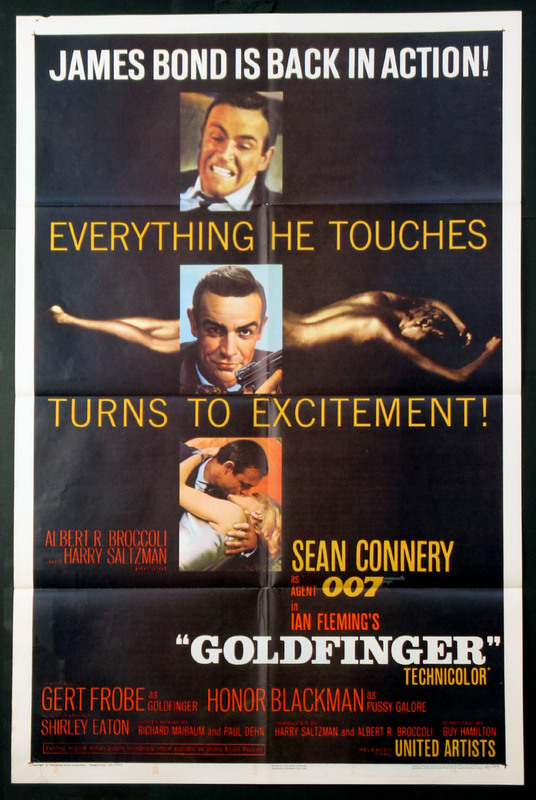 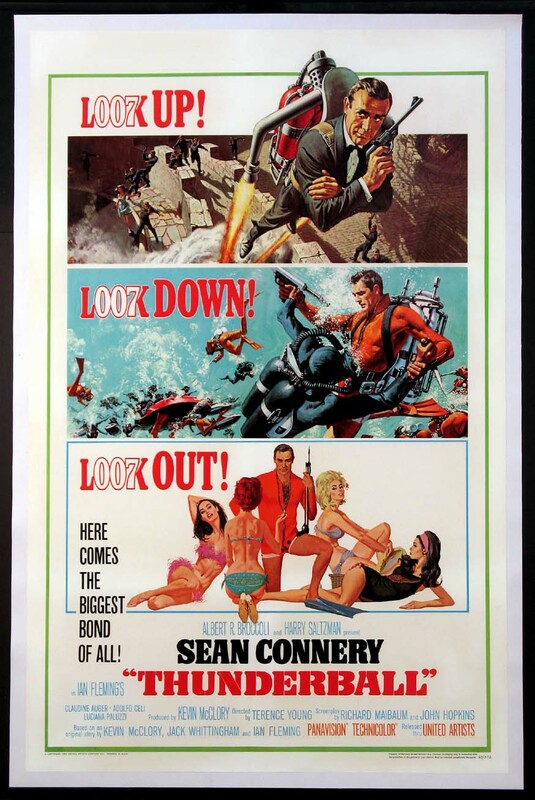 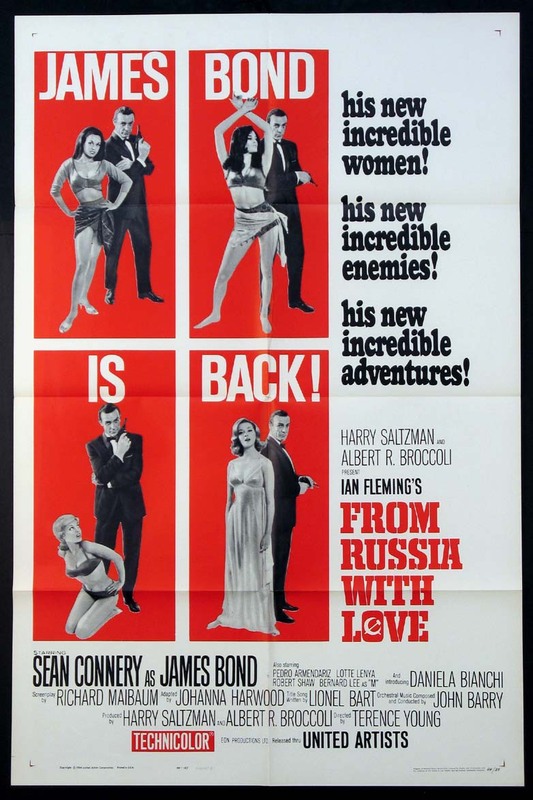 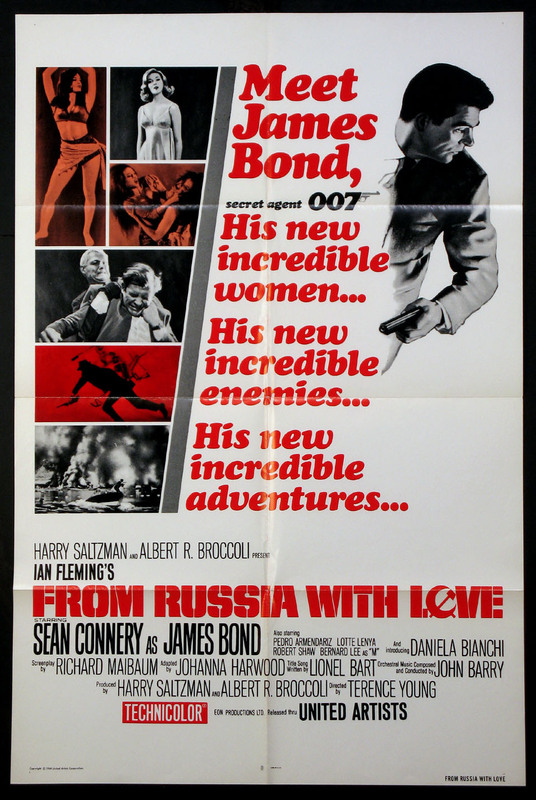 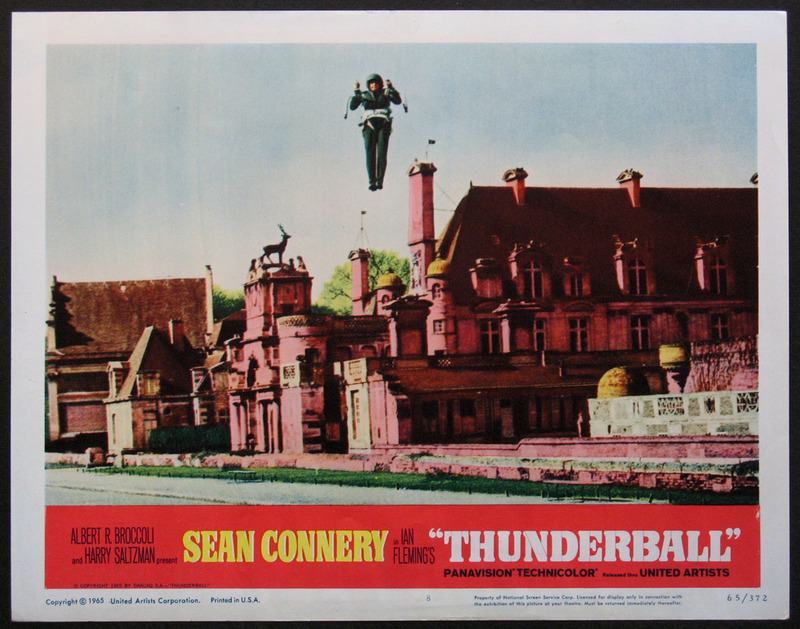 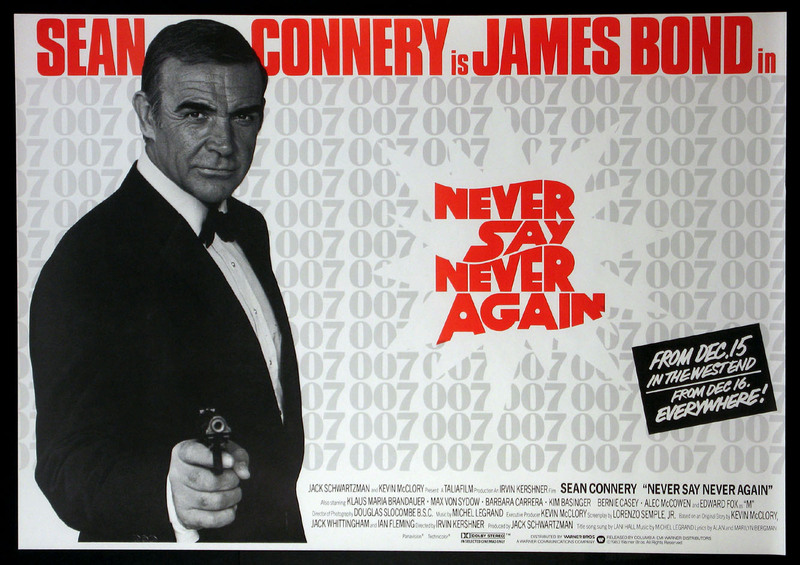 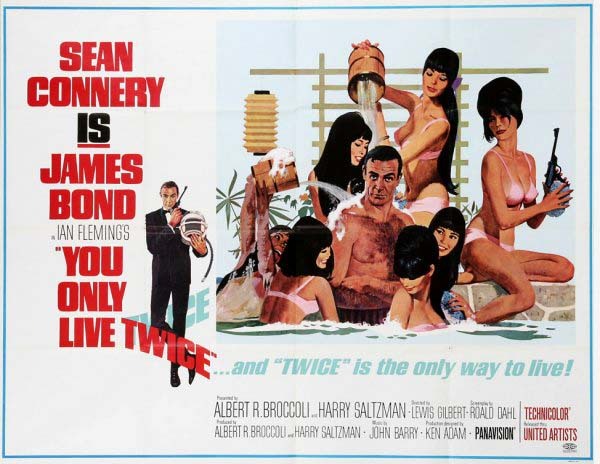 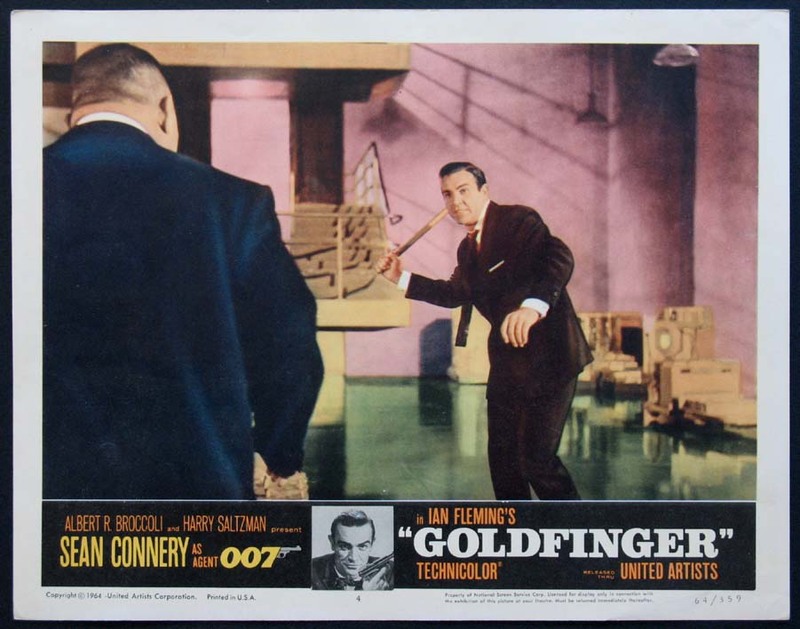 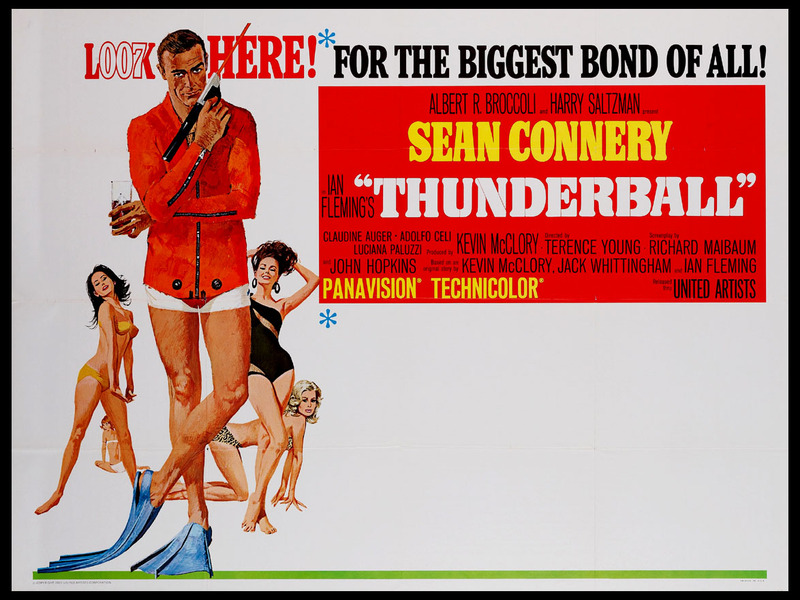 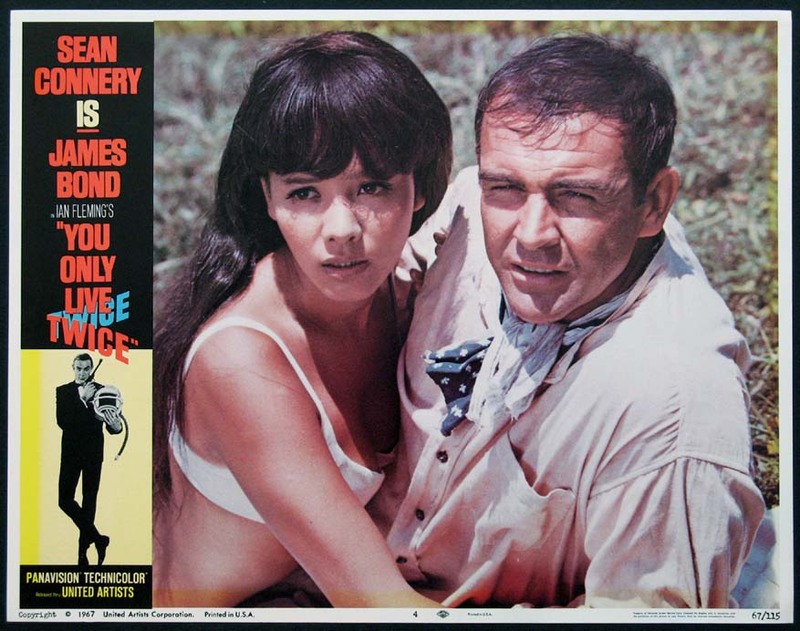 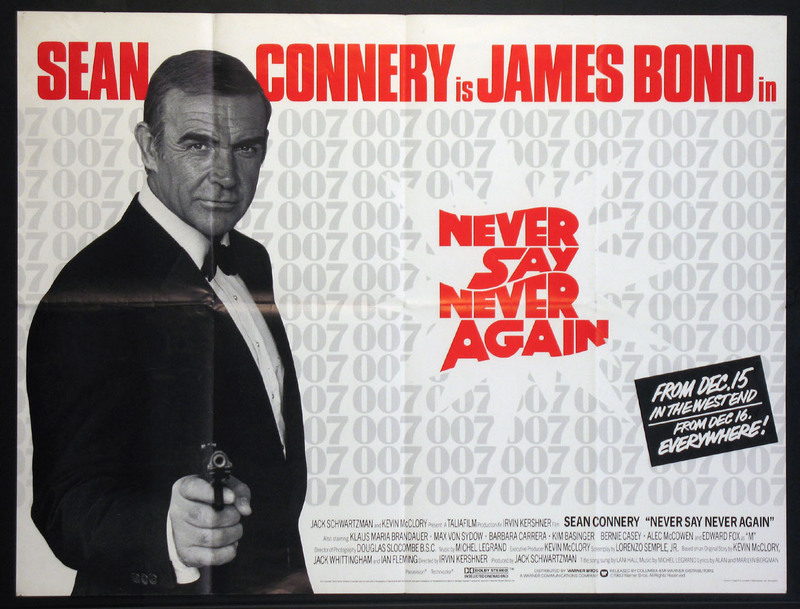 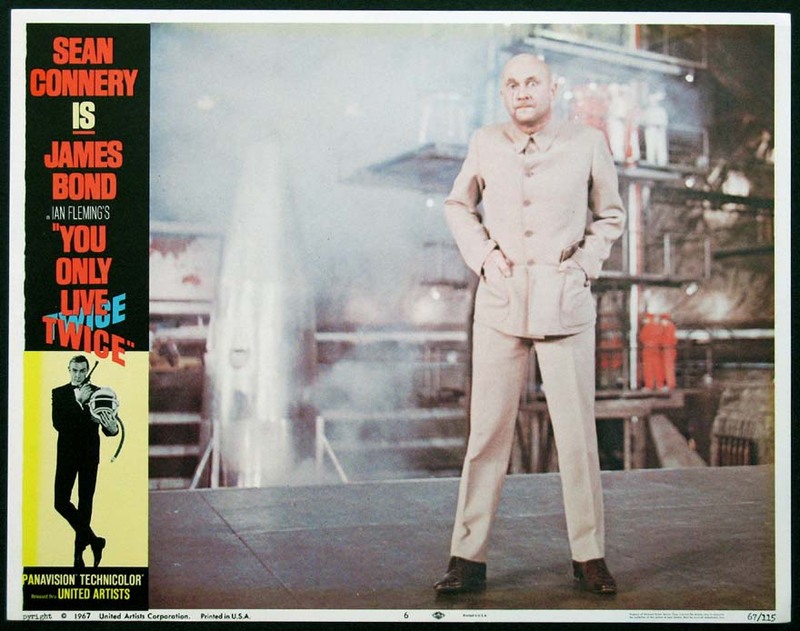 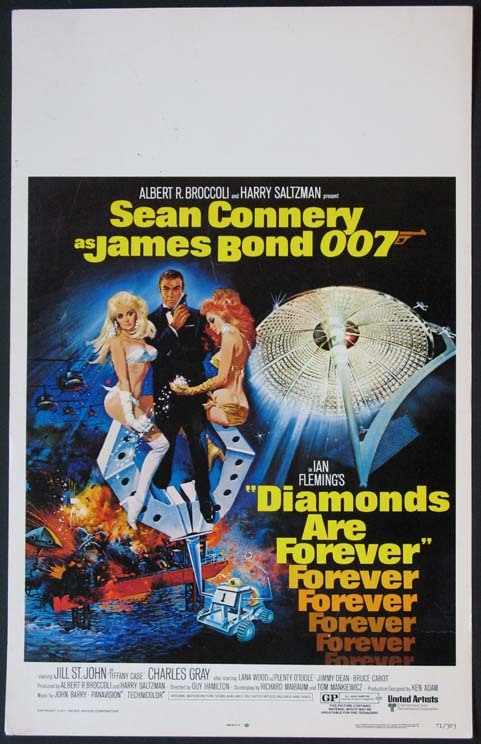 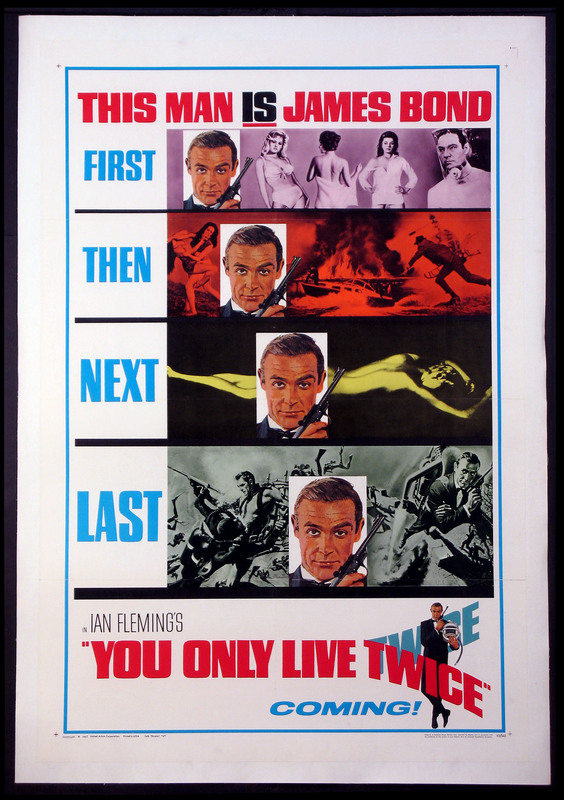 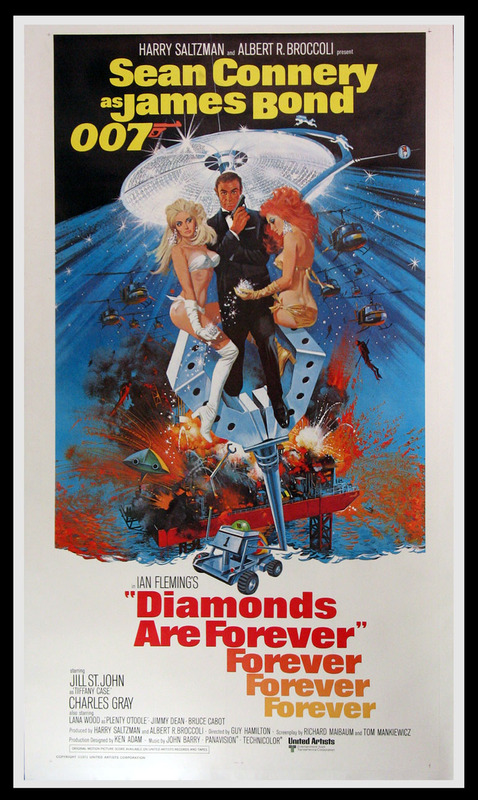 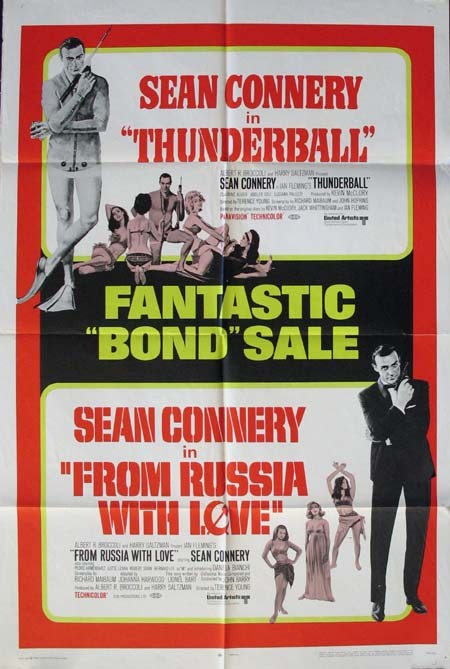 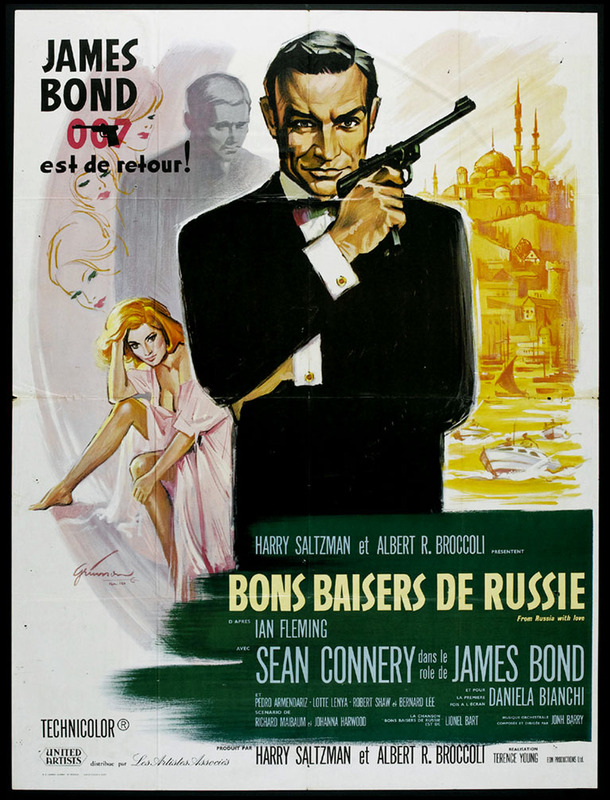 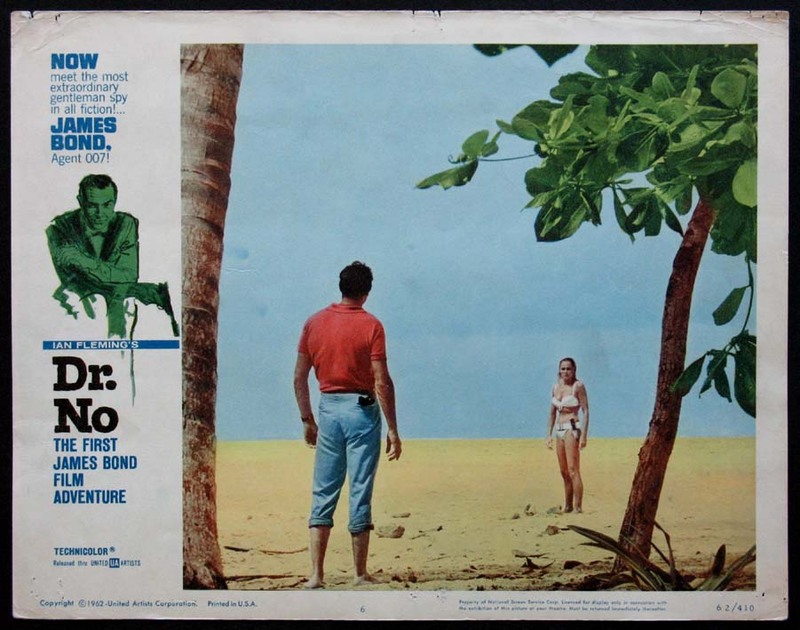 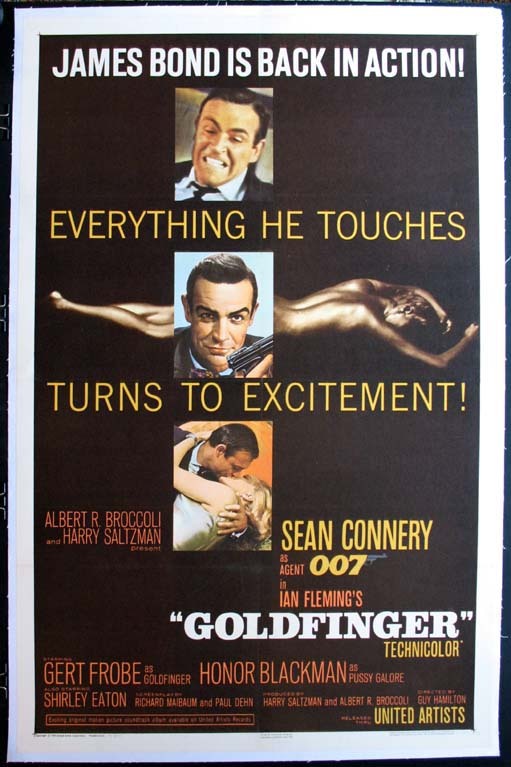 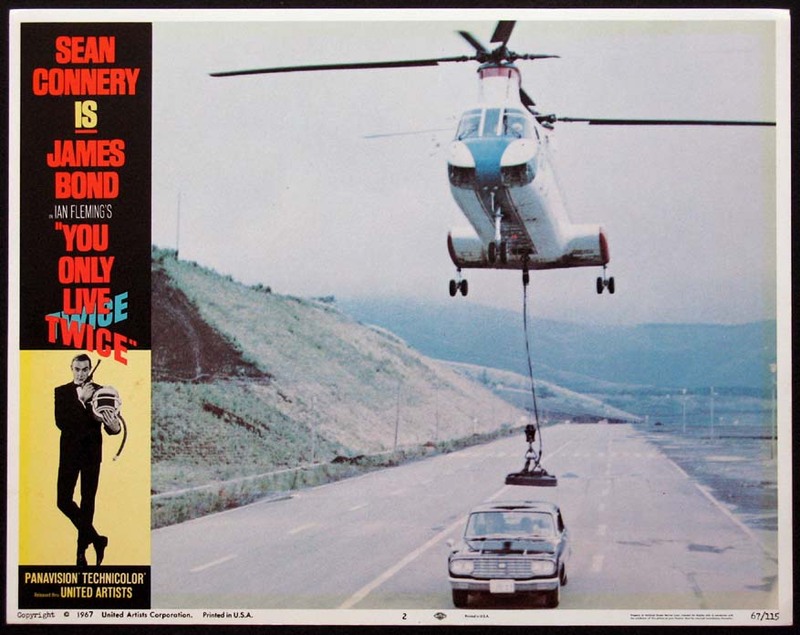 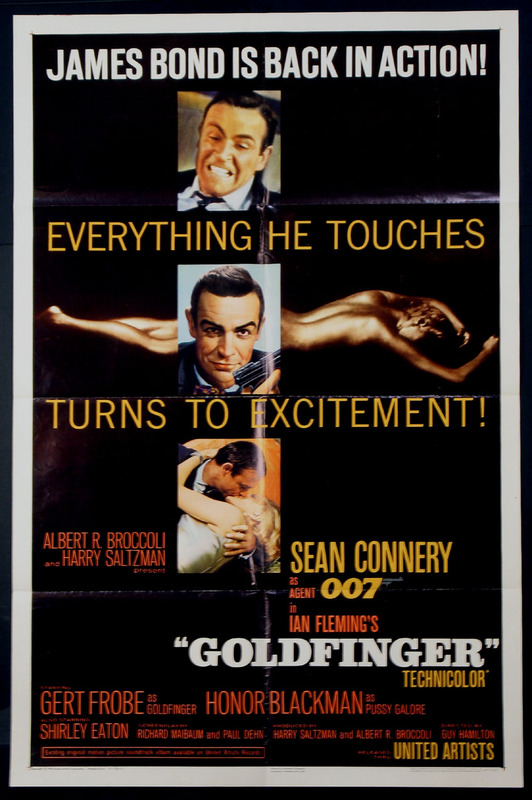 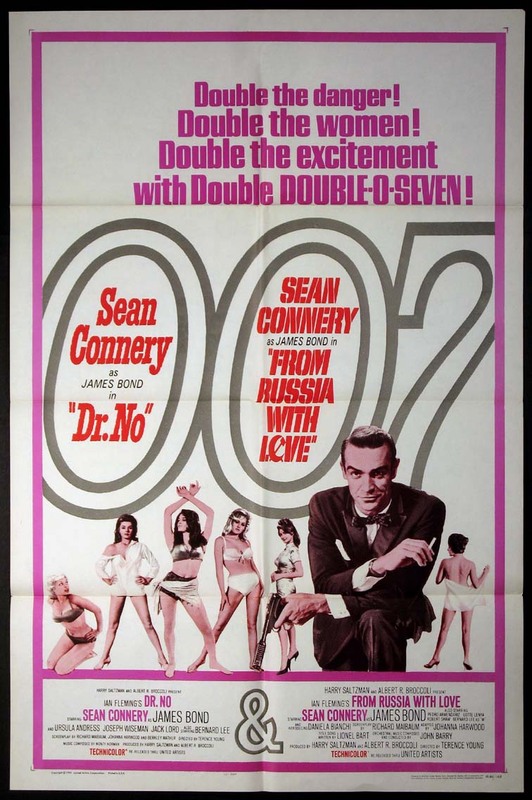 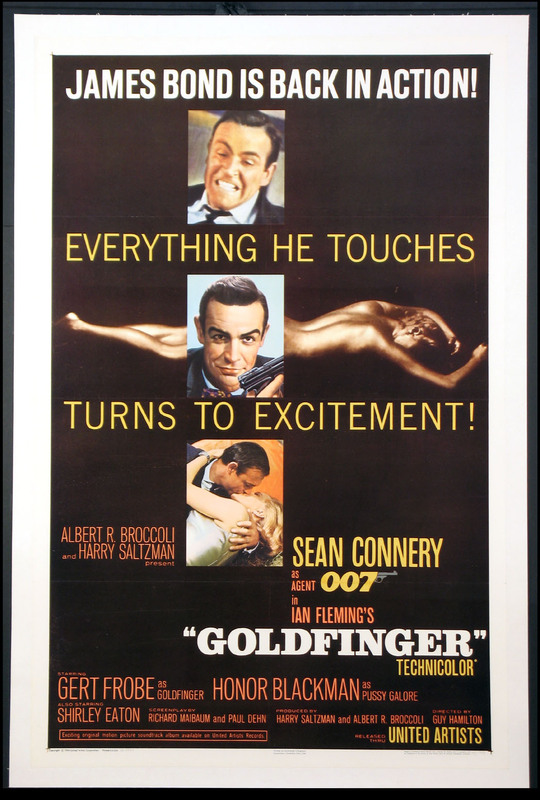 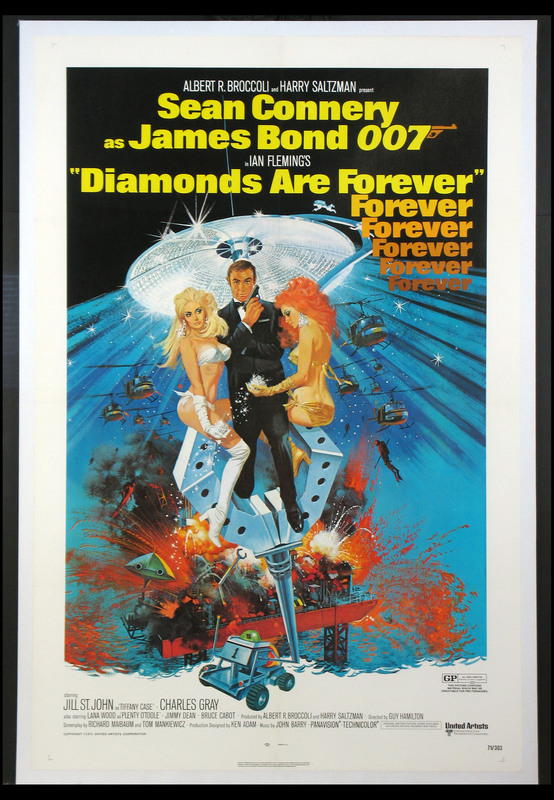 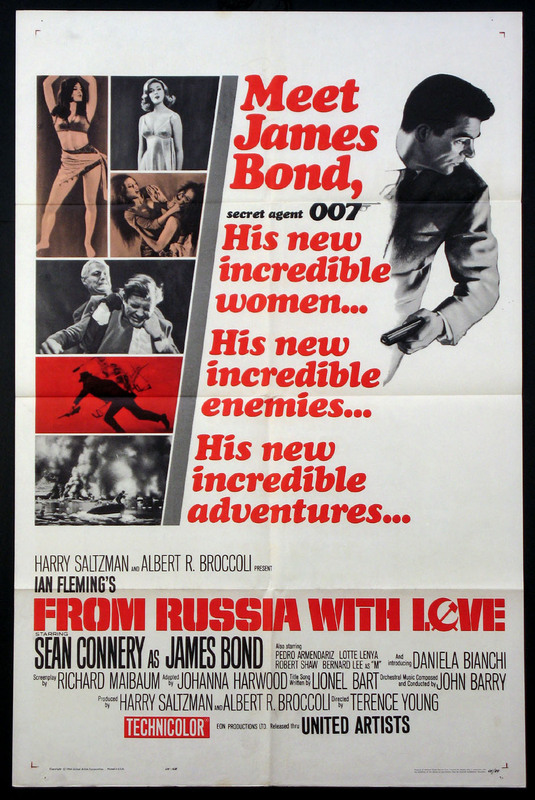 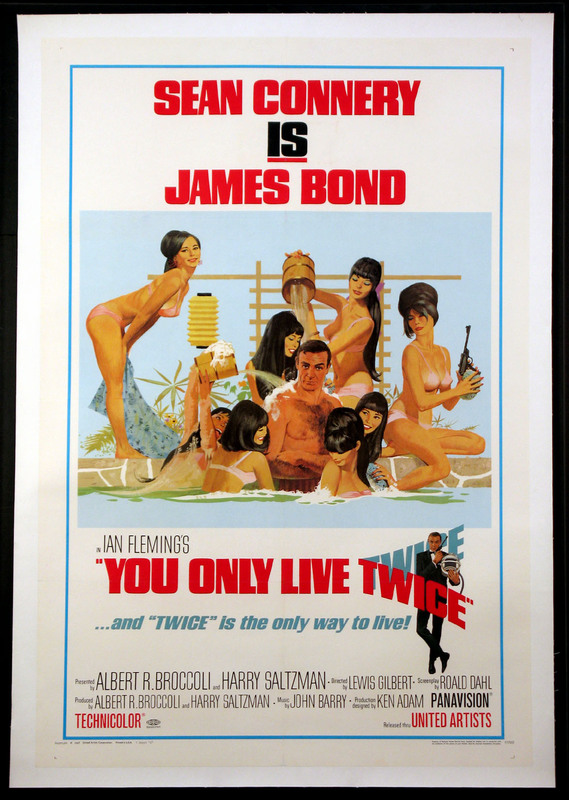 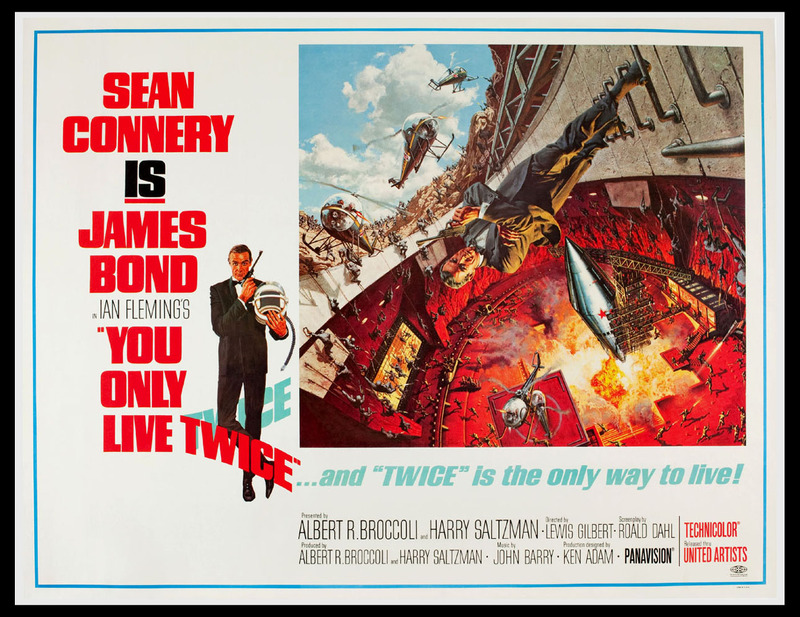 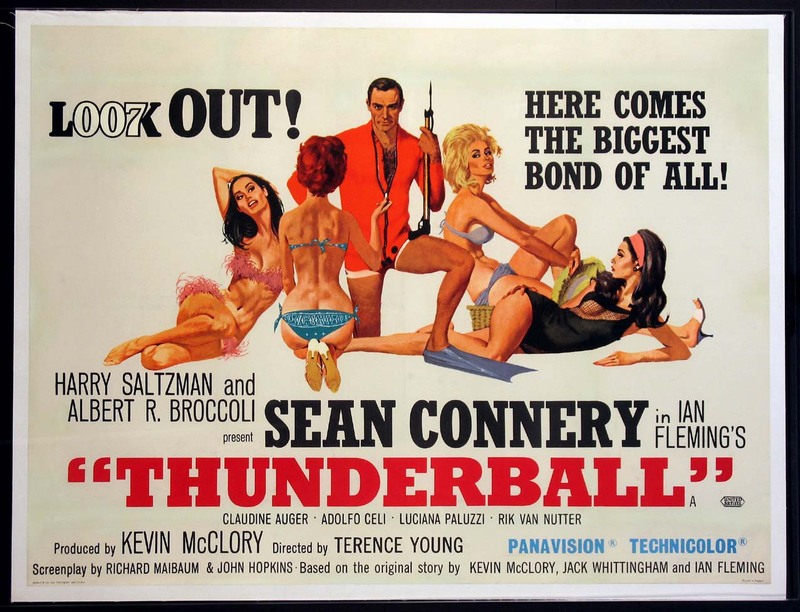 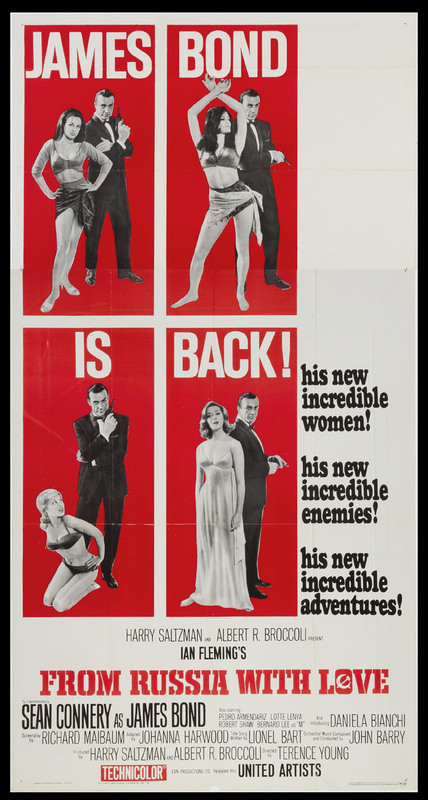 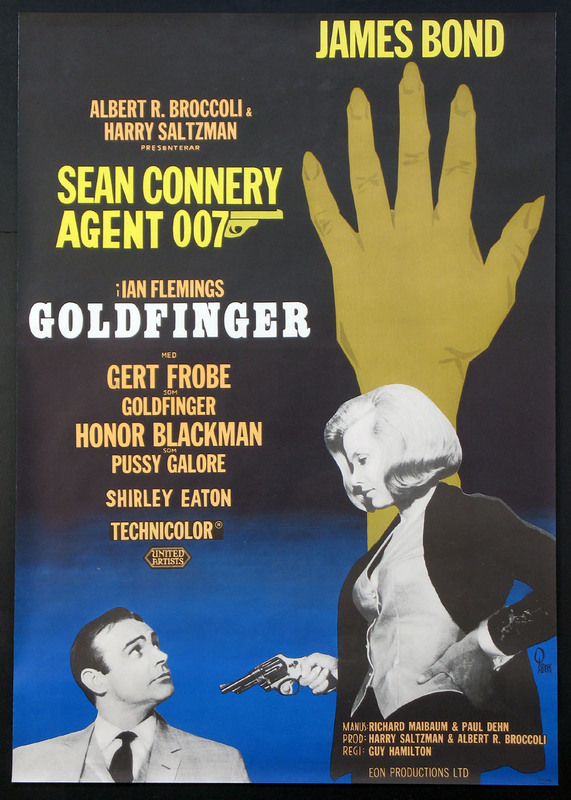 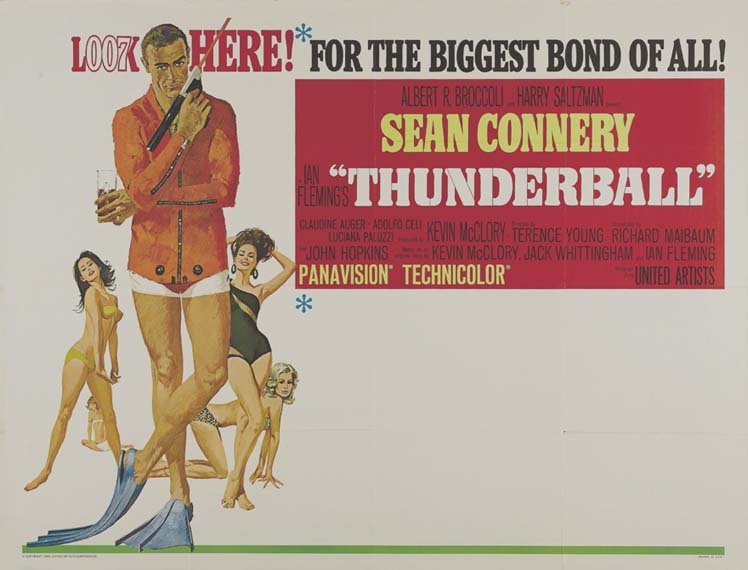 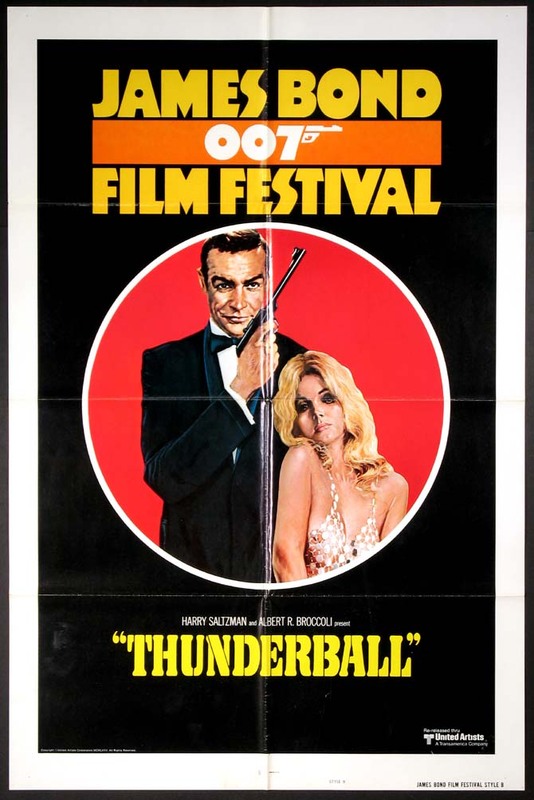 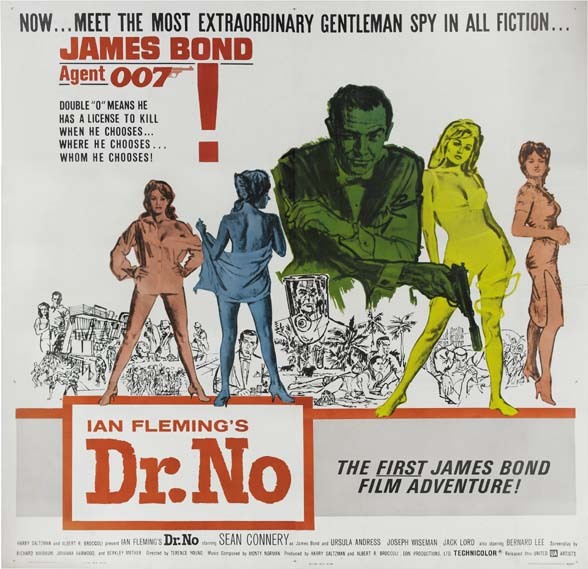 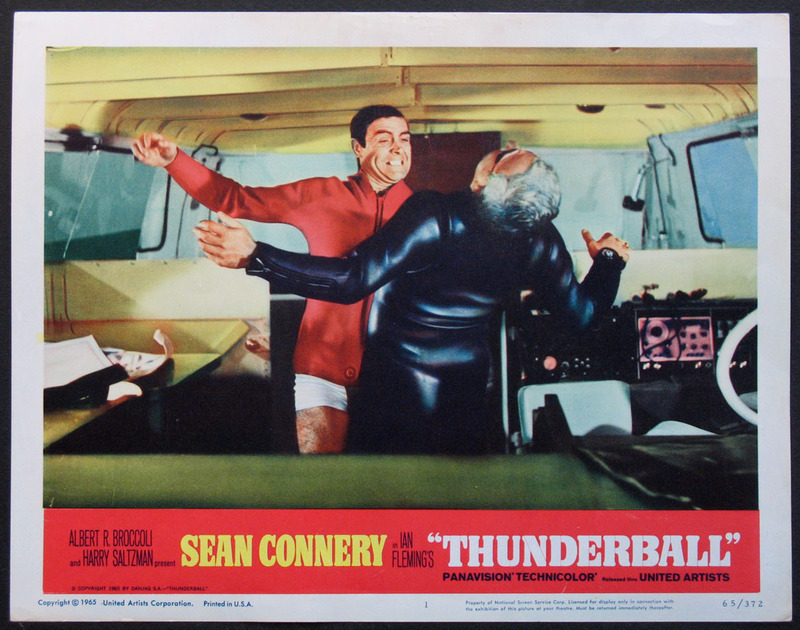 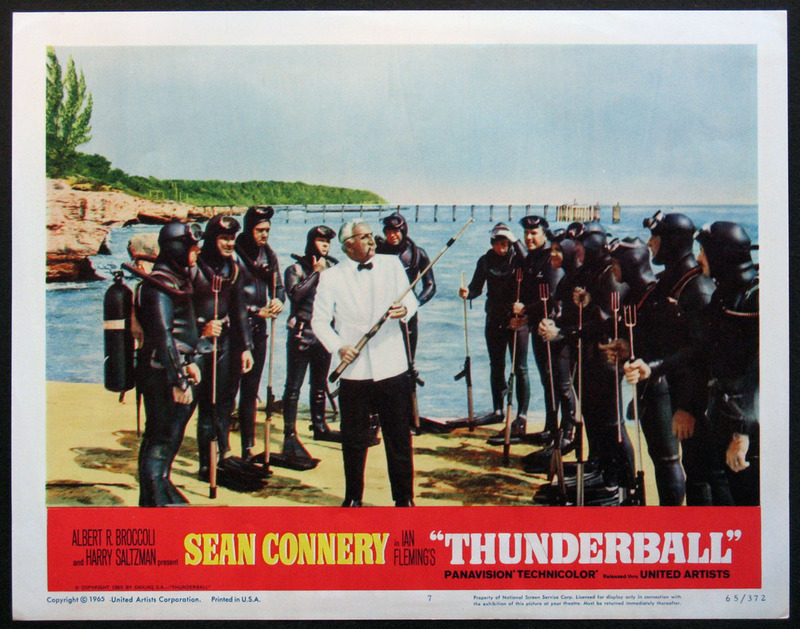 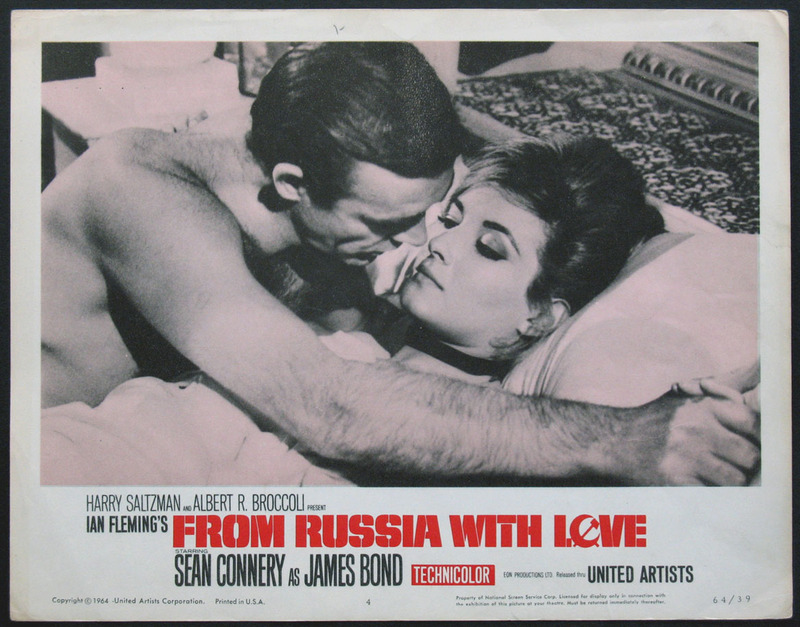 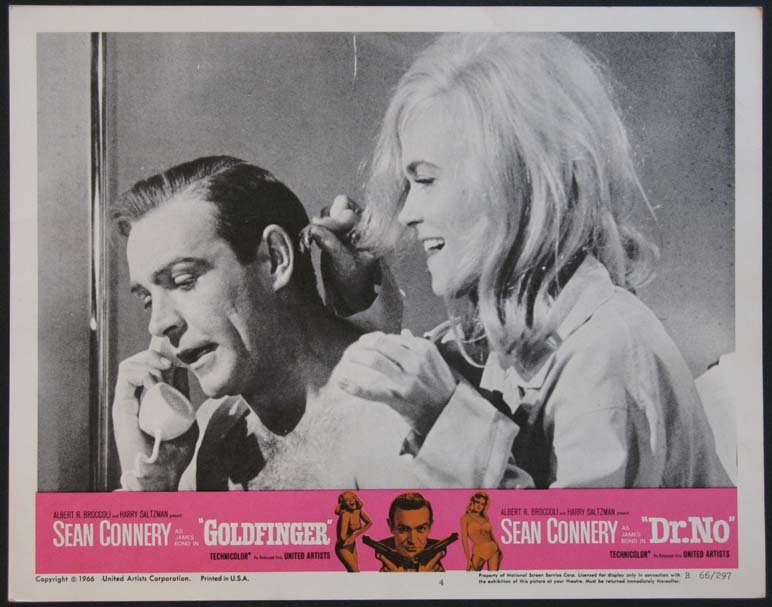 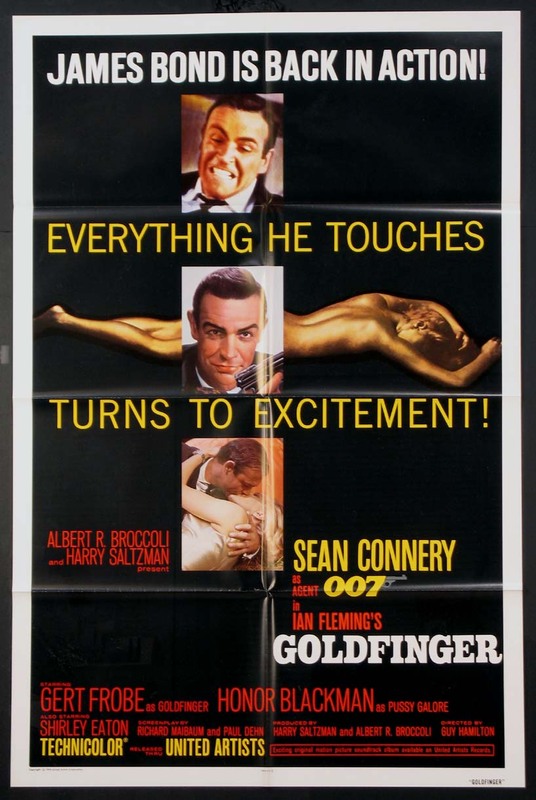 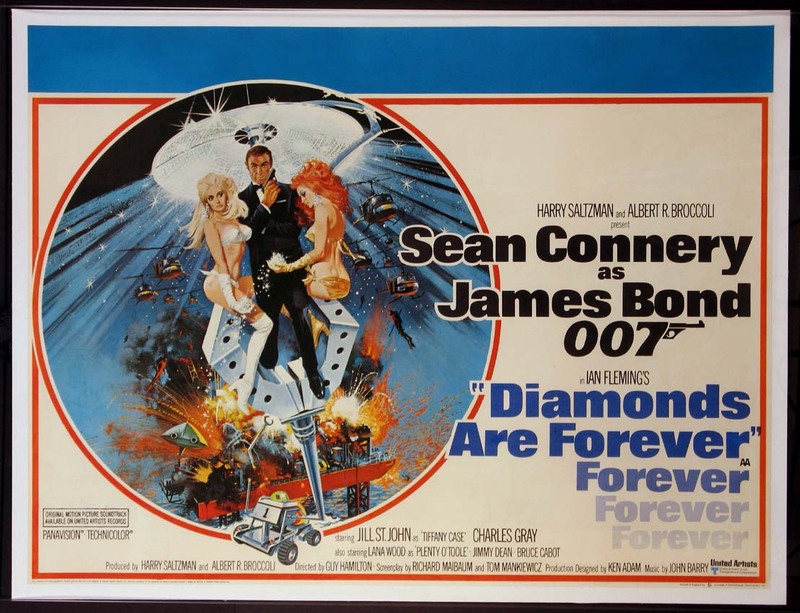 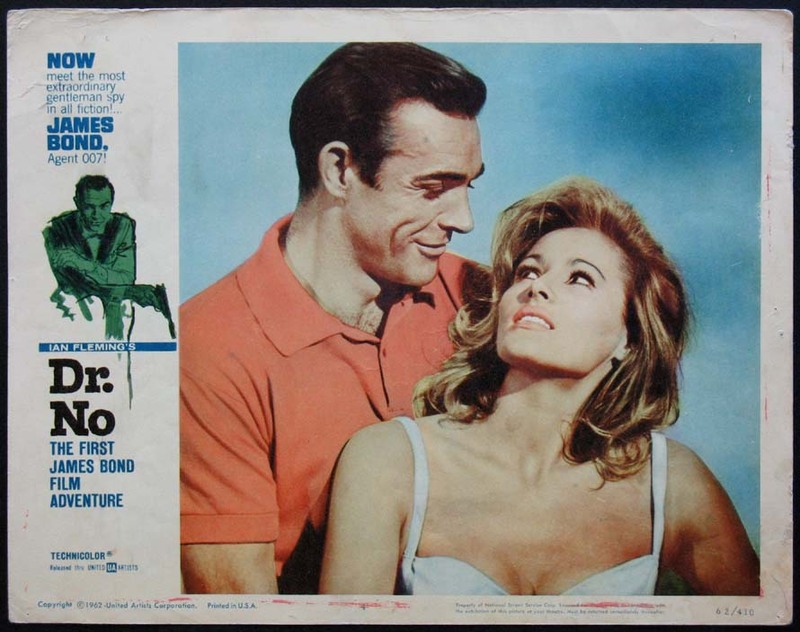 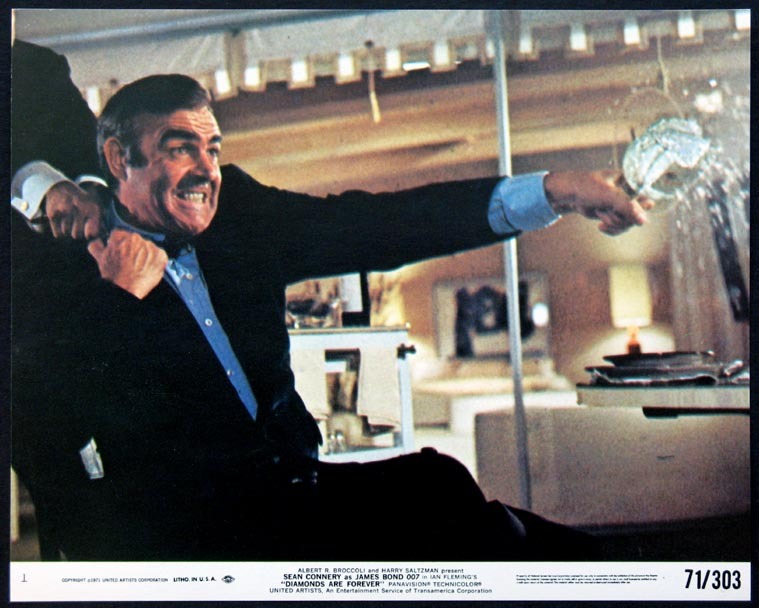 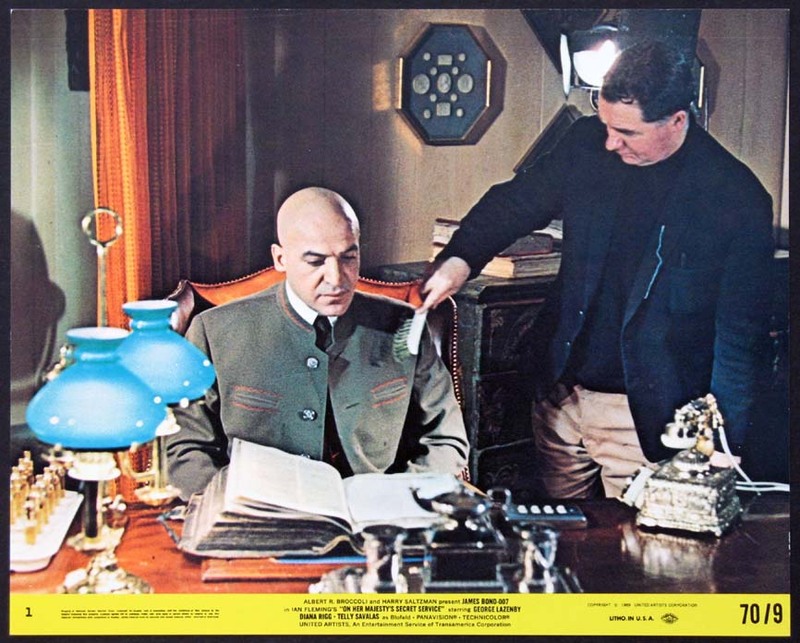 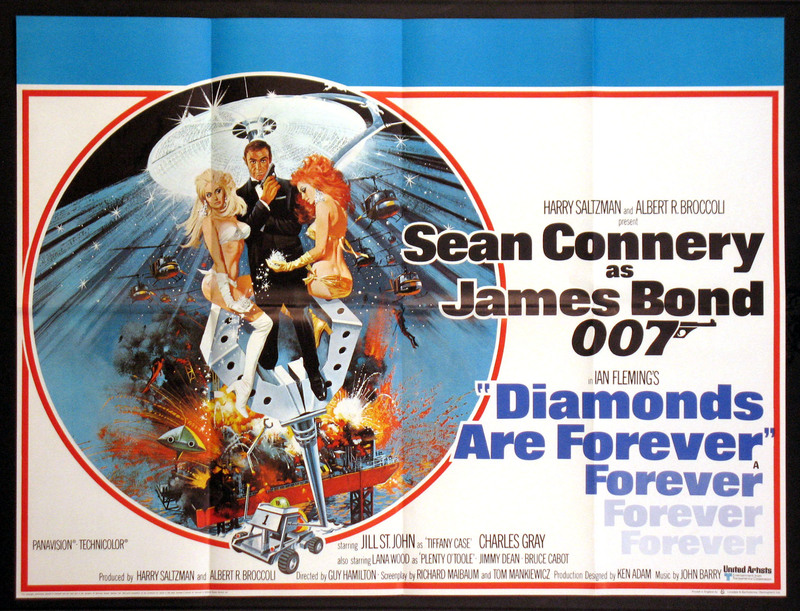 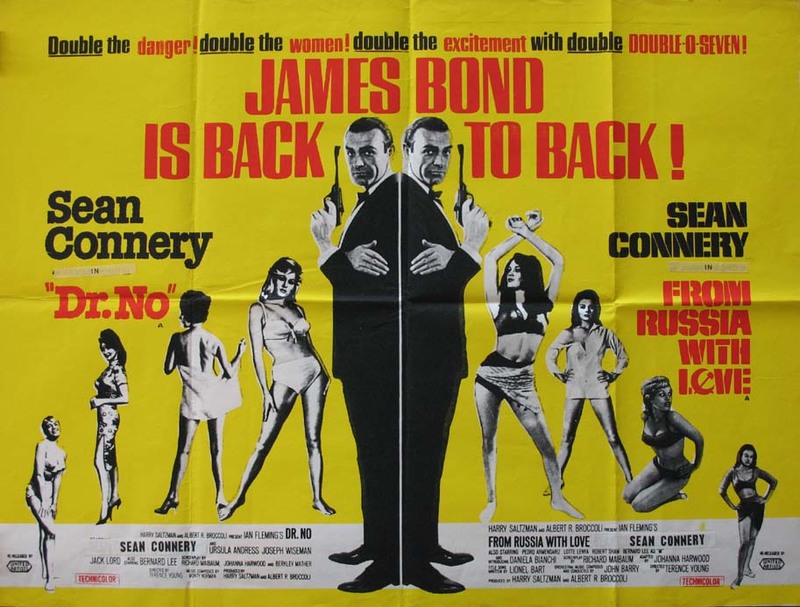 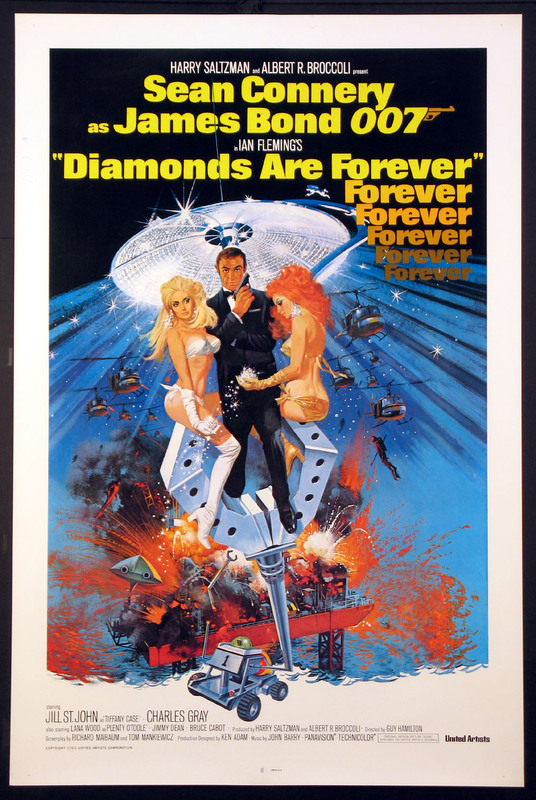 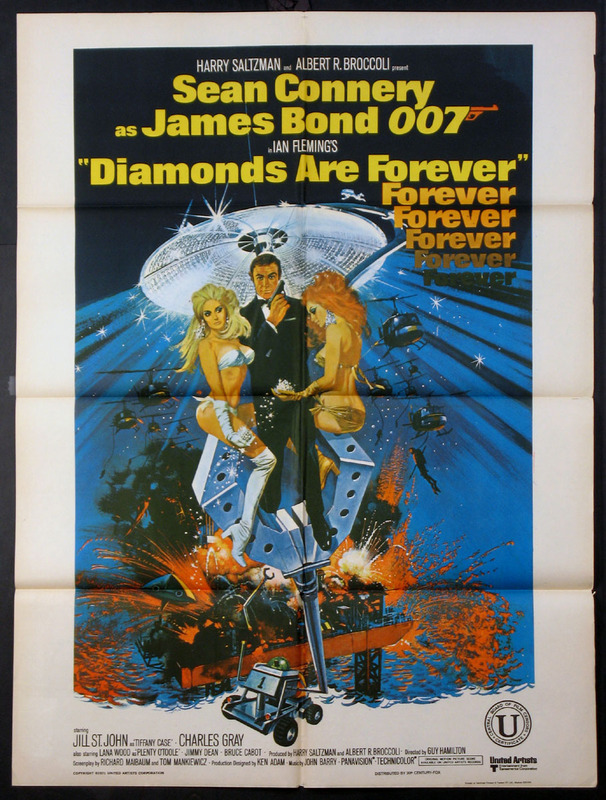 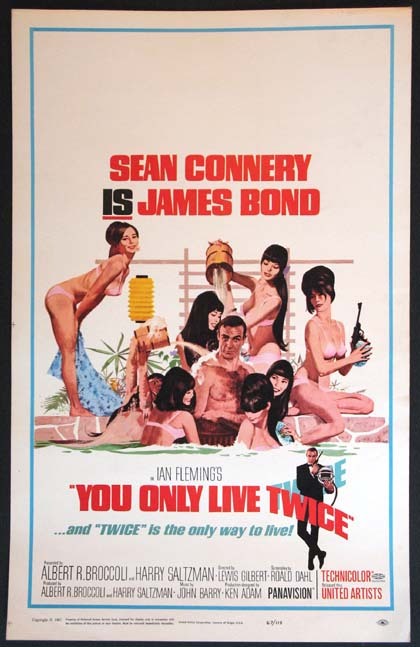 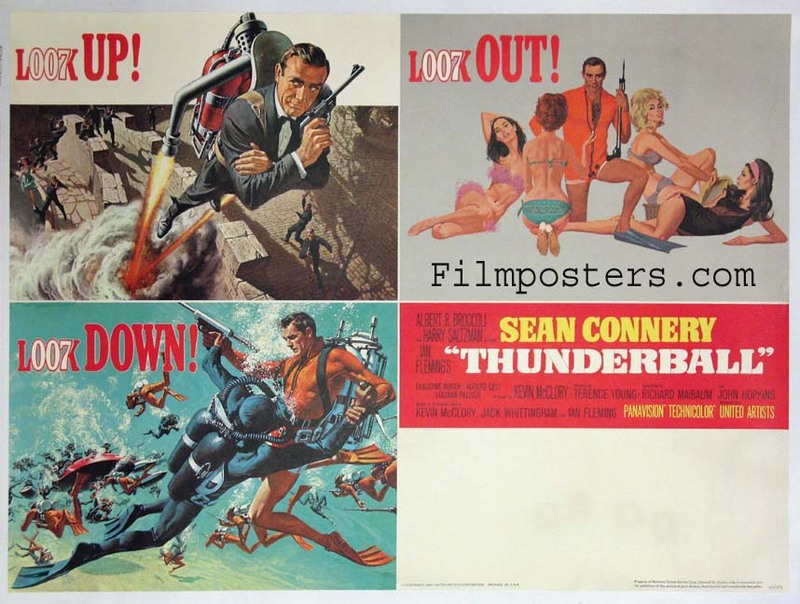 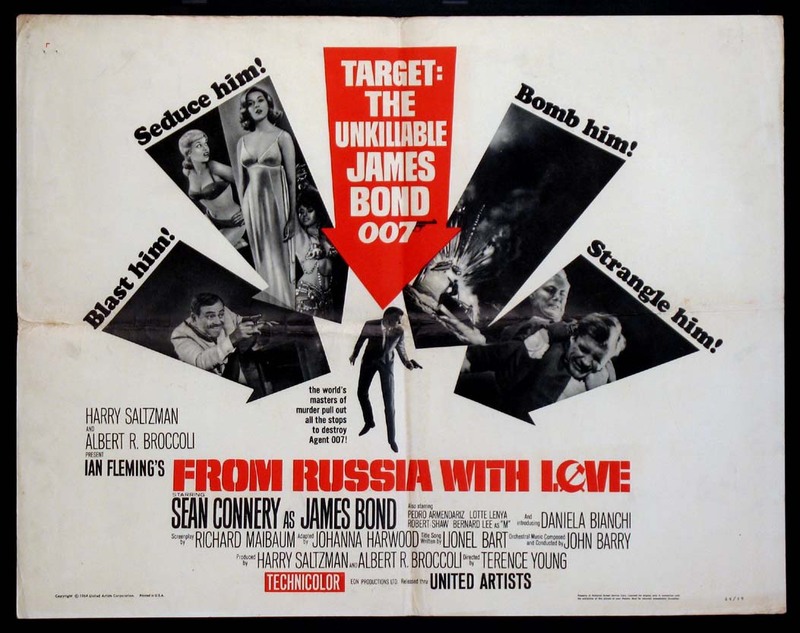 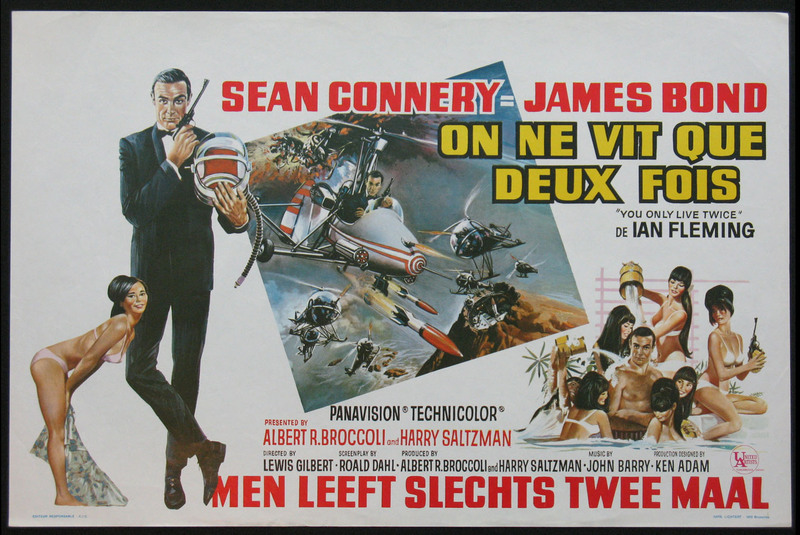 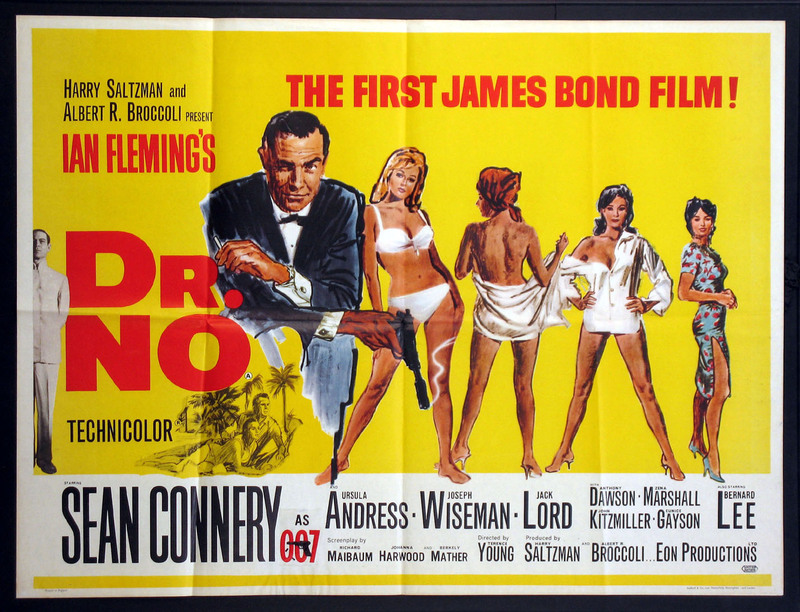 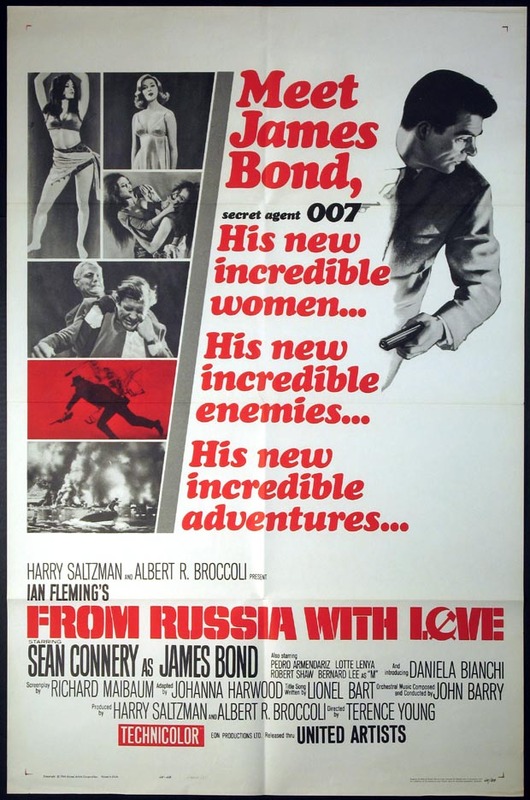 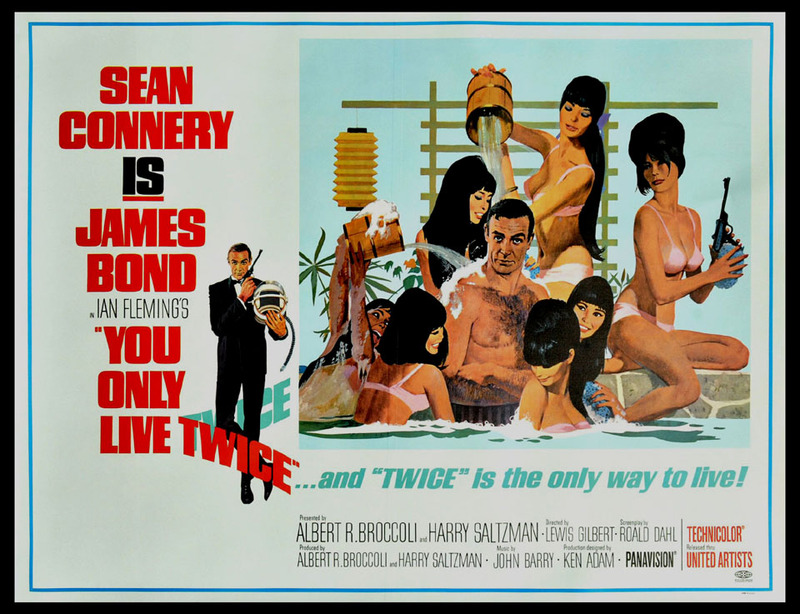 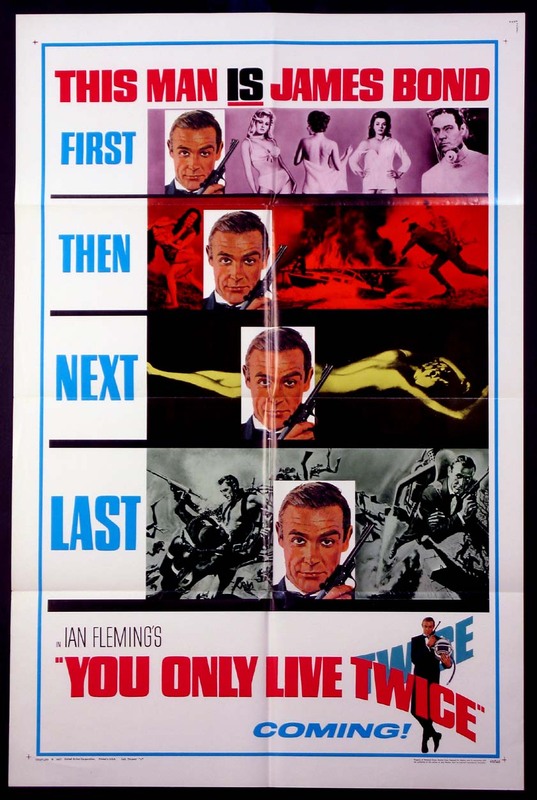 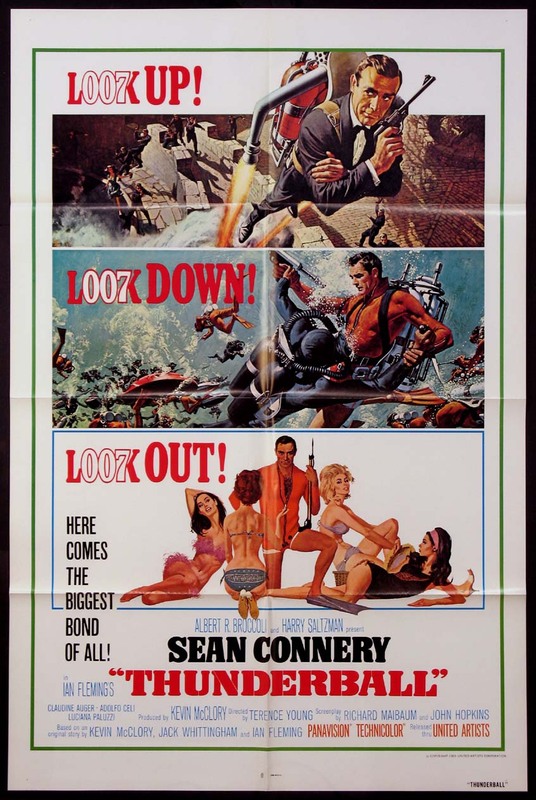 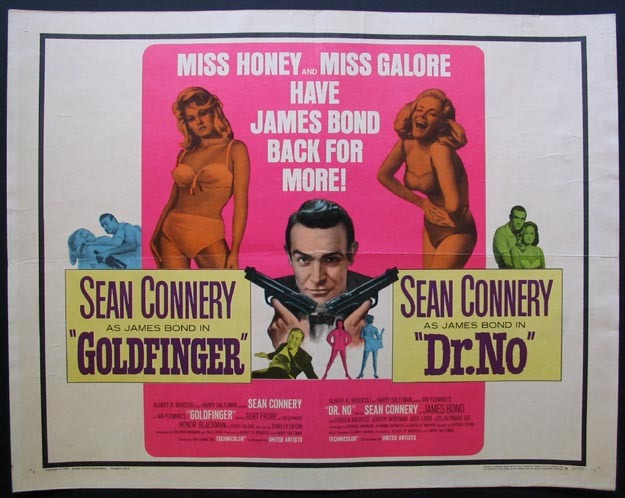 Our inventory includes all of the Sean Connery-era original movie posters including Dr. No, From Russia with Love, Goldfinger, Thunderball, You Only Live Twice & Diamonds Are Forever. 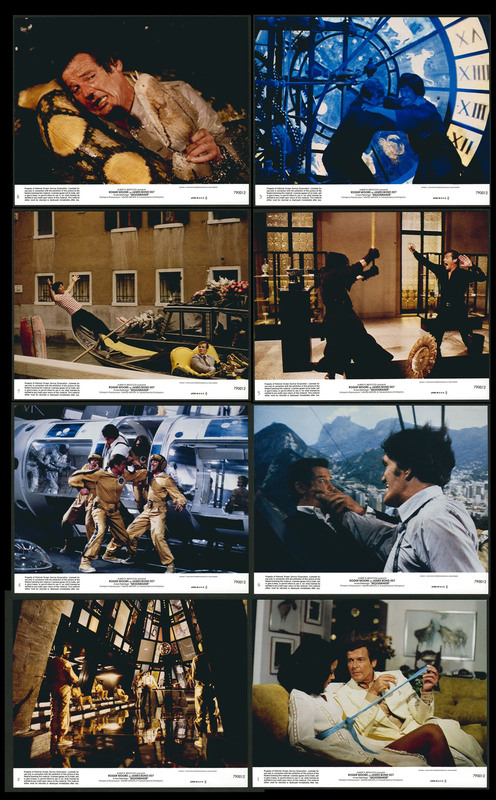 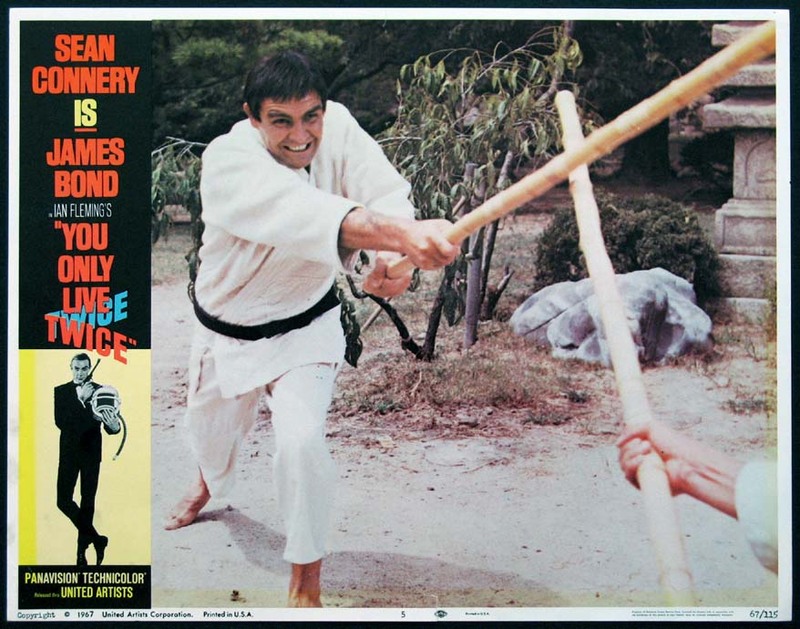 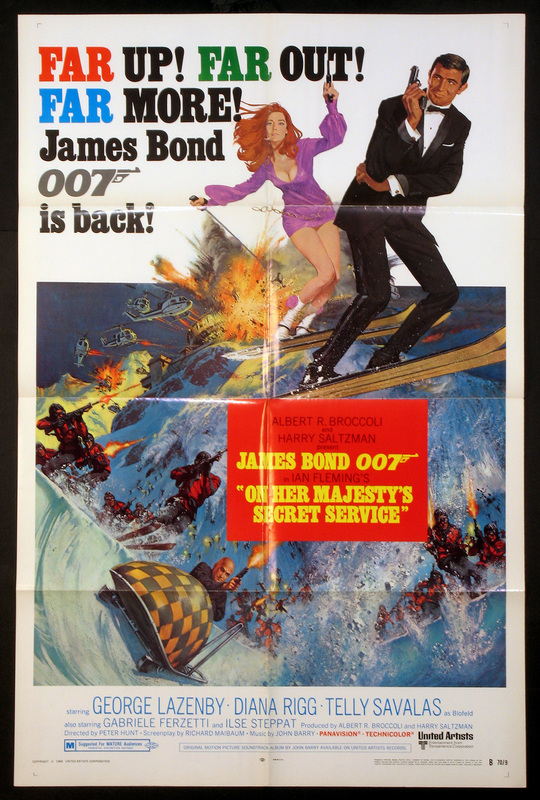 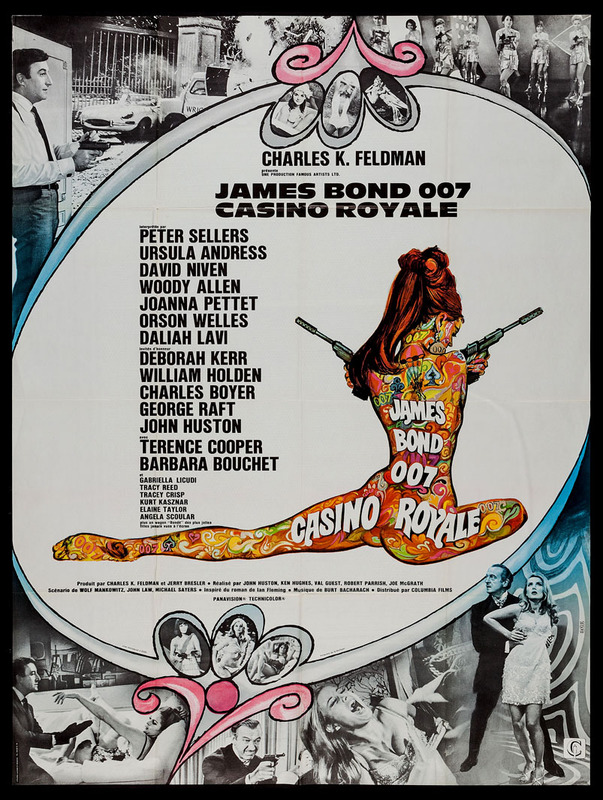 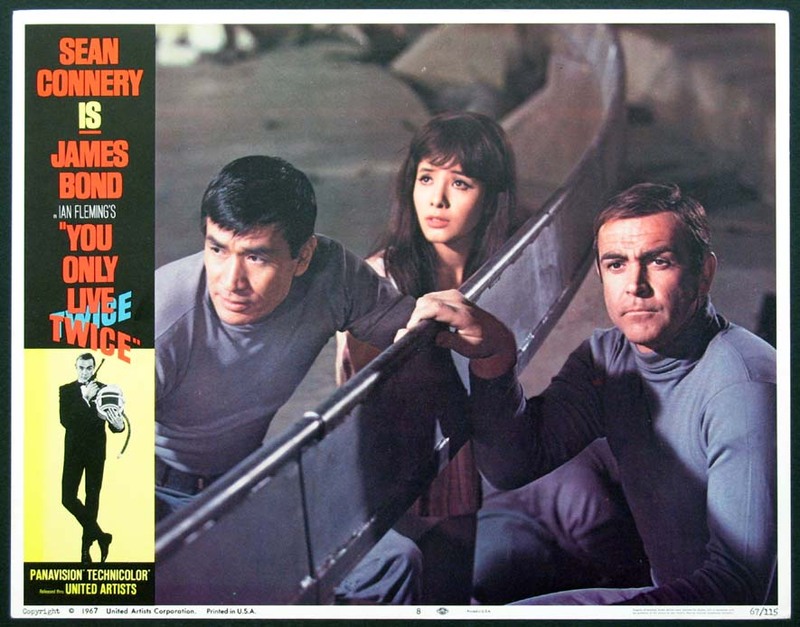 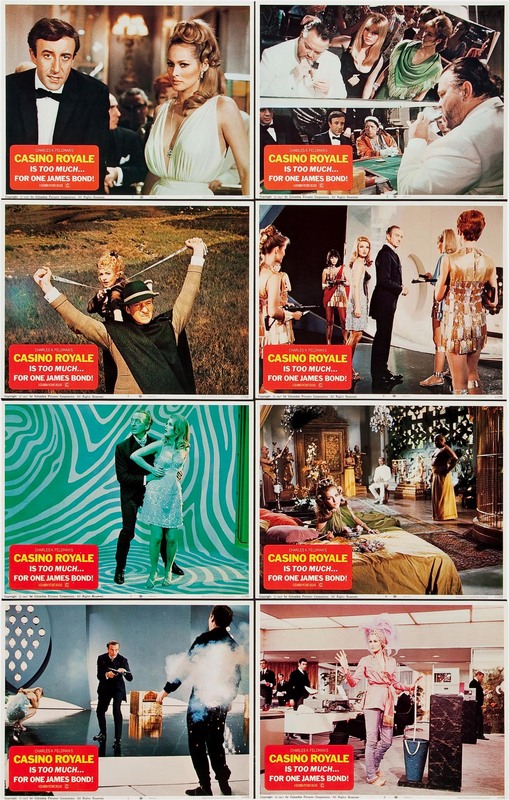 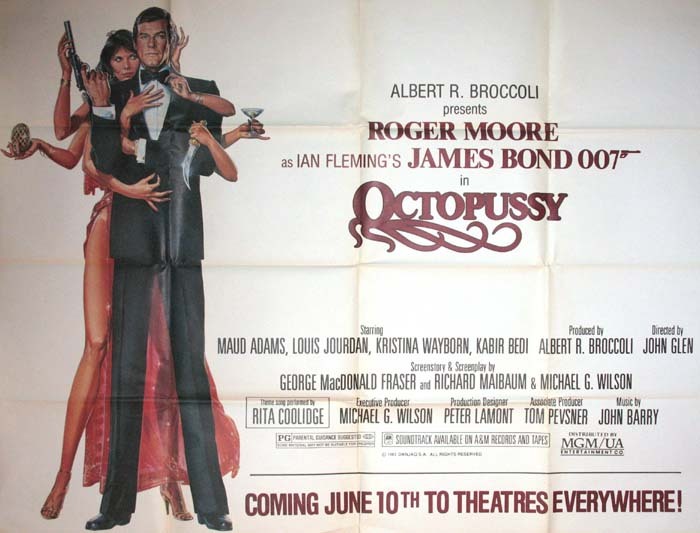 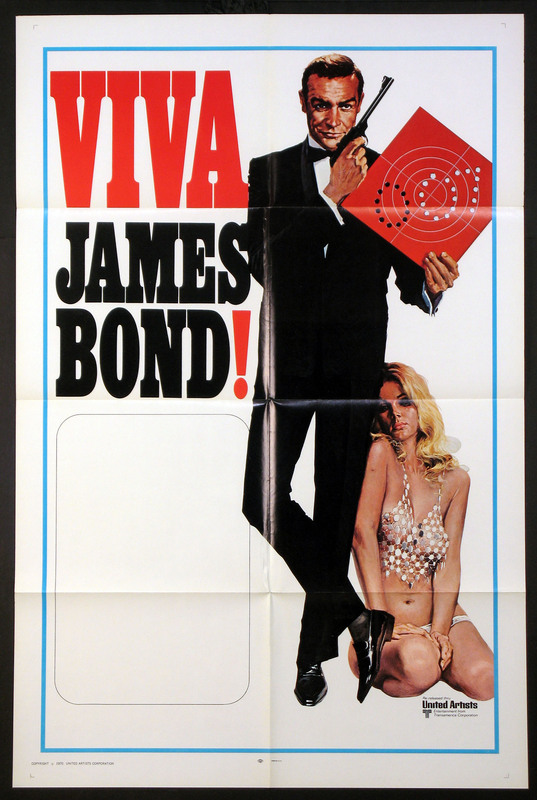 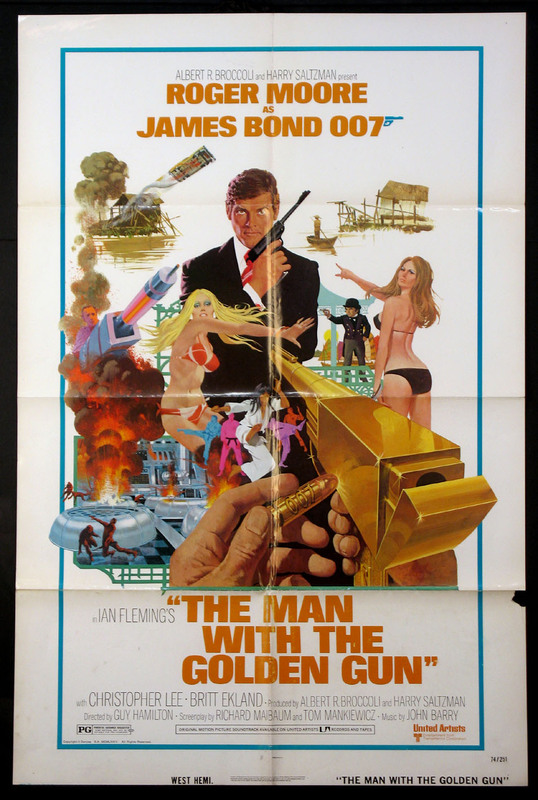 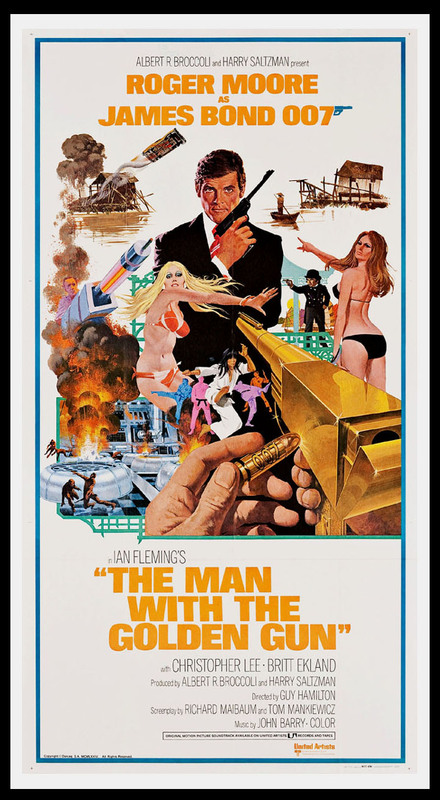 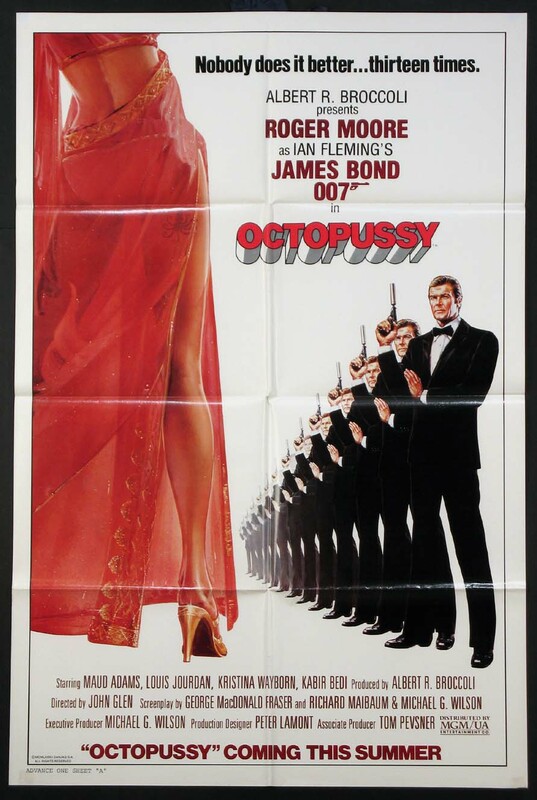 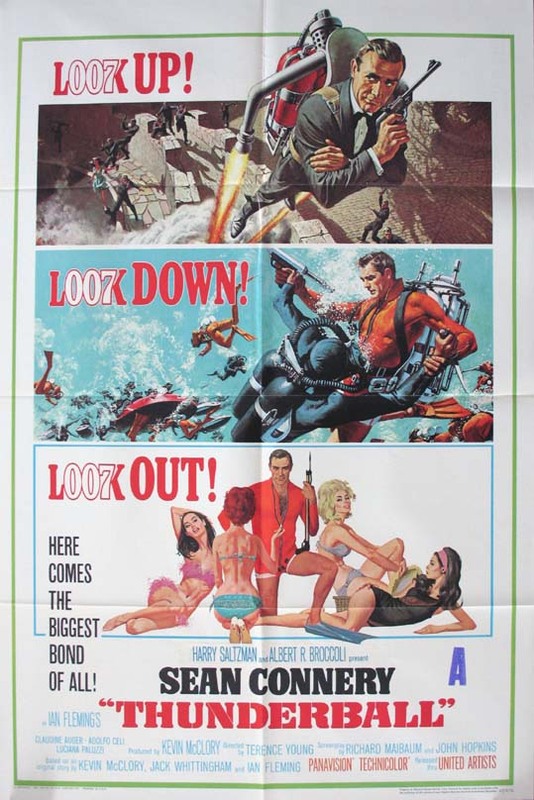 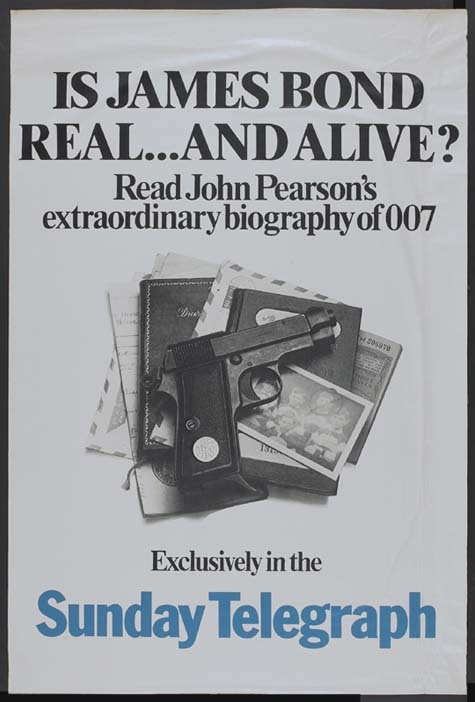 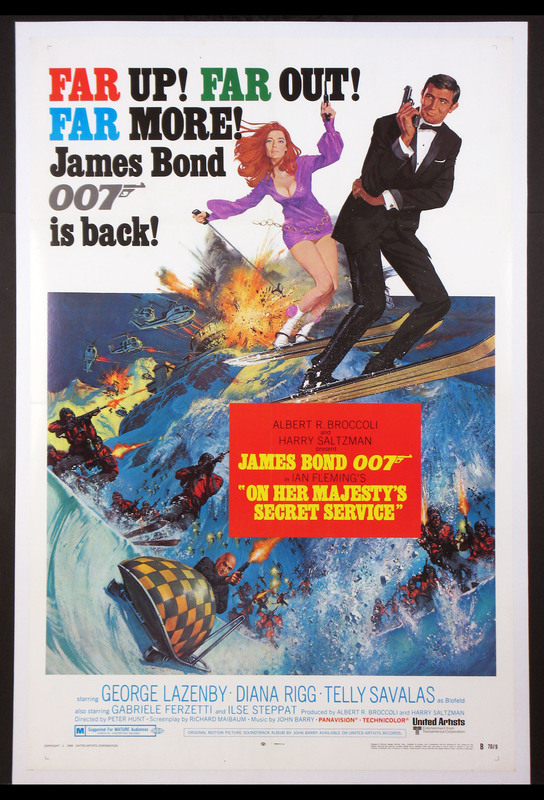 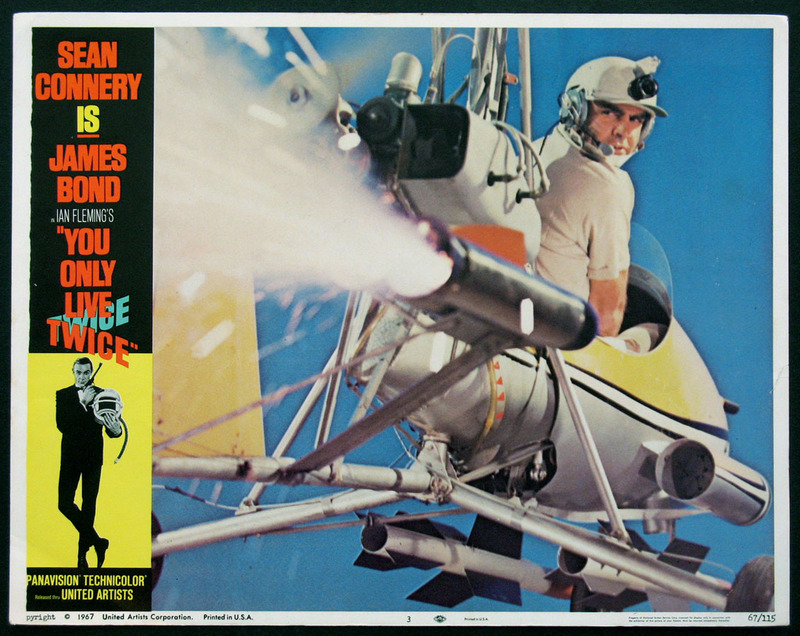 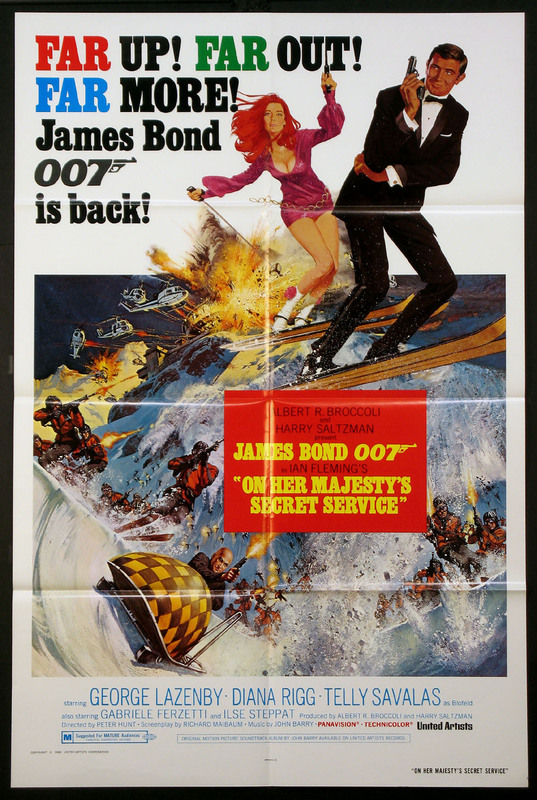 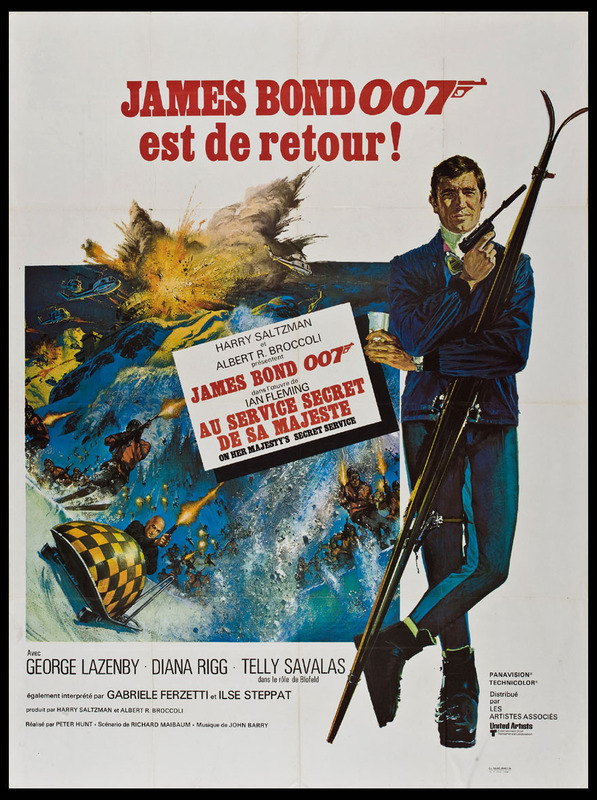 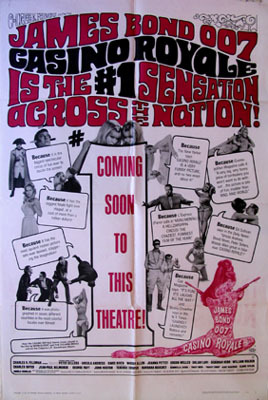 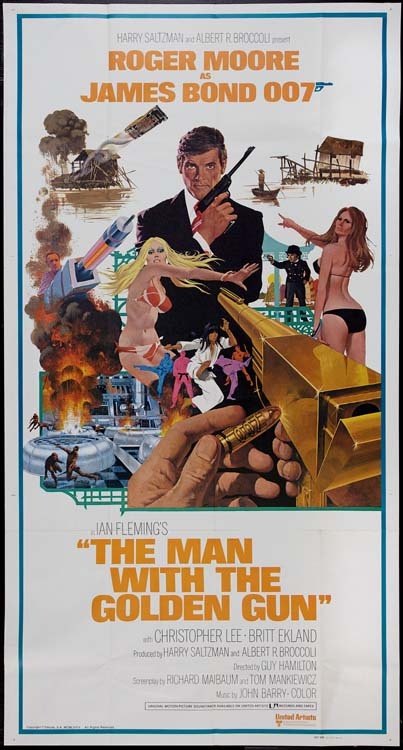 We also have posters for George Lazenby's one-off appearance in On Her Majesty's Secret Service, as well as the unofficial James Bond spoof Casino Royale (1969). 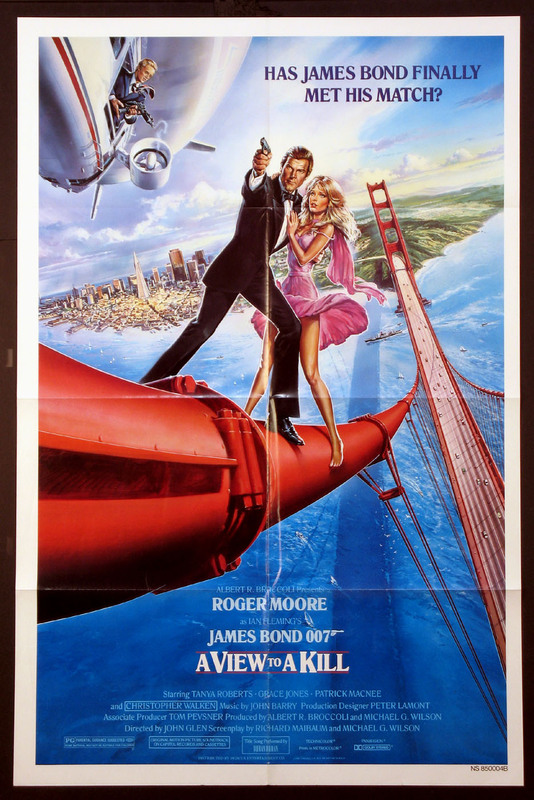 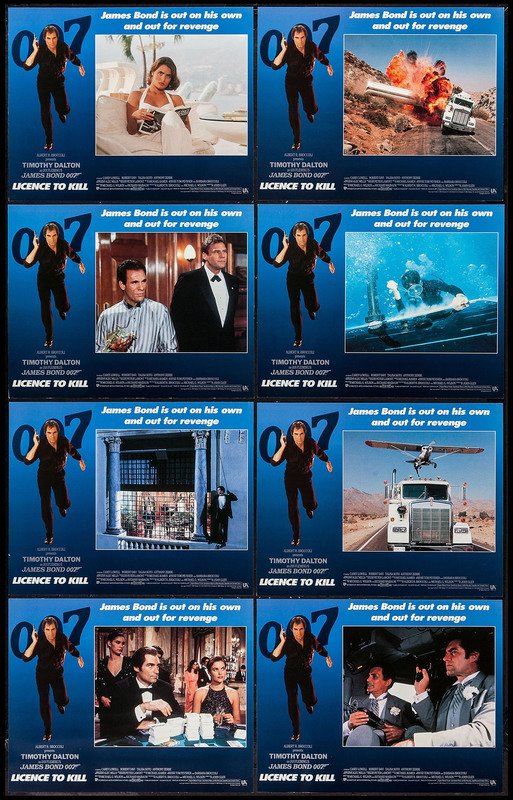 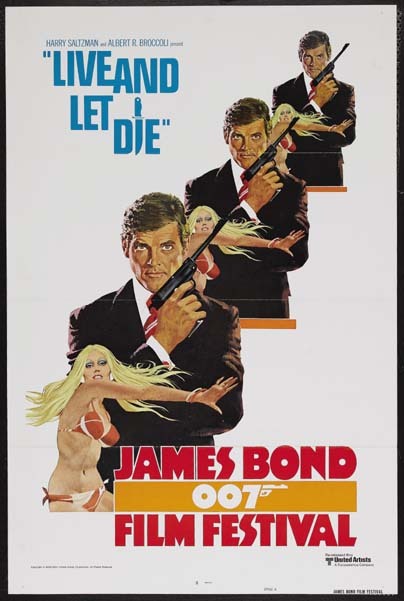 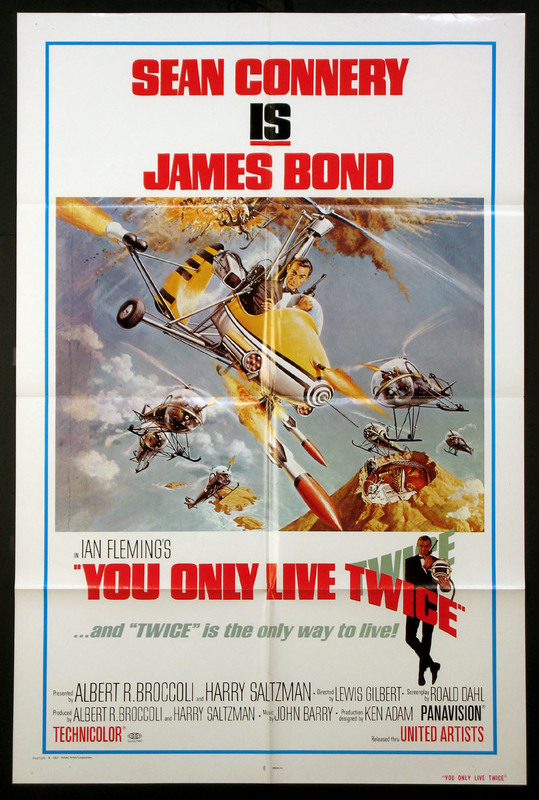 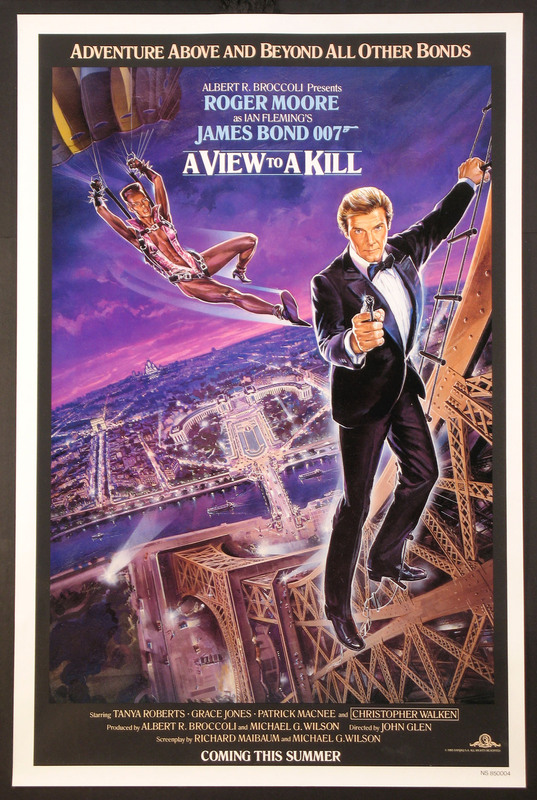 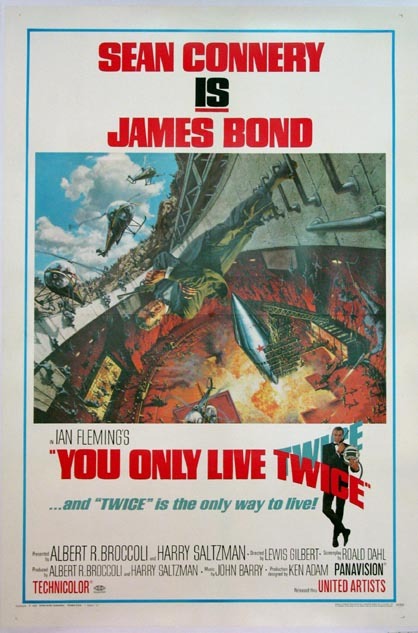 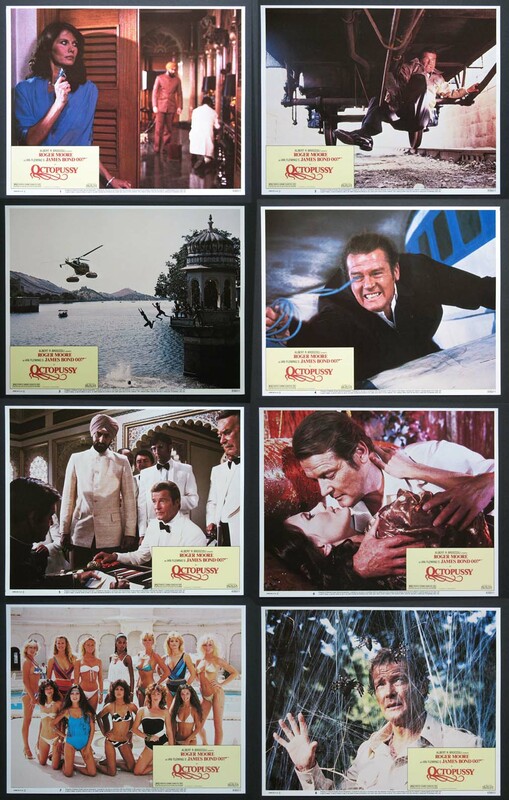 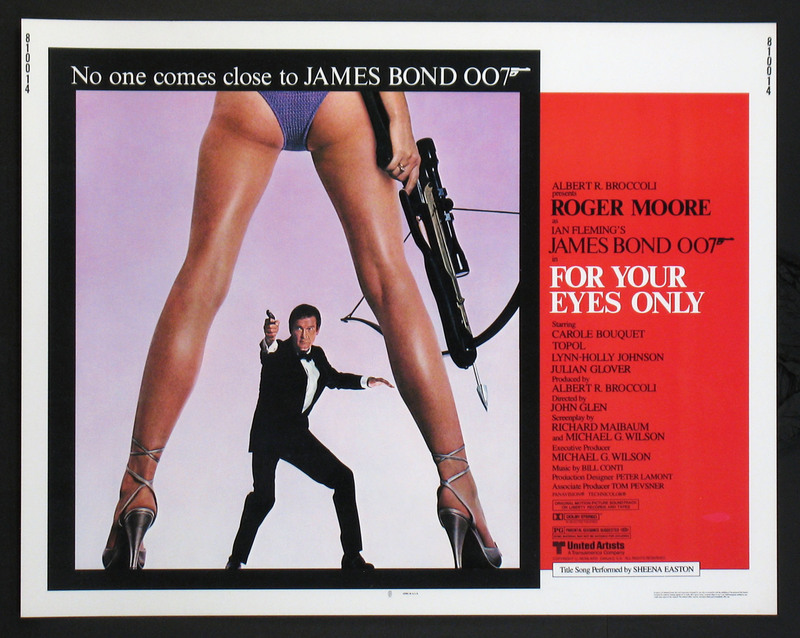 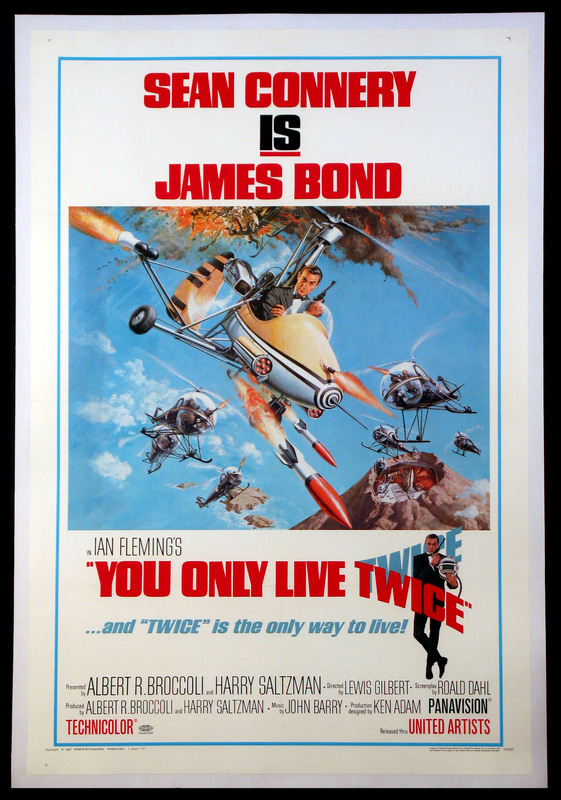 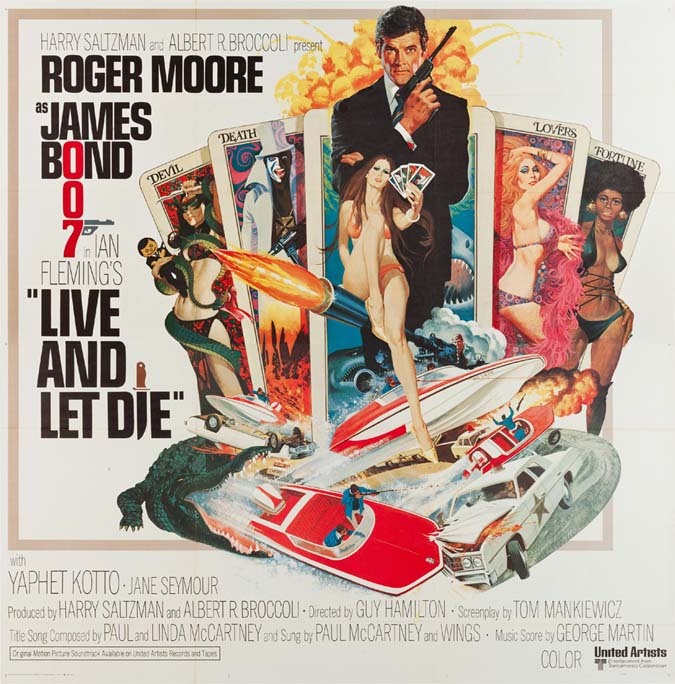 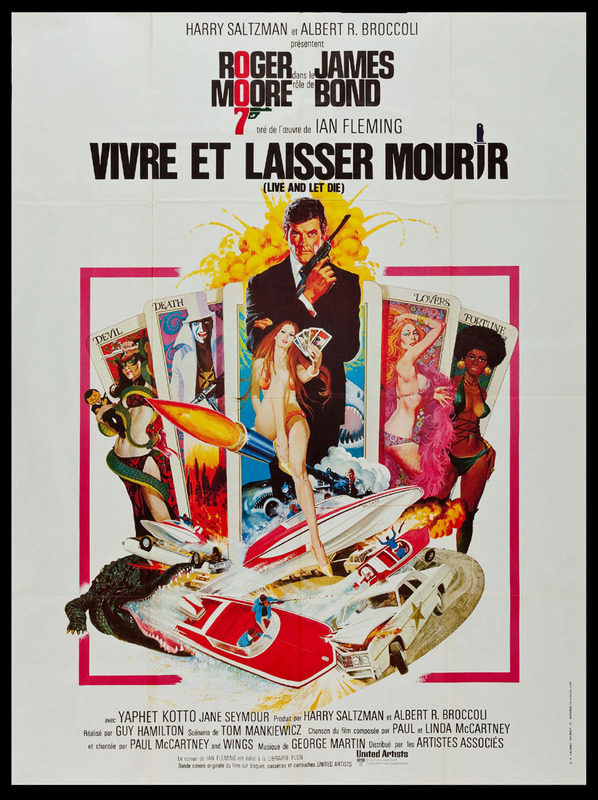 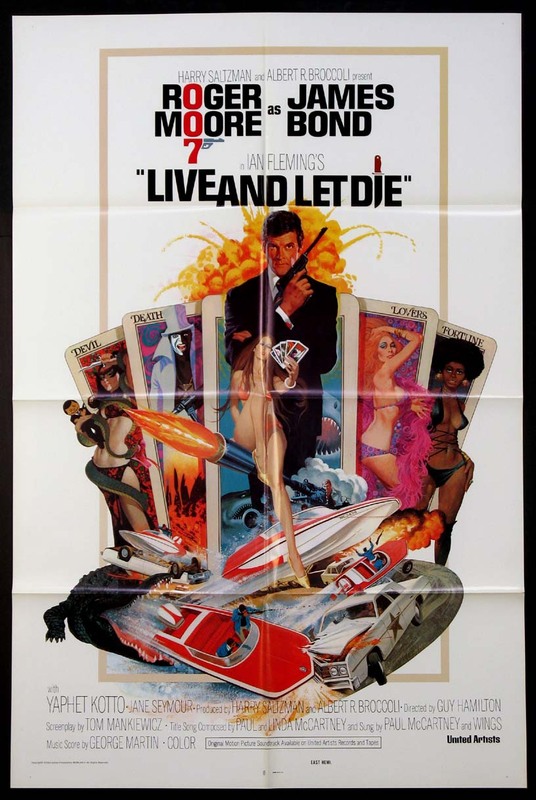 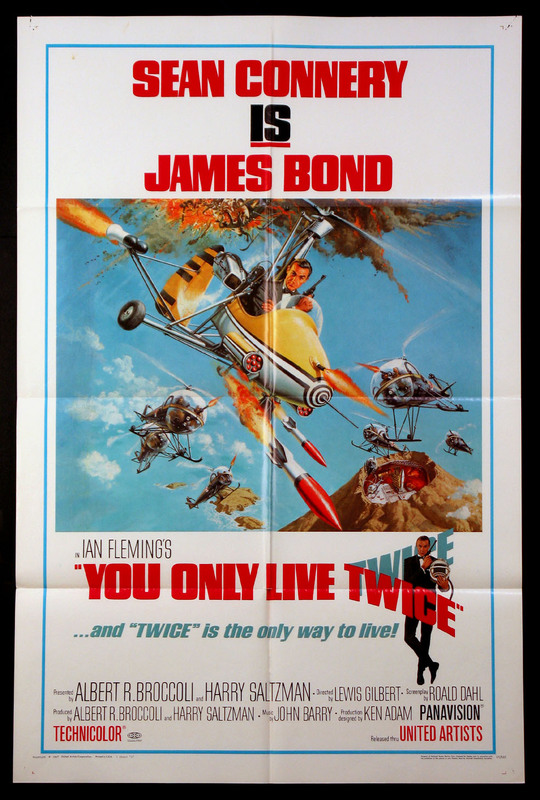 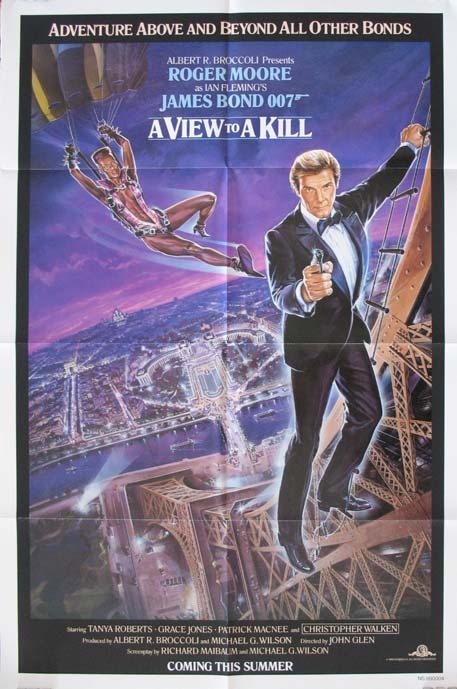 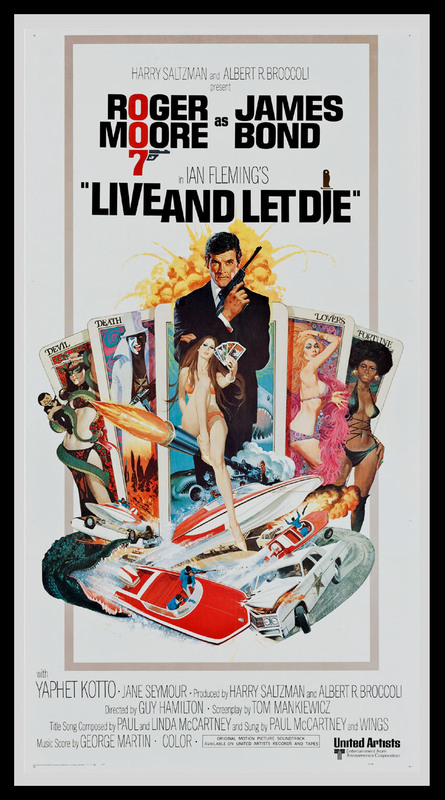 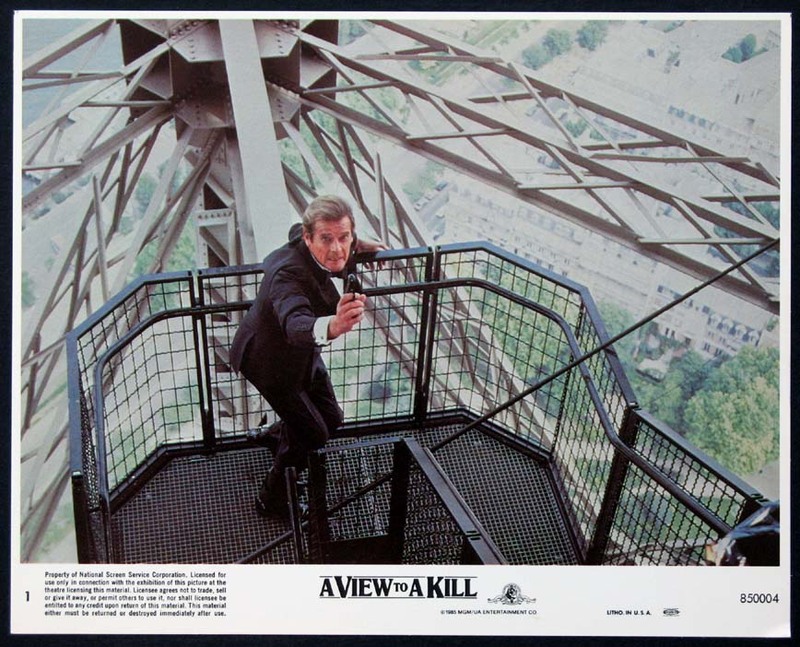 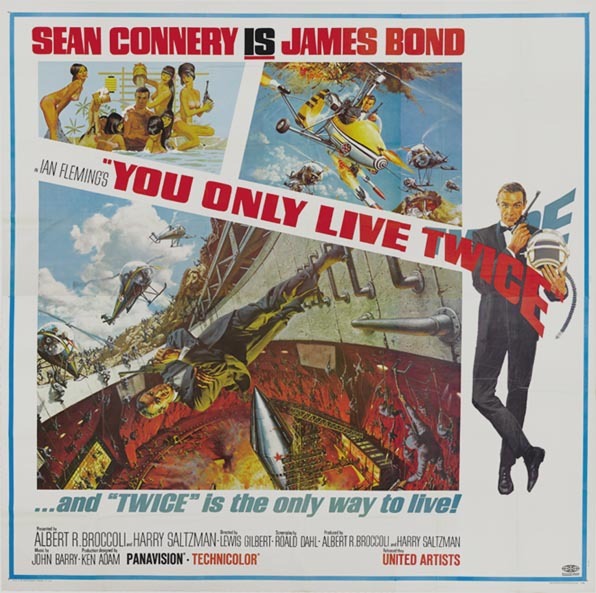 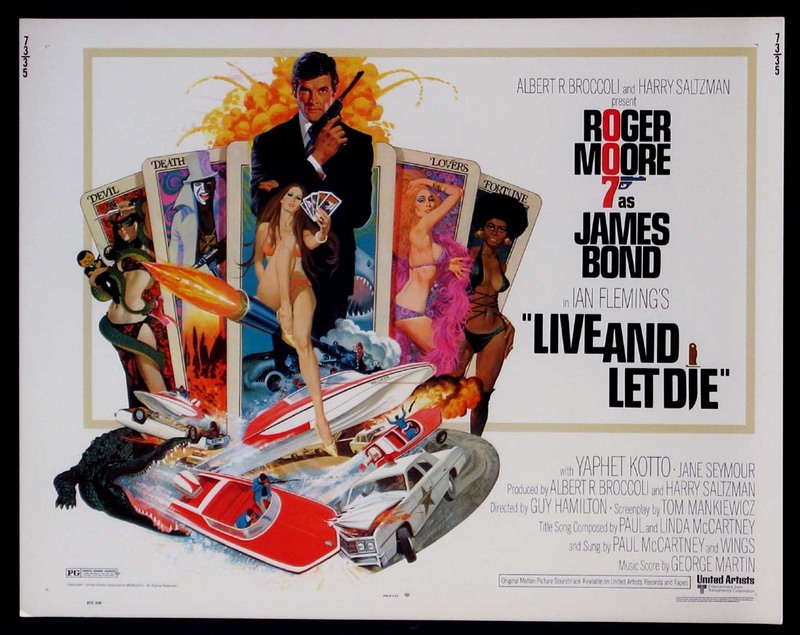 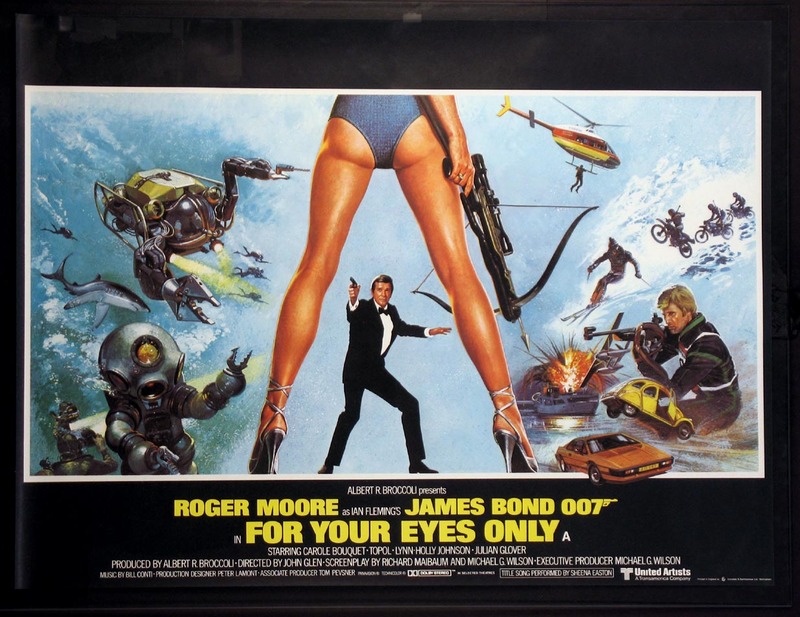 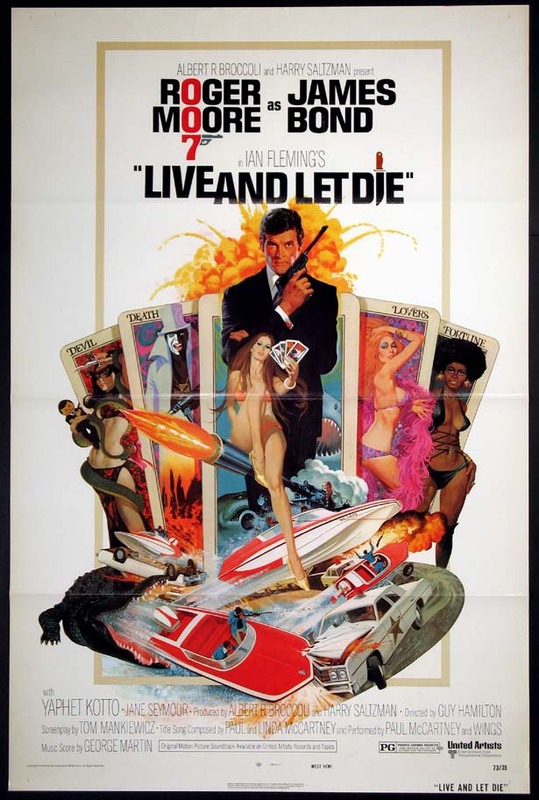 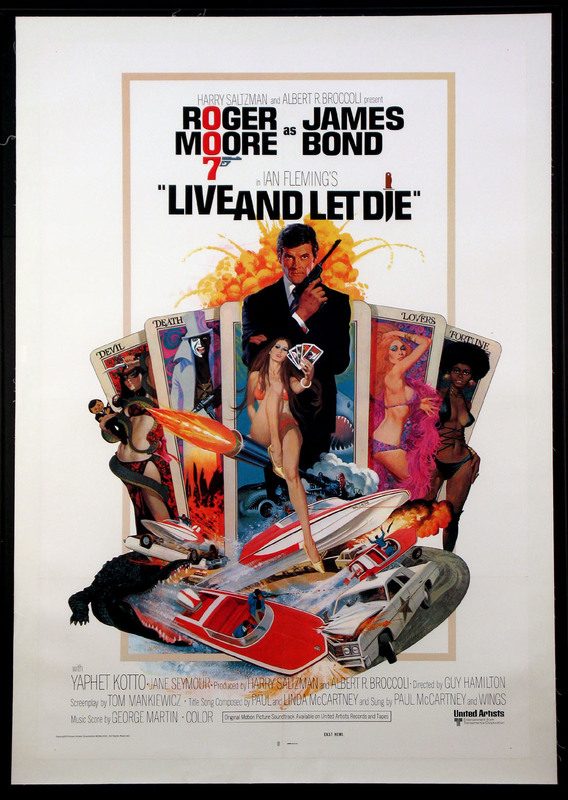 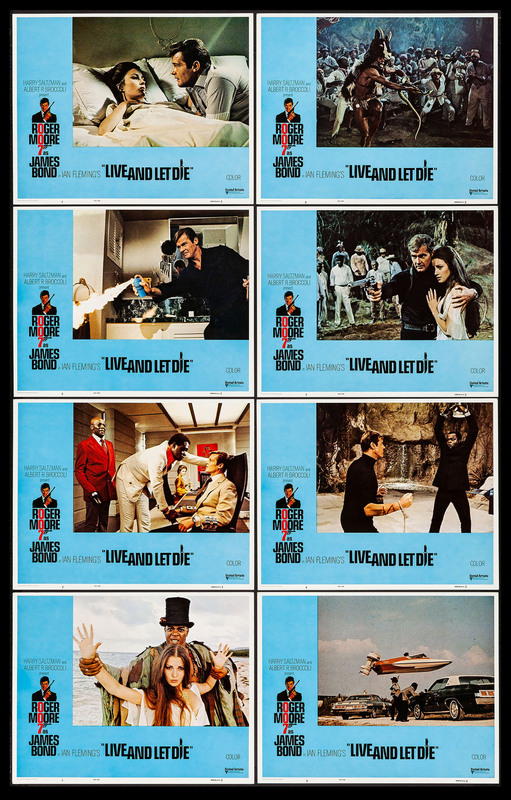 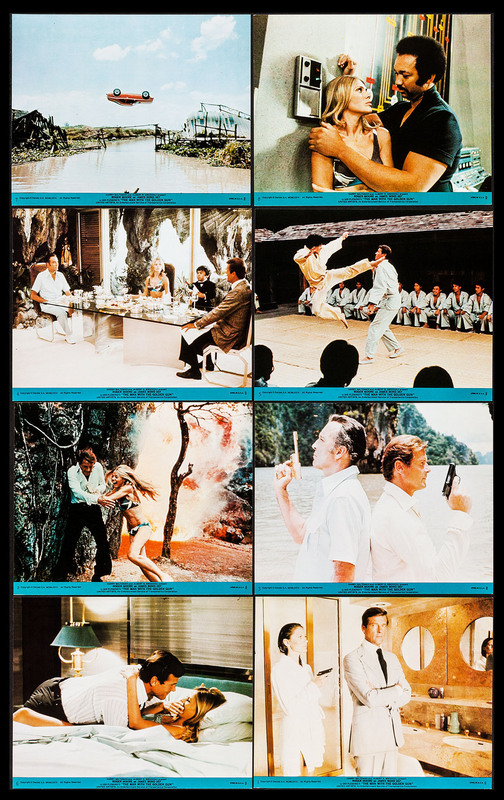 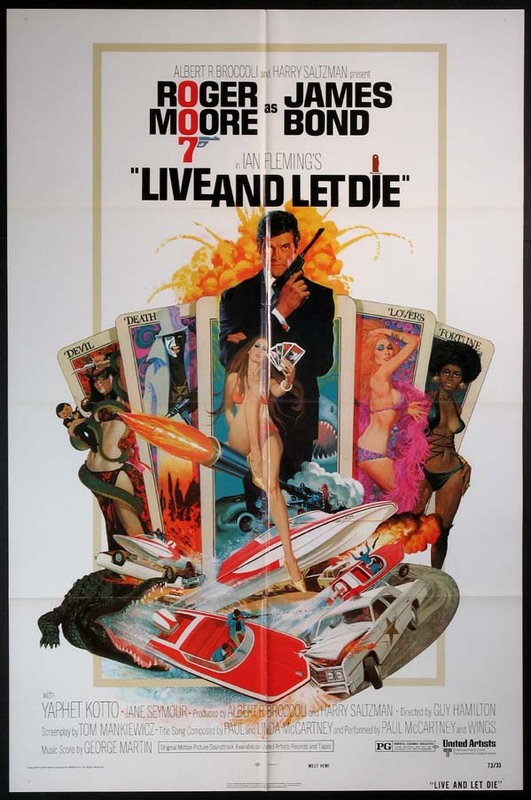 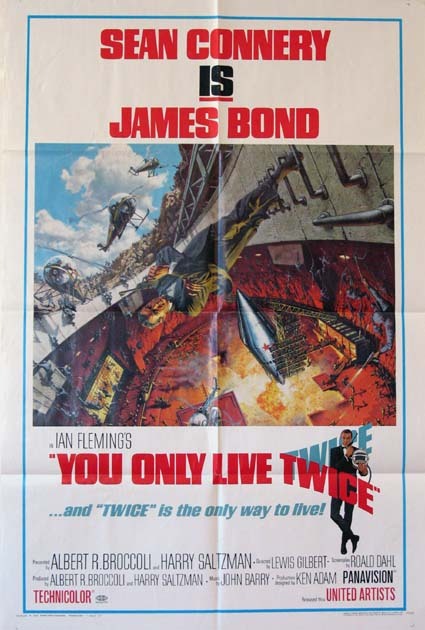 We have authentic film posters for all of the Roger Moore 007 movies starting with Live and Let Die and continuing through to A View to a Kill. 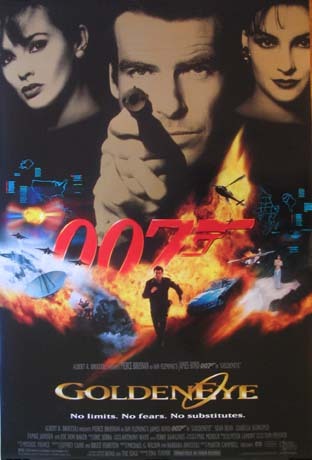 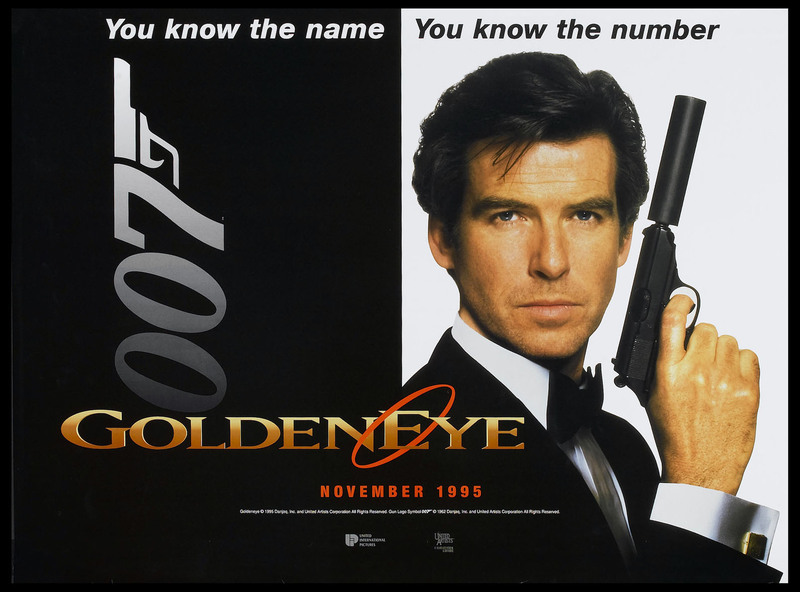 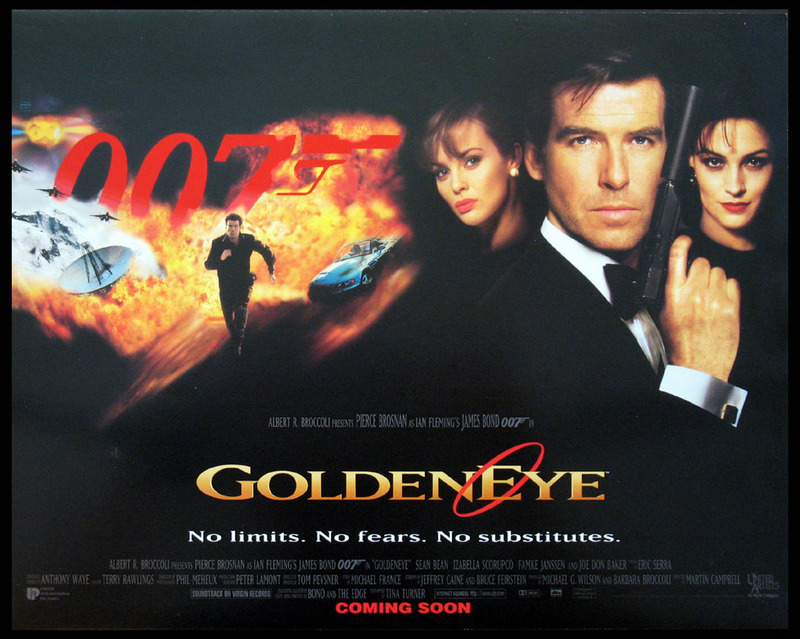 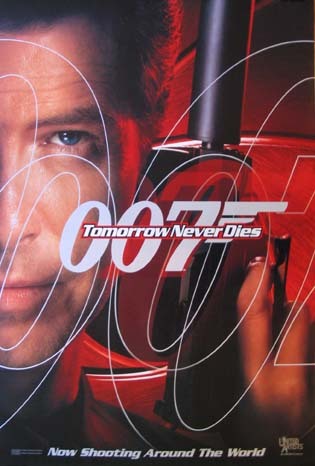 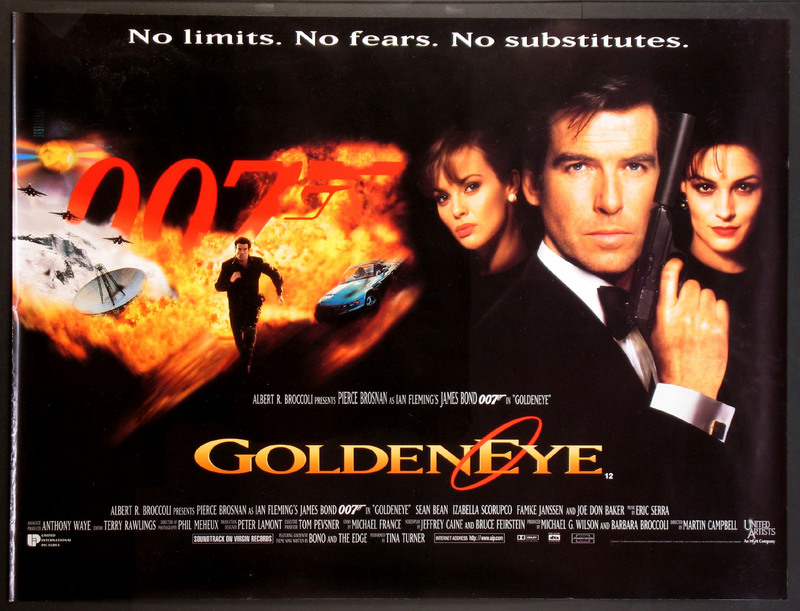 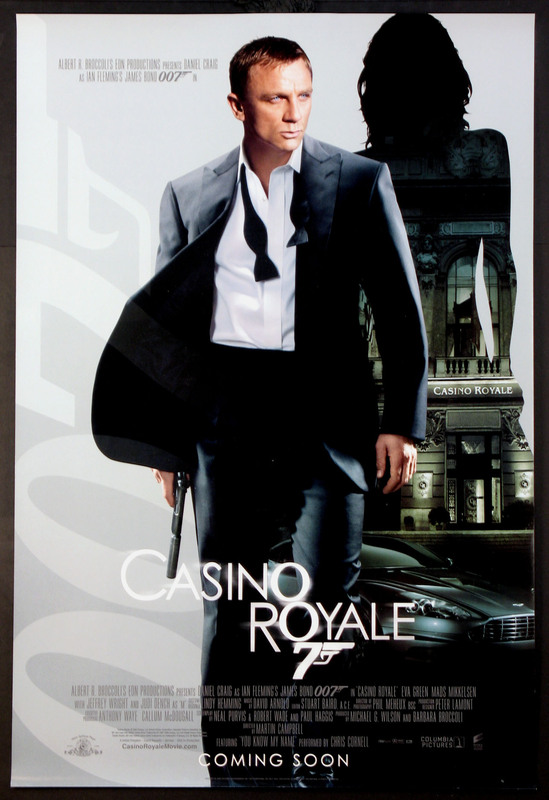 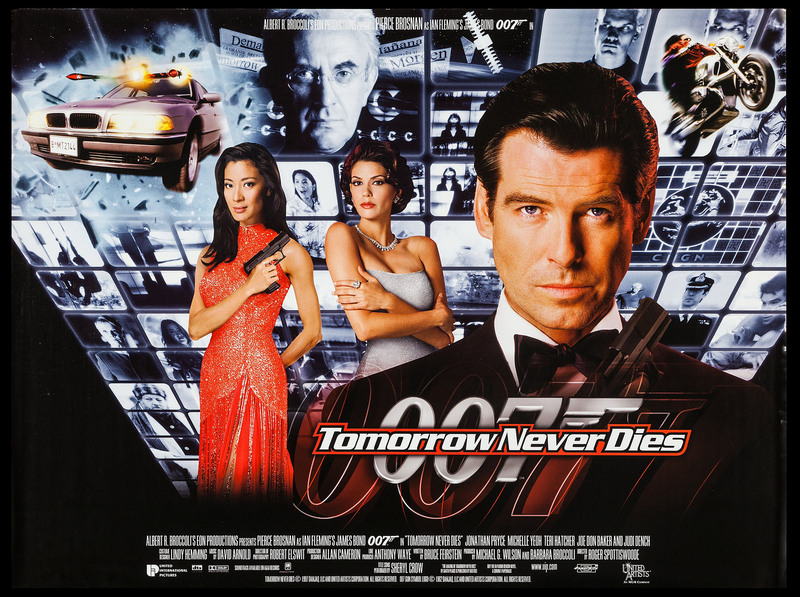 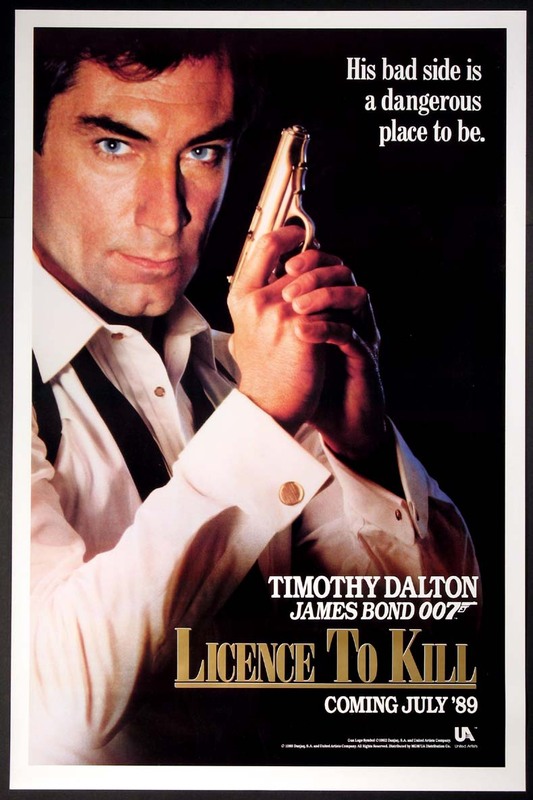 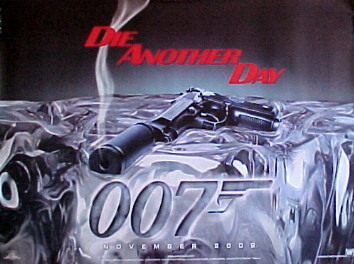 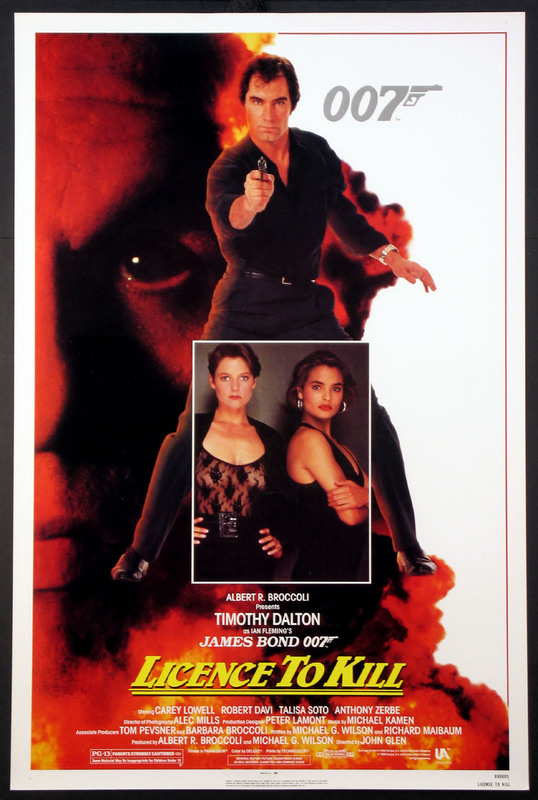 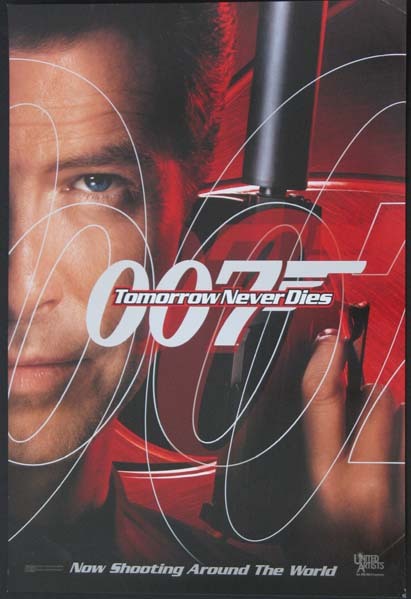 Our inventory covers the entire franchise with posters for Timothy Dalton in Licence to Kill, Pierce Brosnan in Goldeneye, Tomorrow Never Dies, The World Is Not Enough and Die Another Day, right up to Casino Royale (2006), Quantum of Solace, Skyfall and Spectre, starring Daniel Craig.